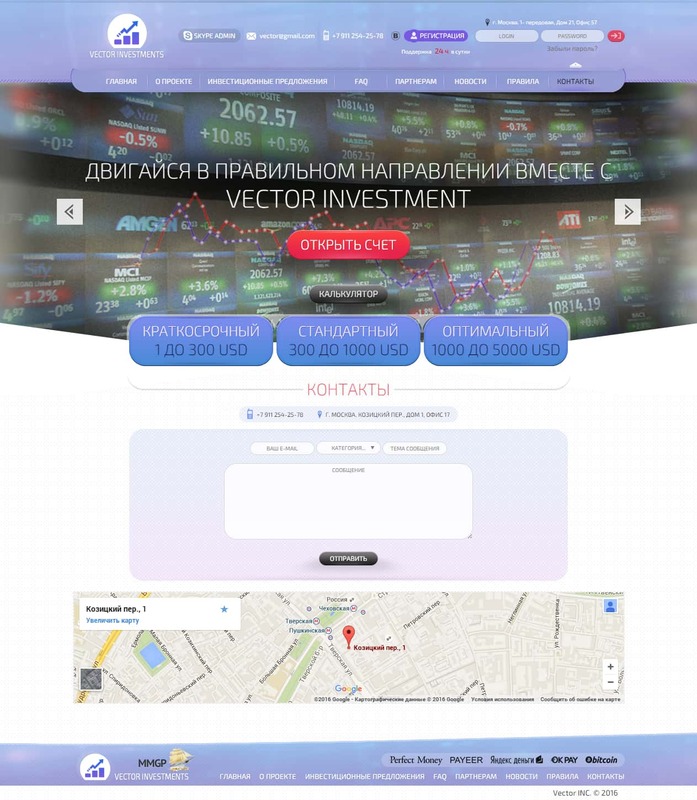 Package of services that includes everything you need to develop an investment project. 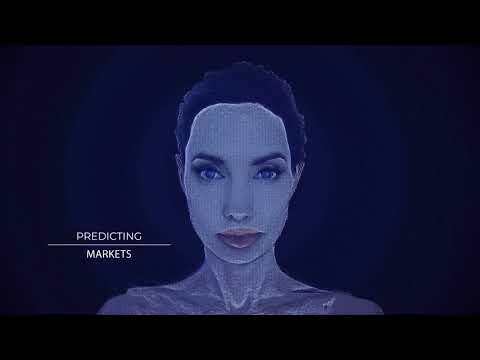 Installing and setting up your hyip project. 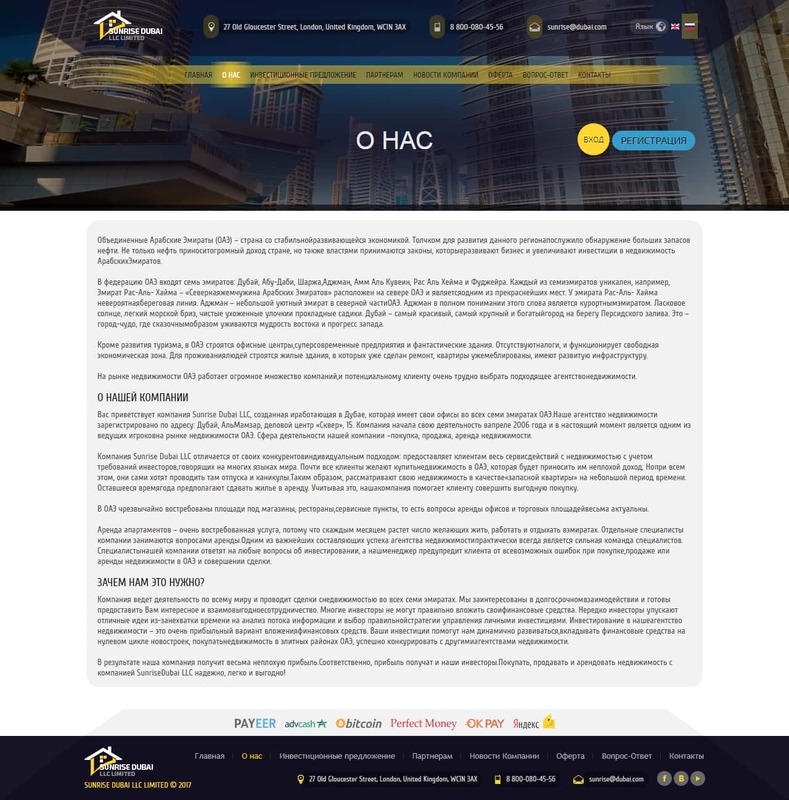 Setting of HYIP project and further integration. 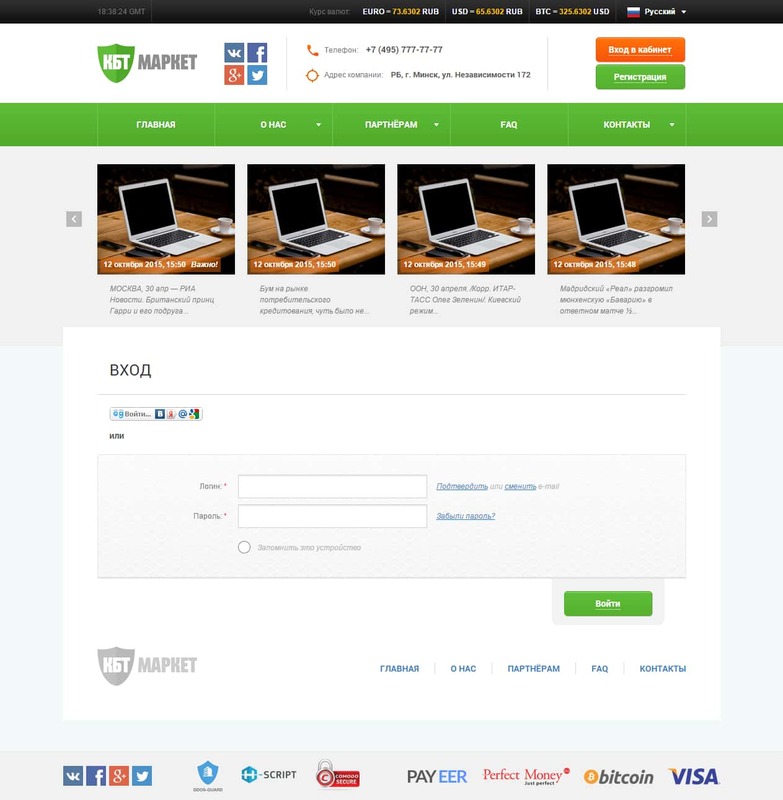 Issuing and installing of SSL GREEN BAR certificate for effective encryption of your site. 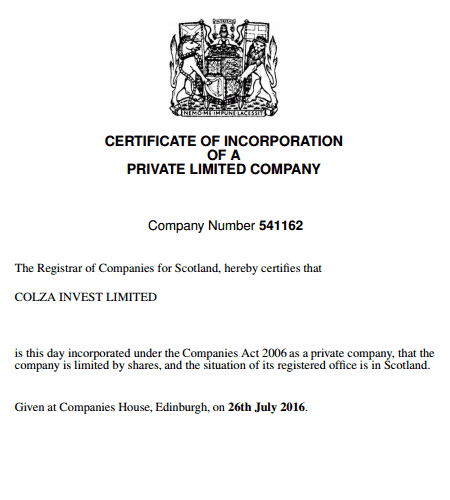 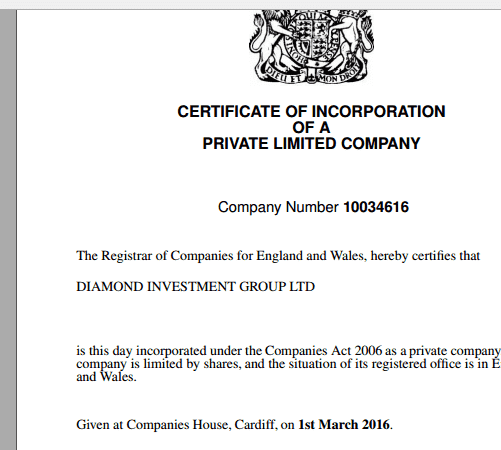 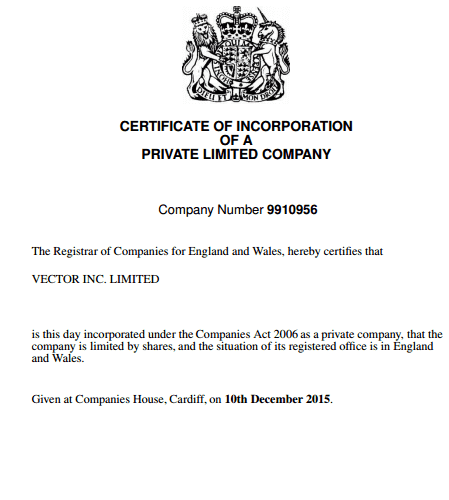 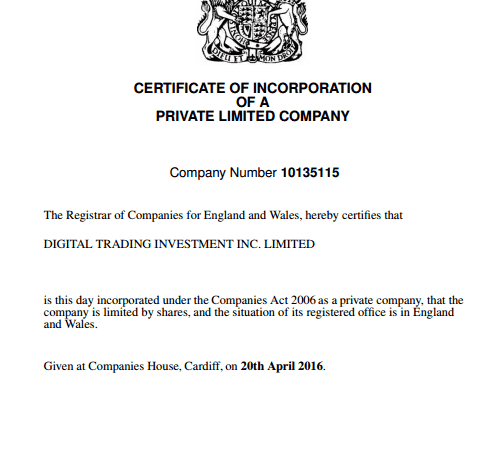 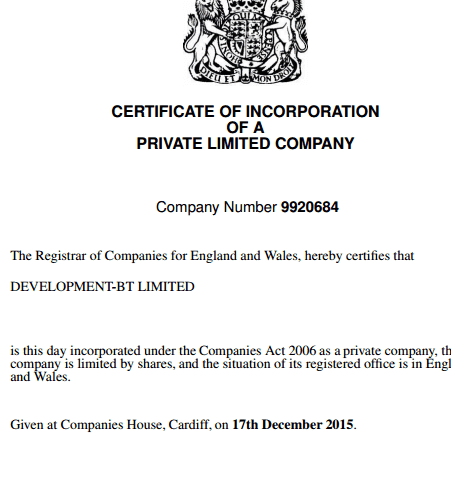 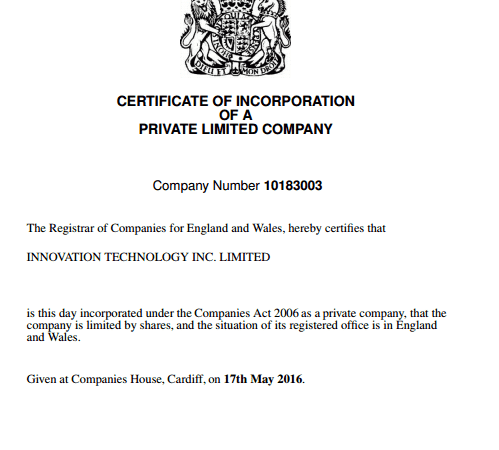 Registration of an official company in the UK. 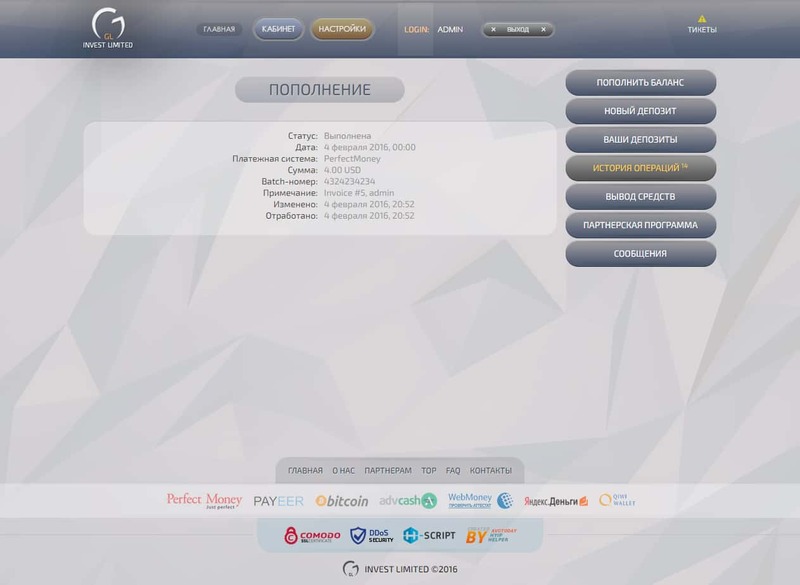 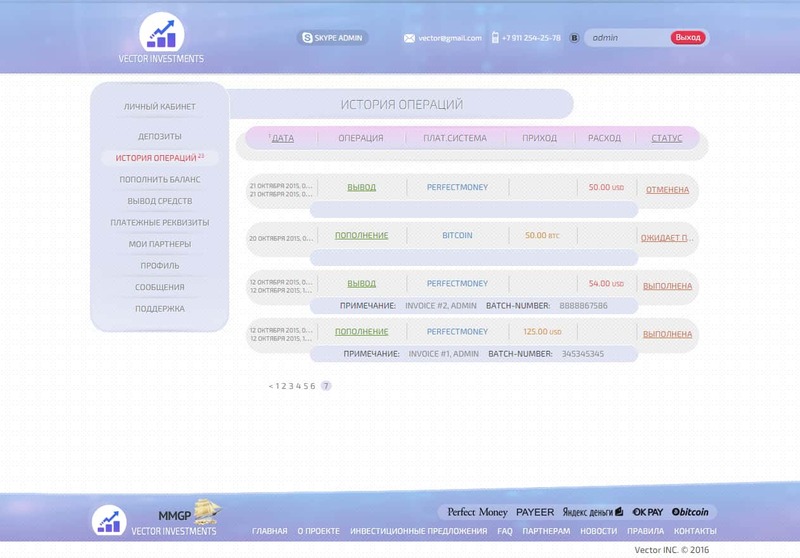 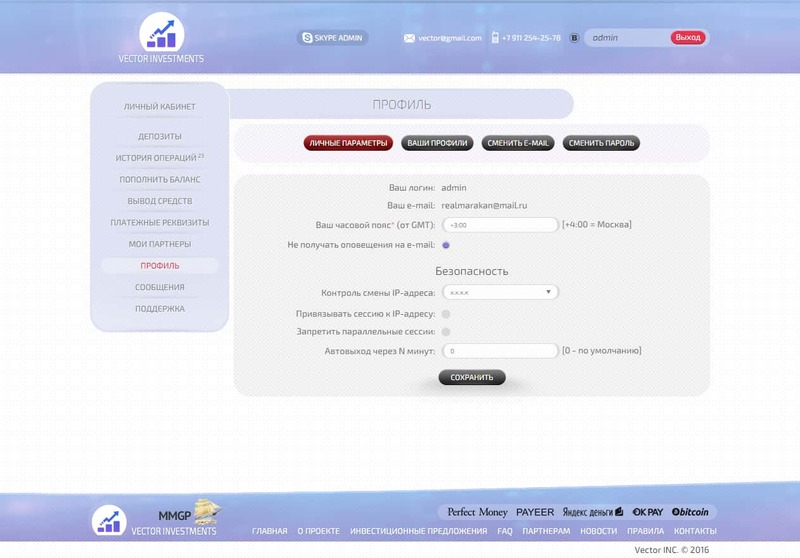 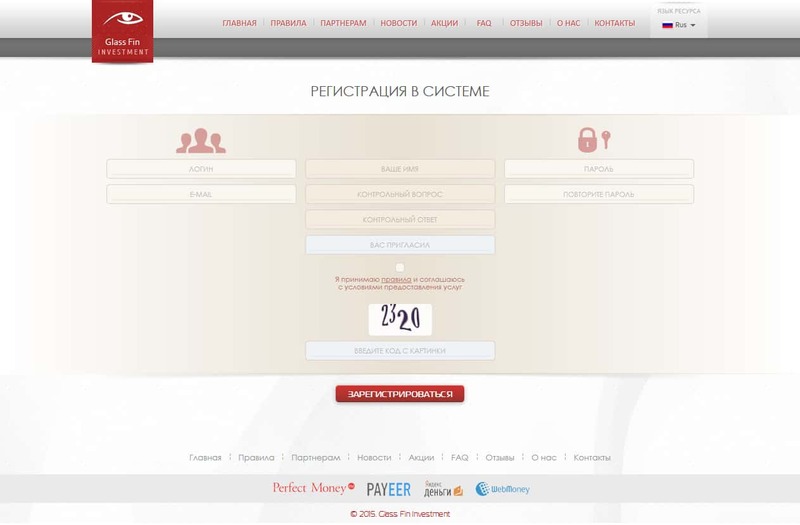 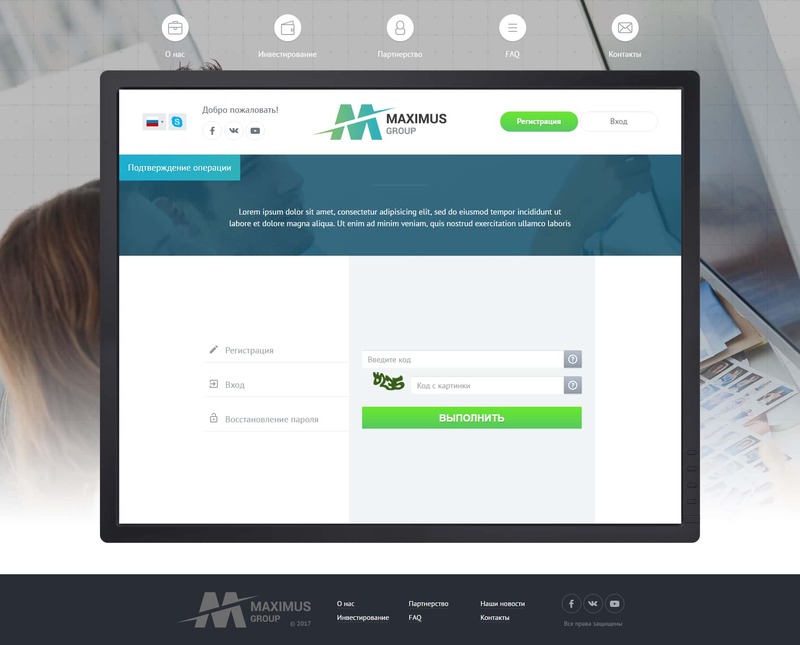 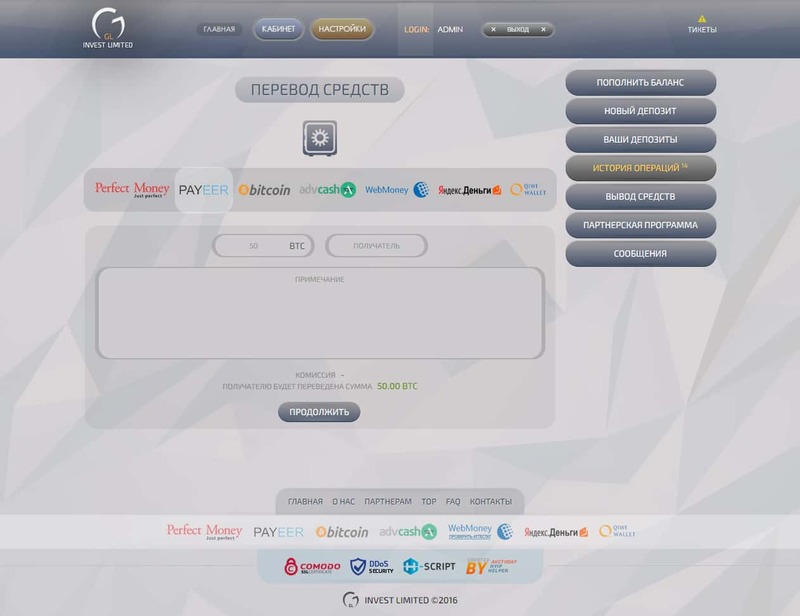 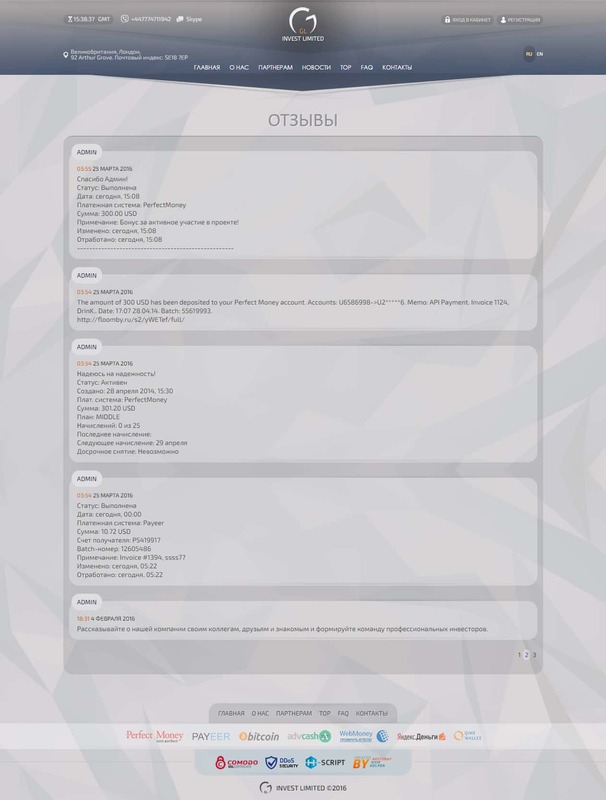 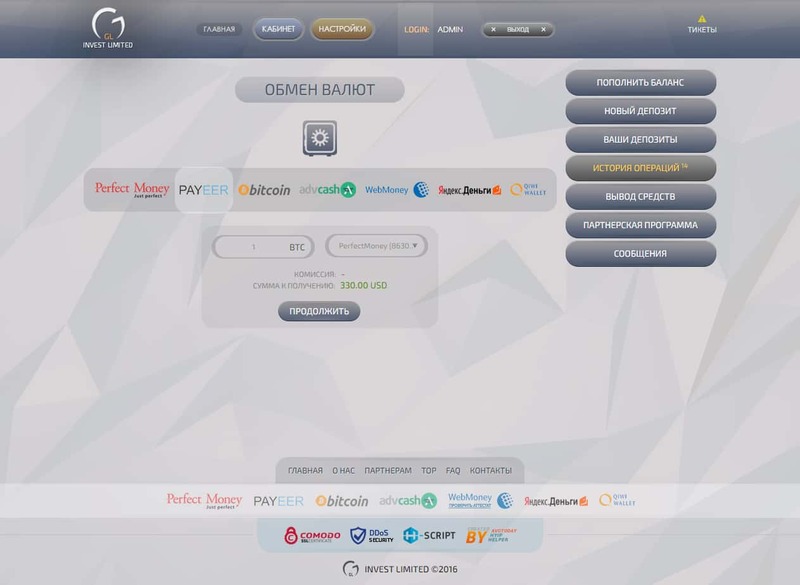 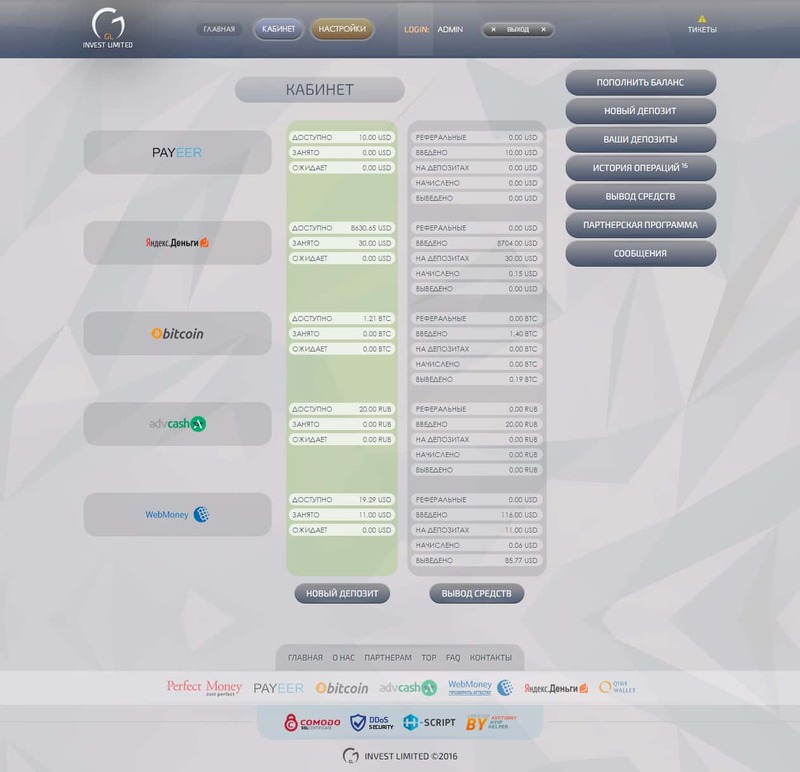 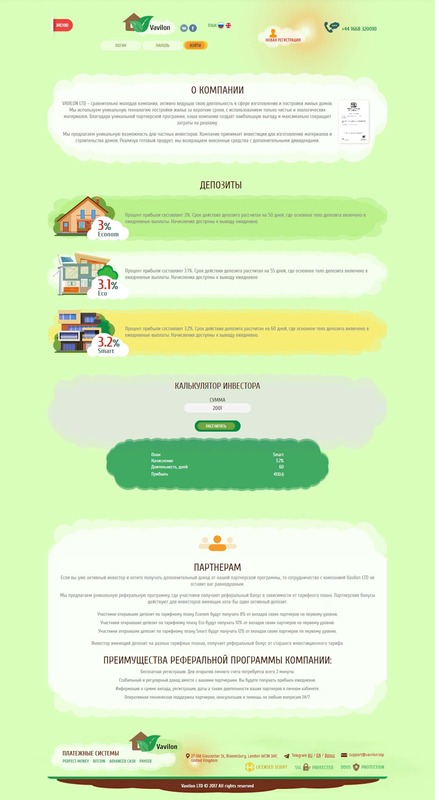 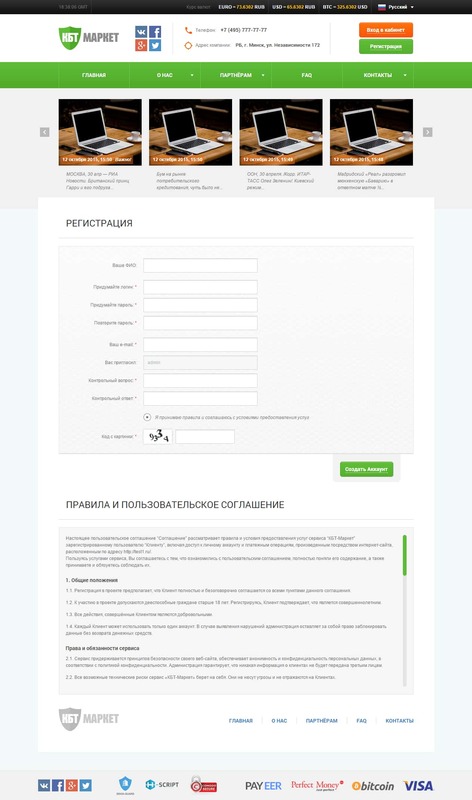 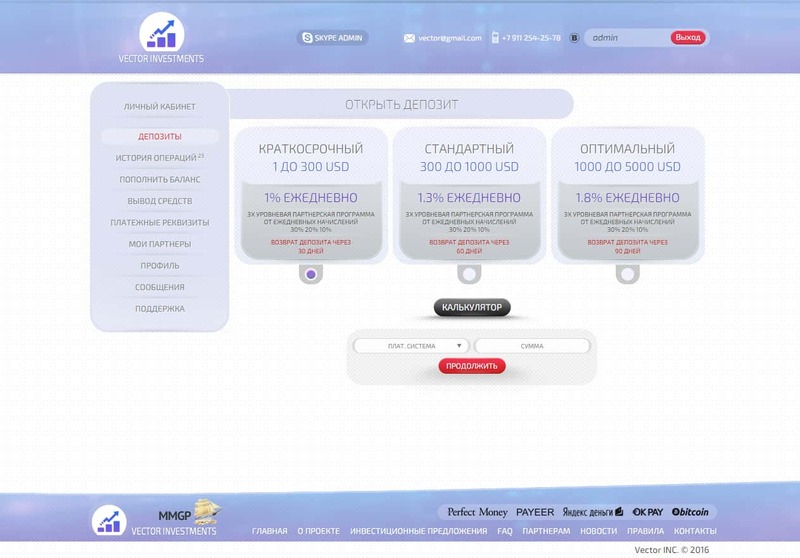 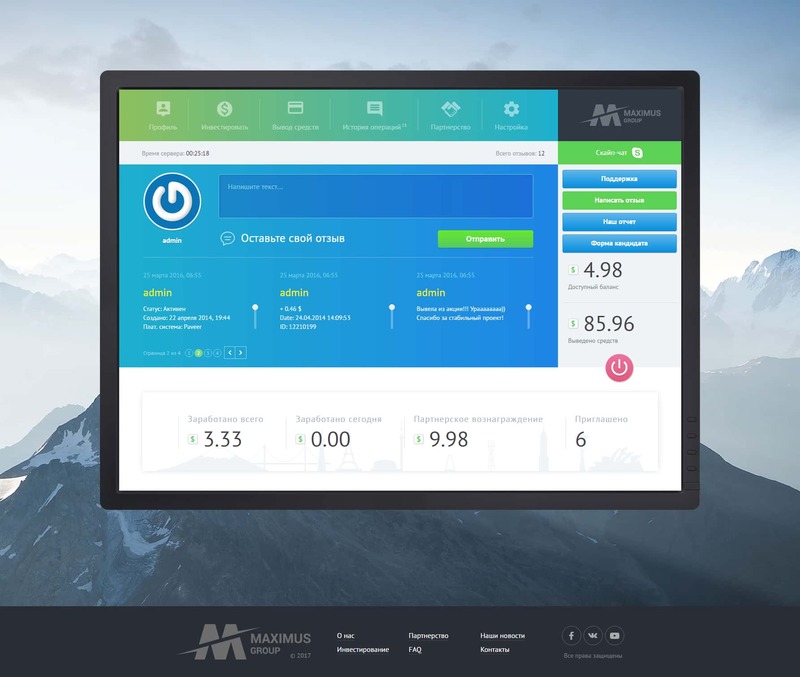 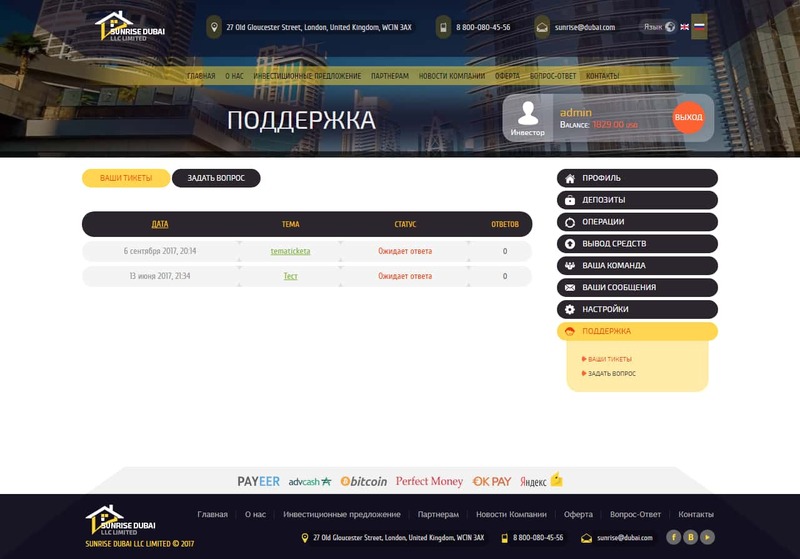 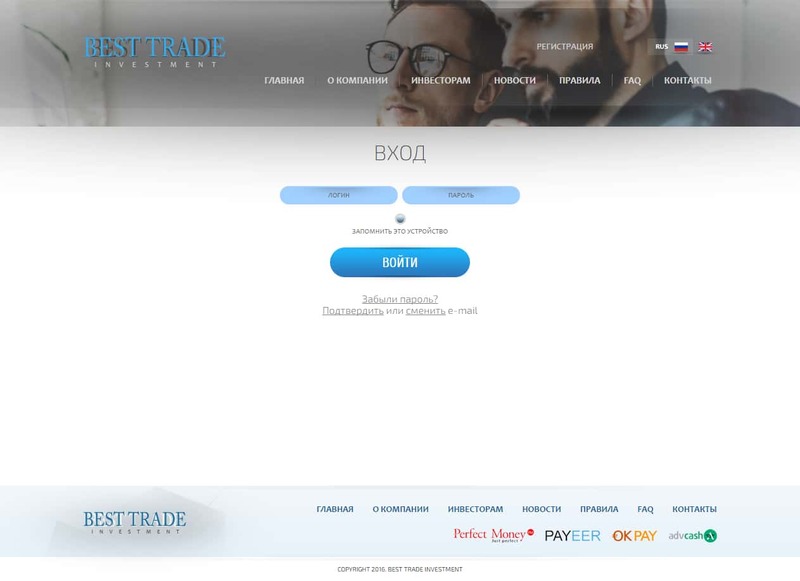 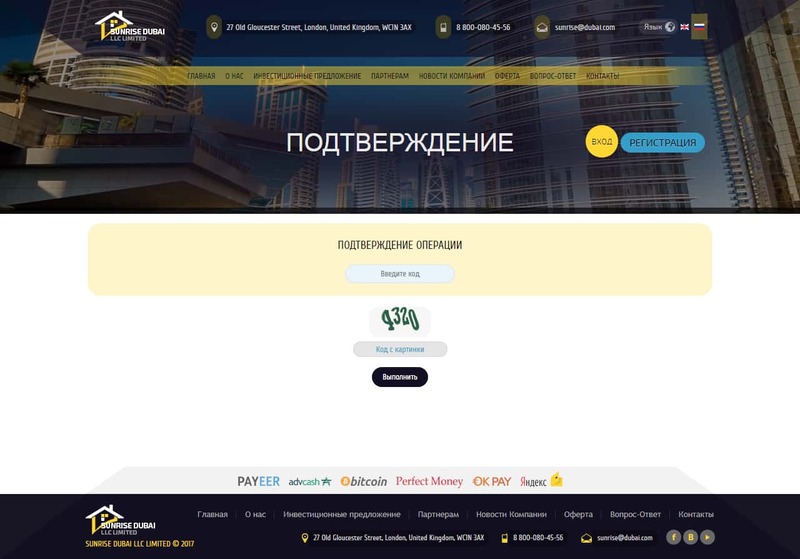 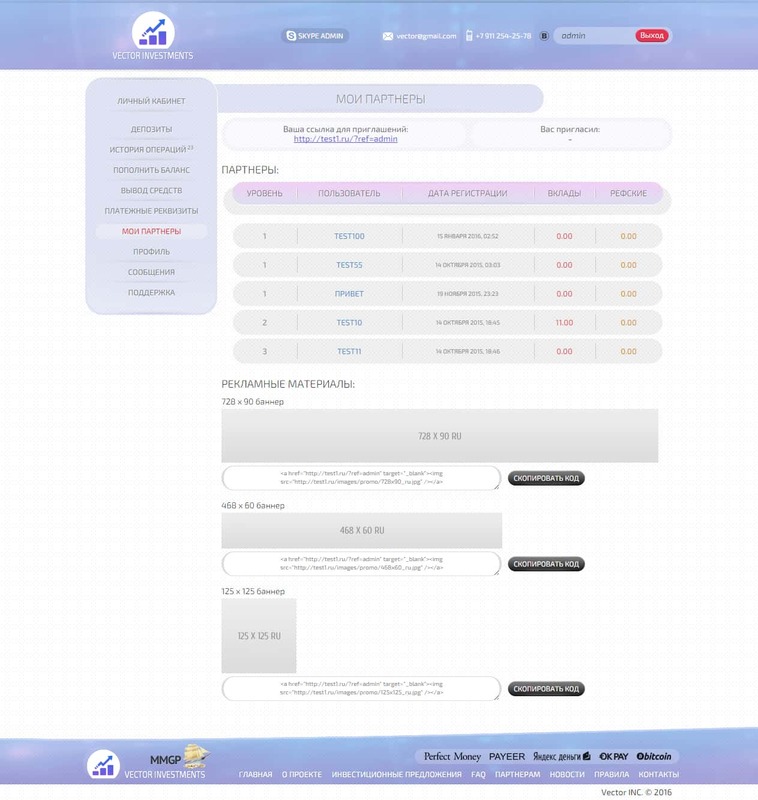 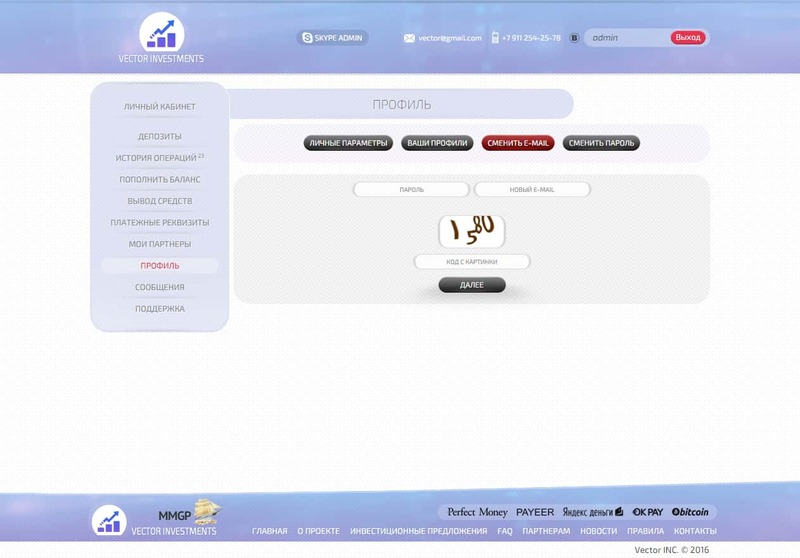 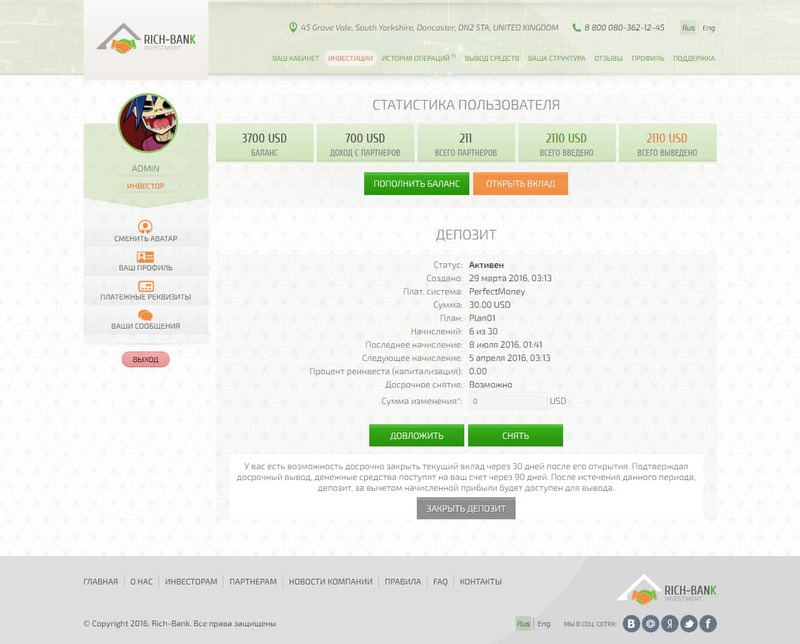 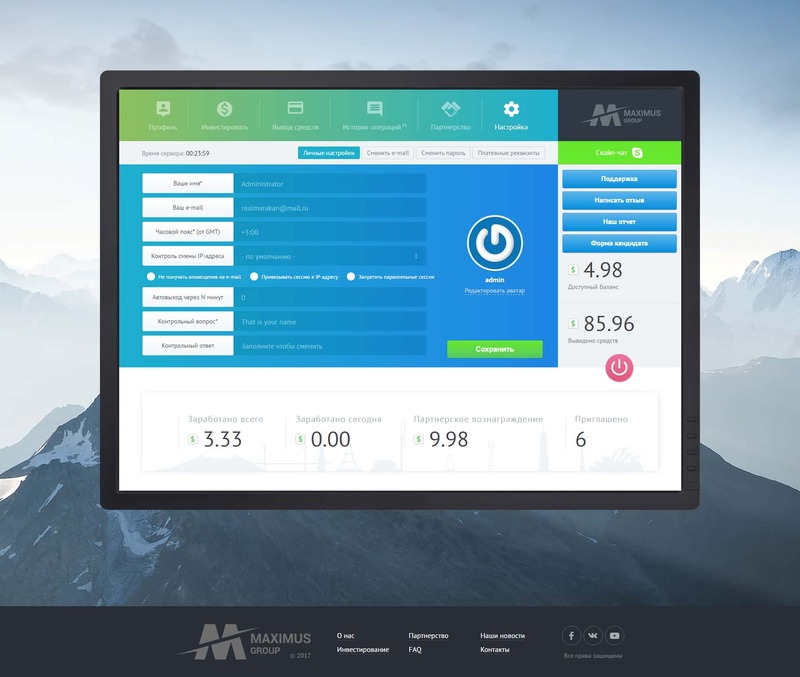 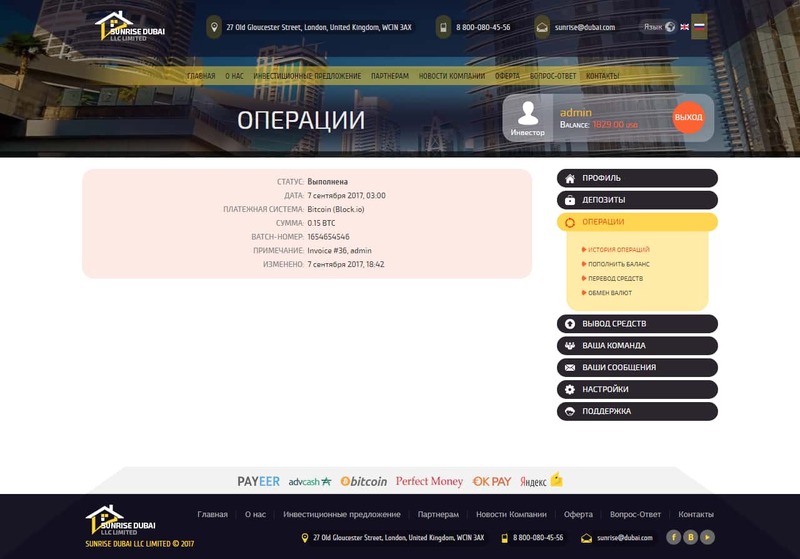 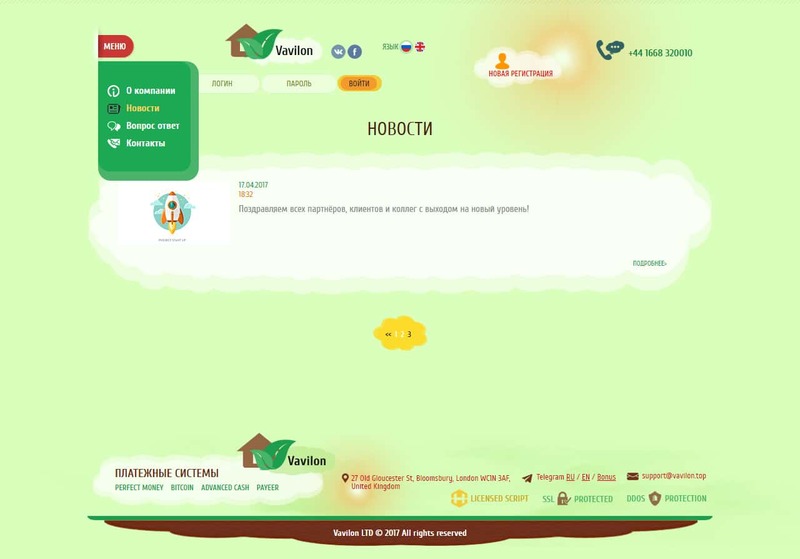 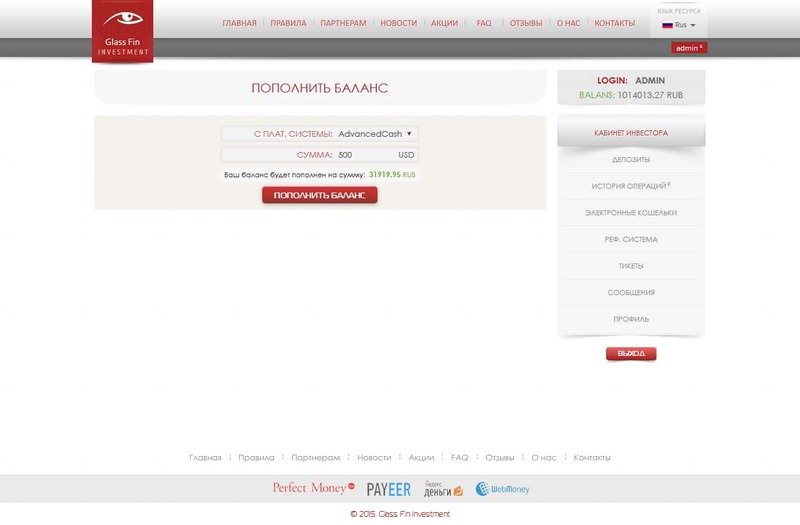 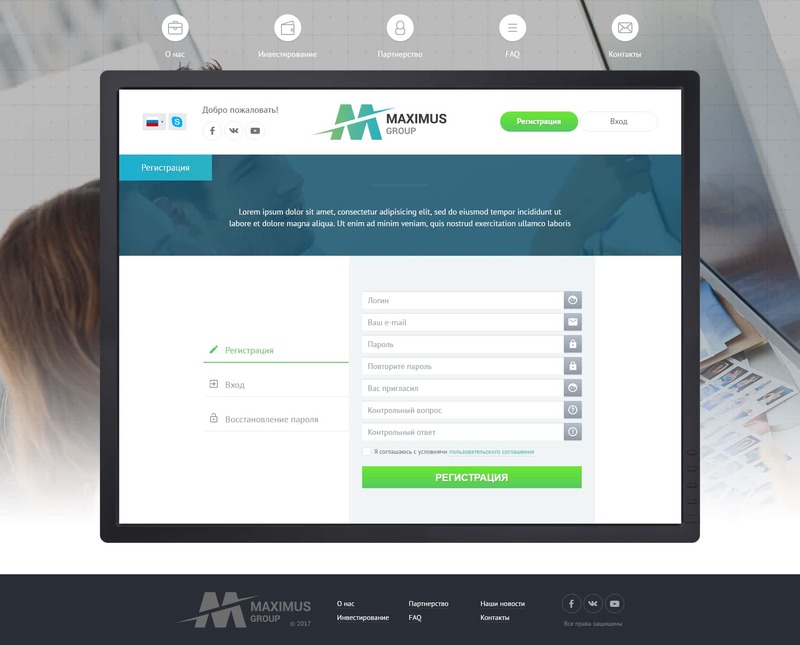 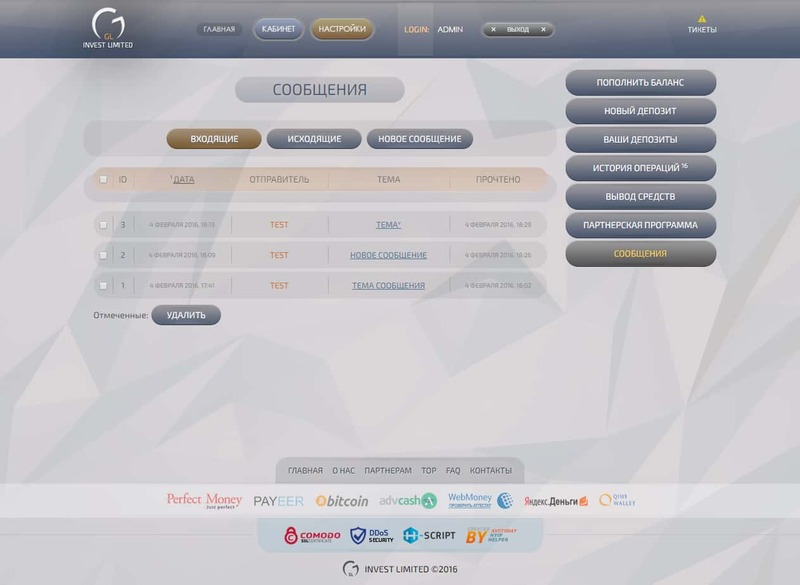 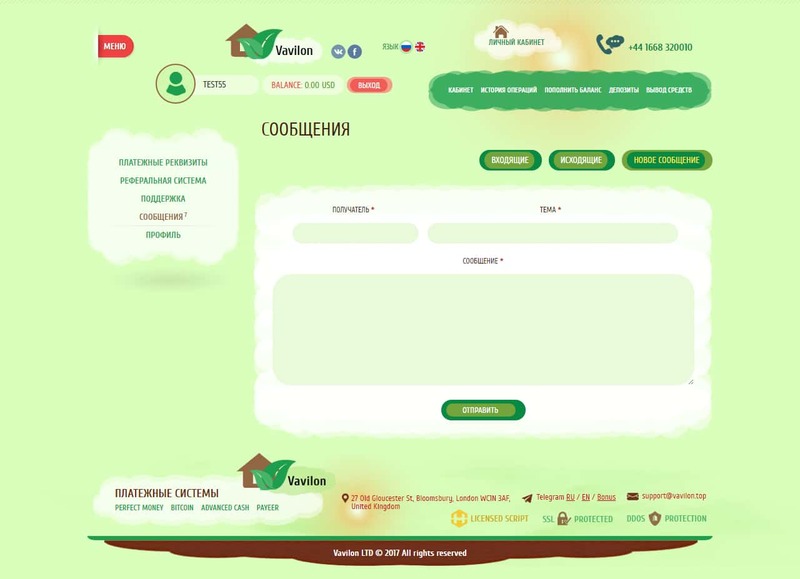 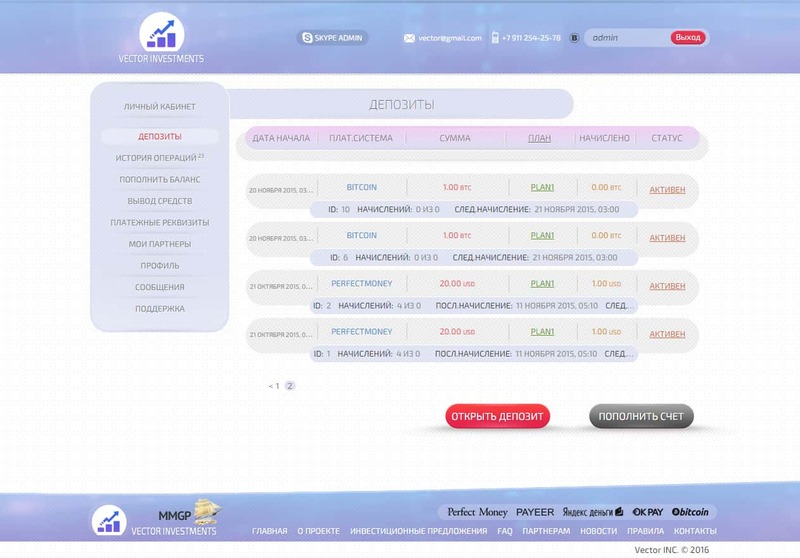 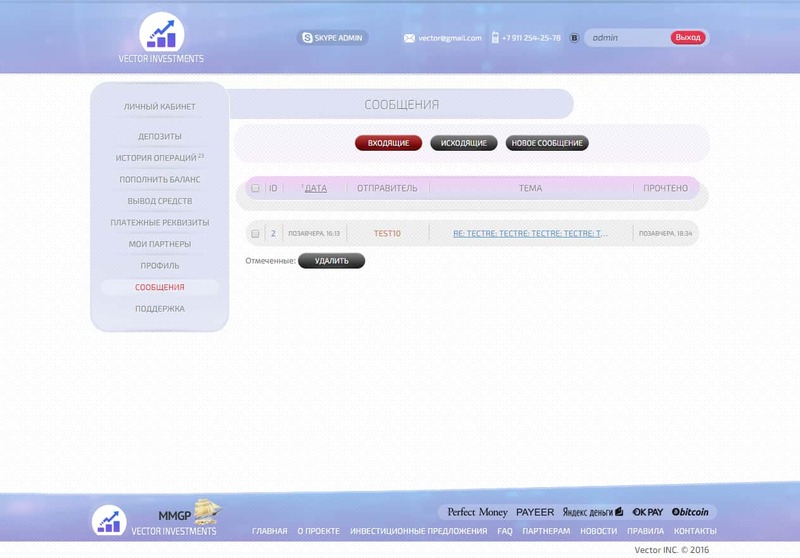 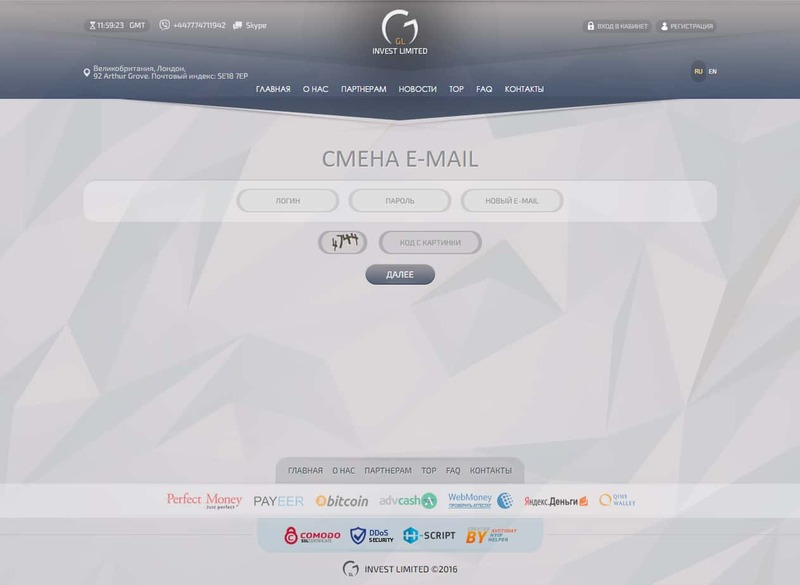 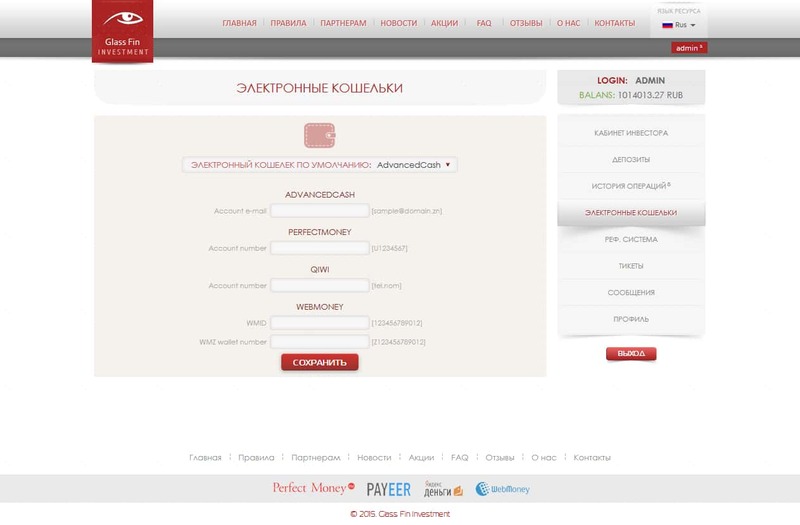 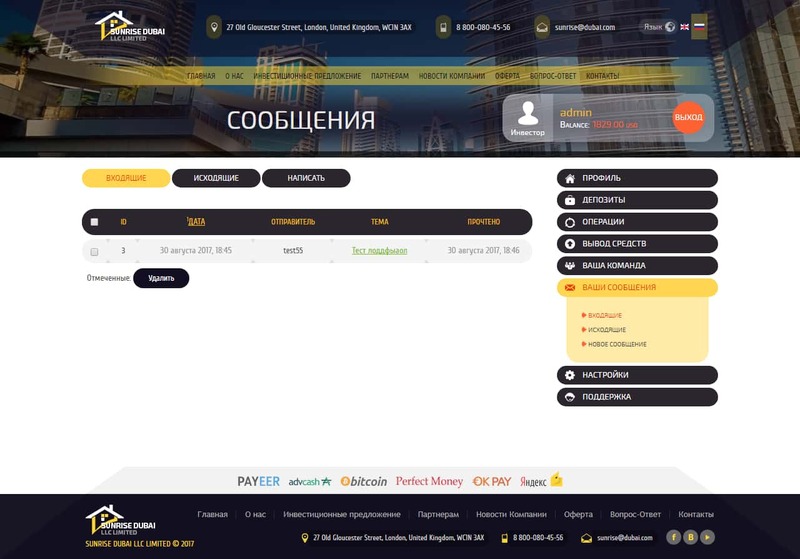 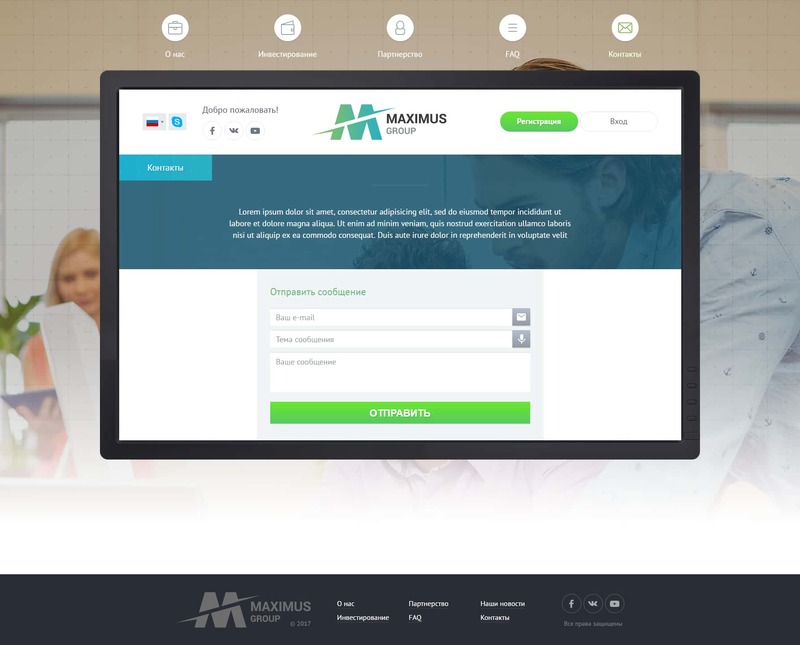 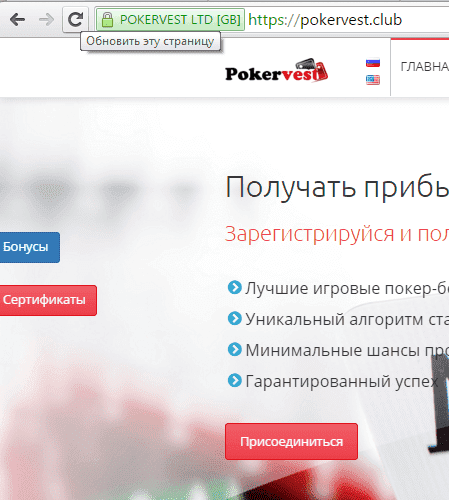 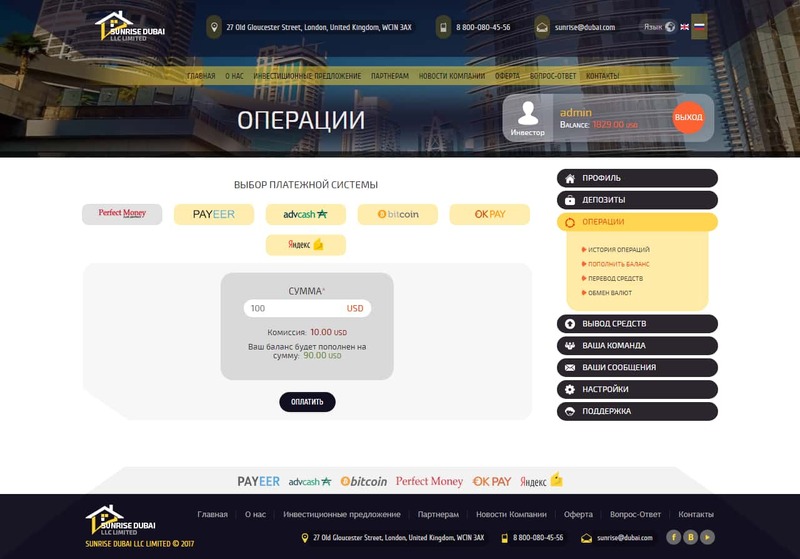 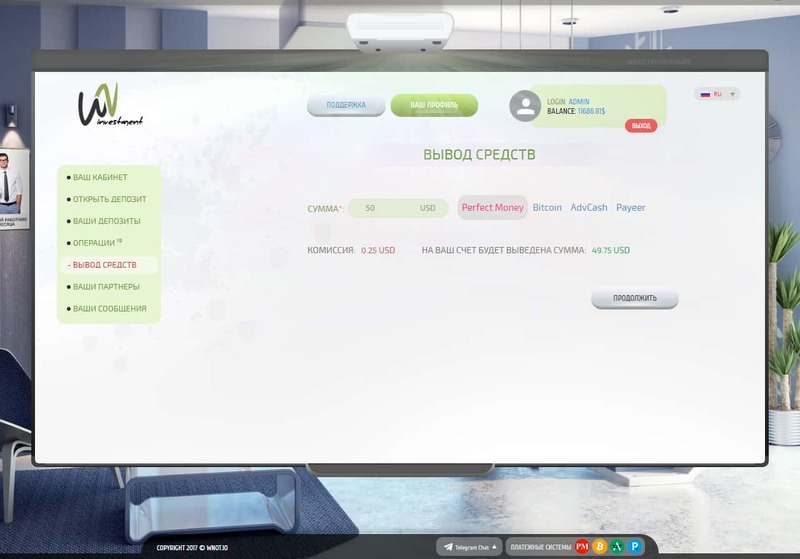 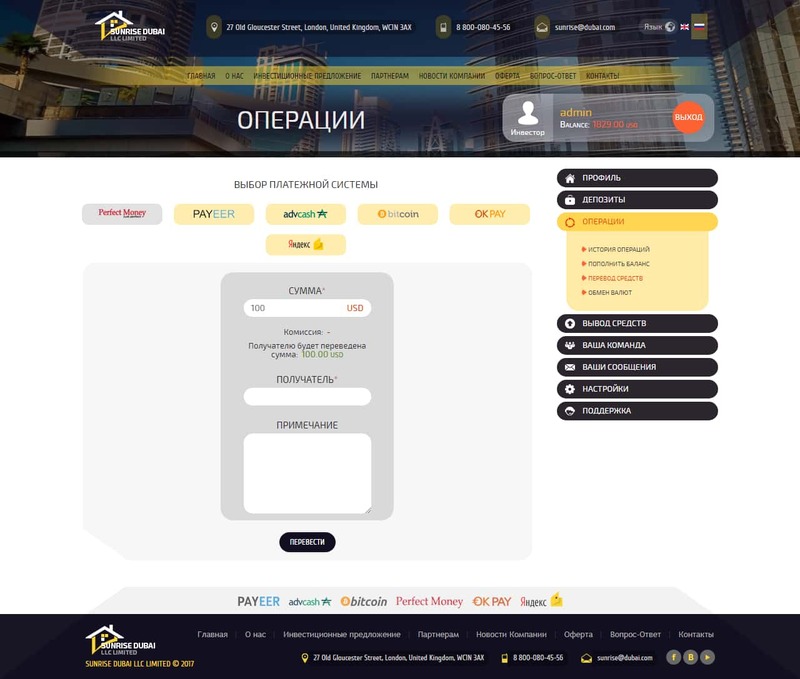 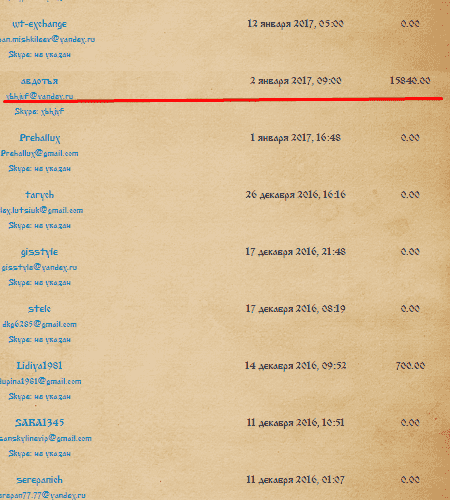 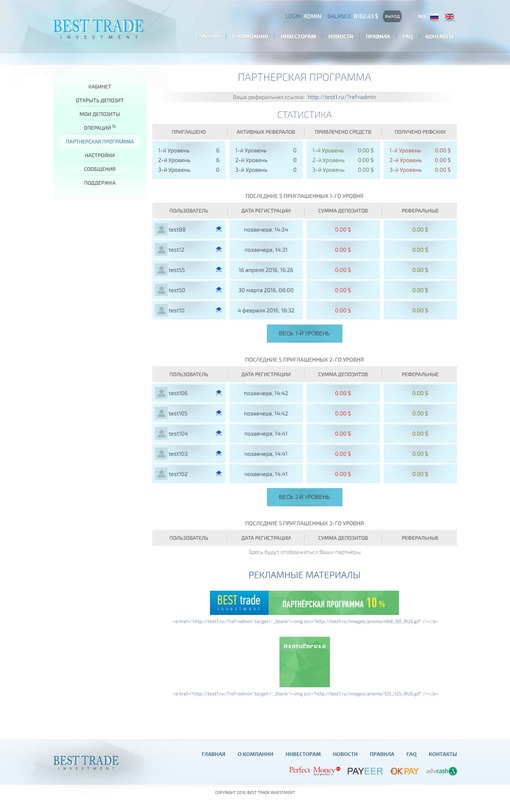 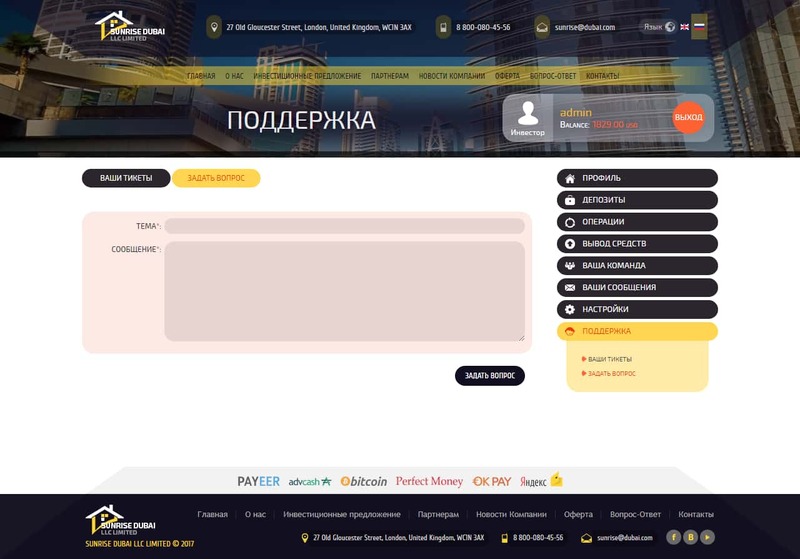 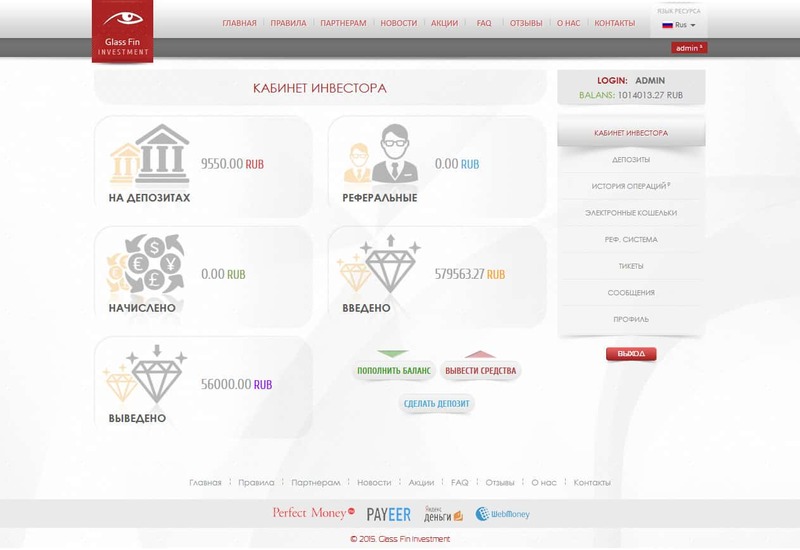 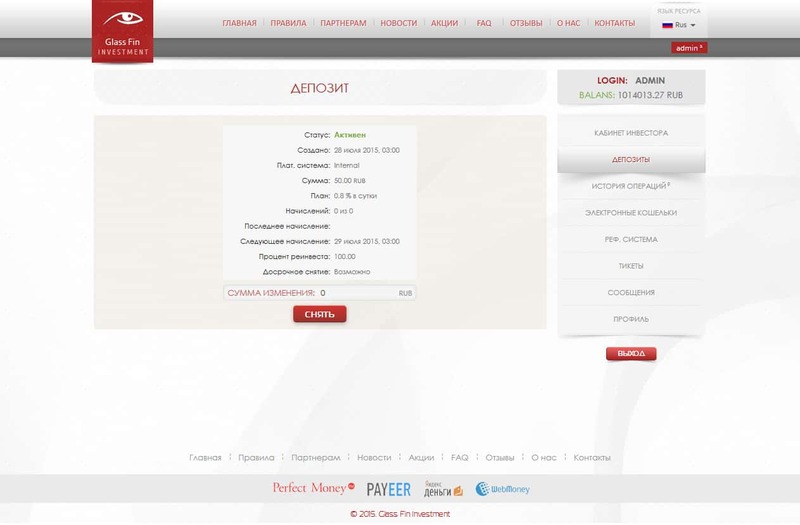 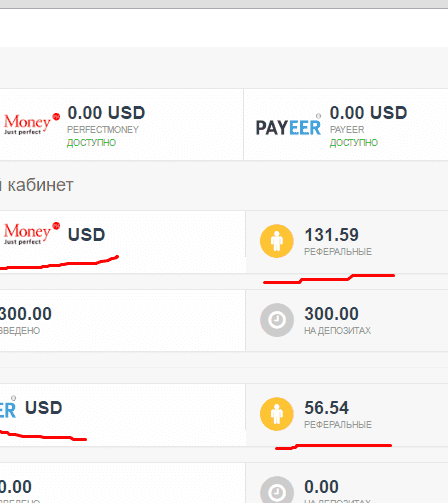 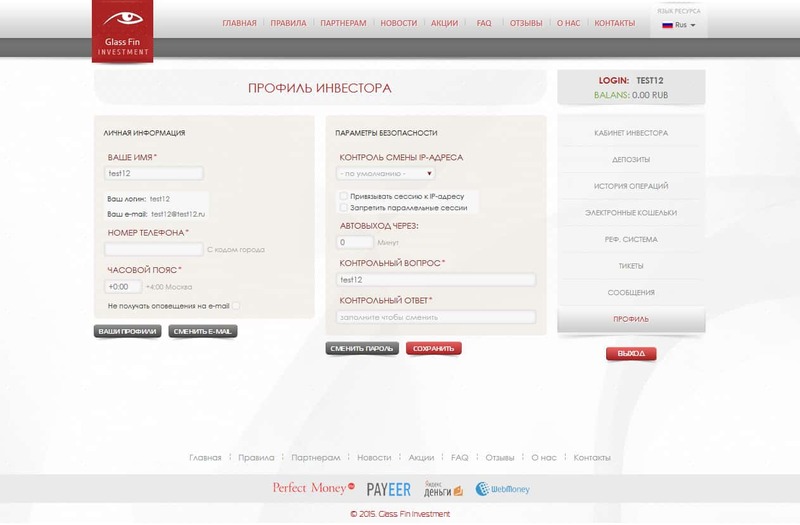 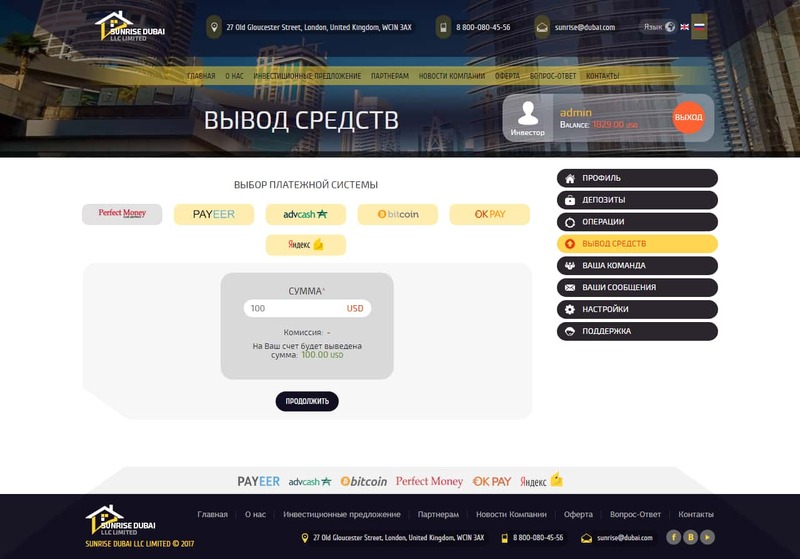 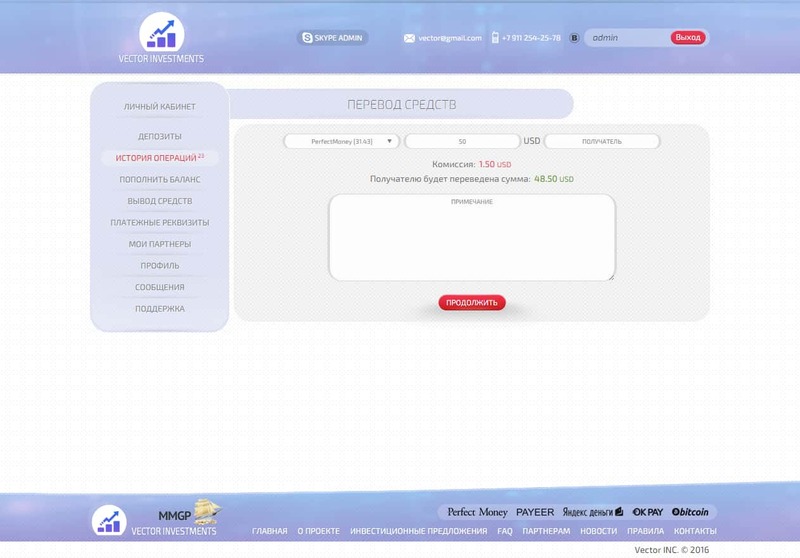 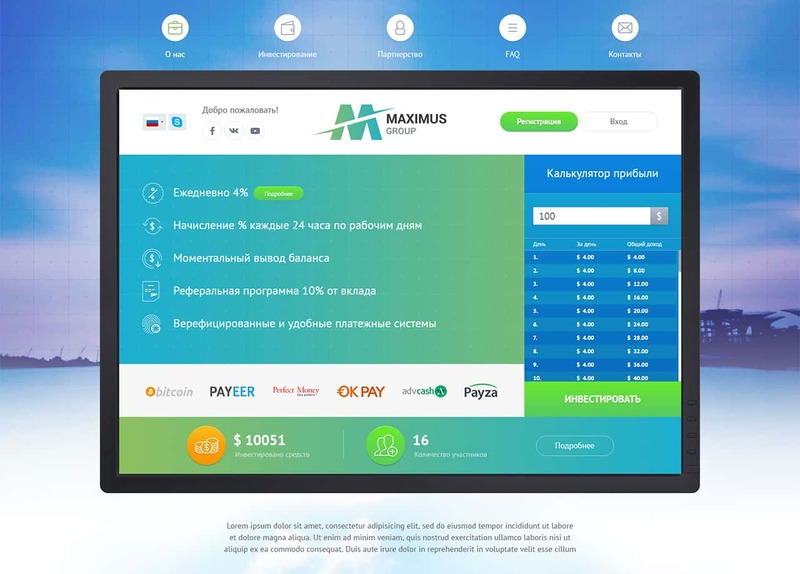 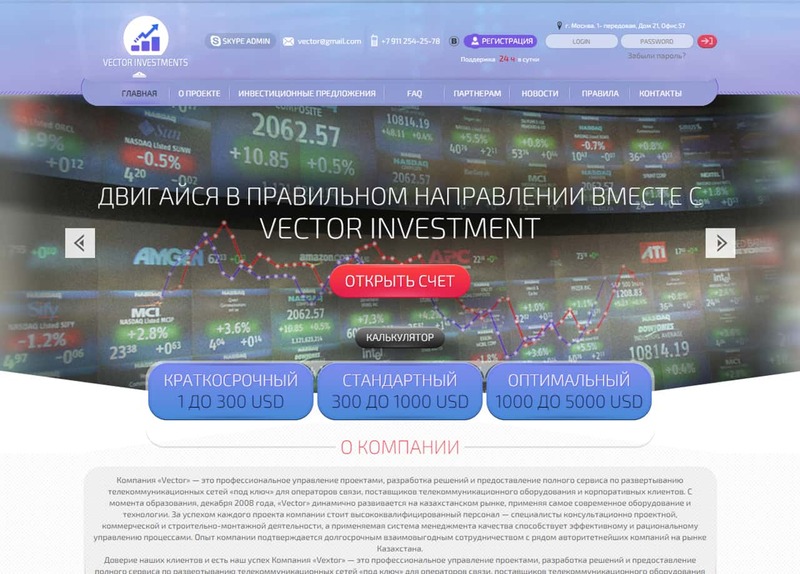 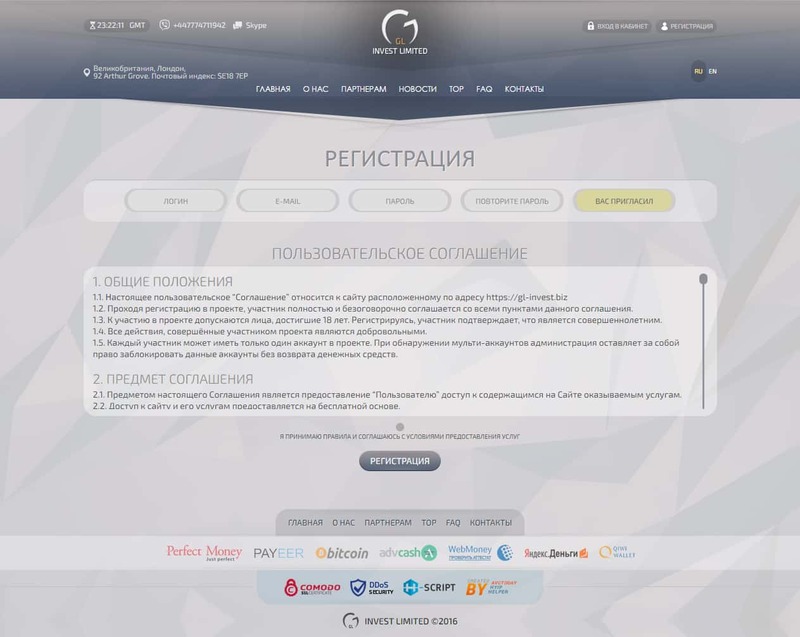 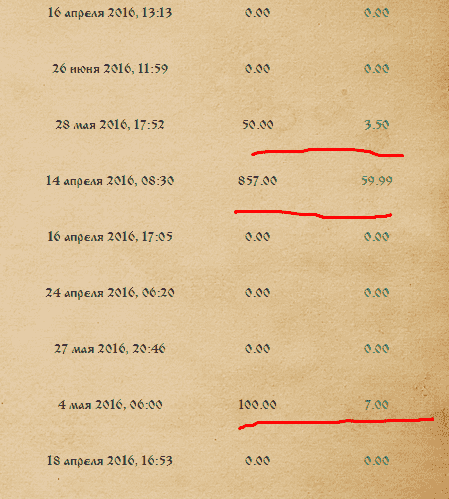 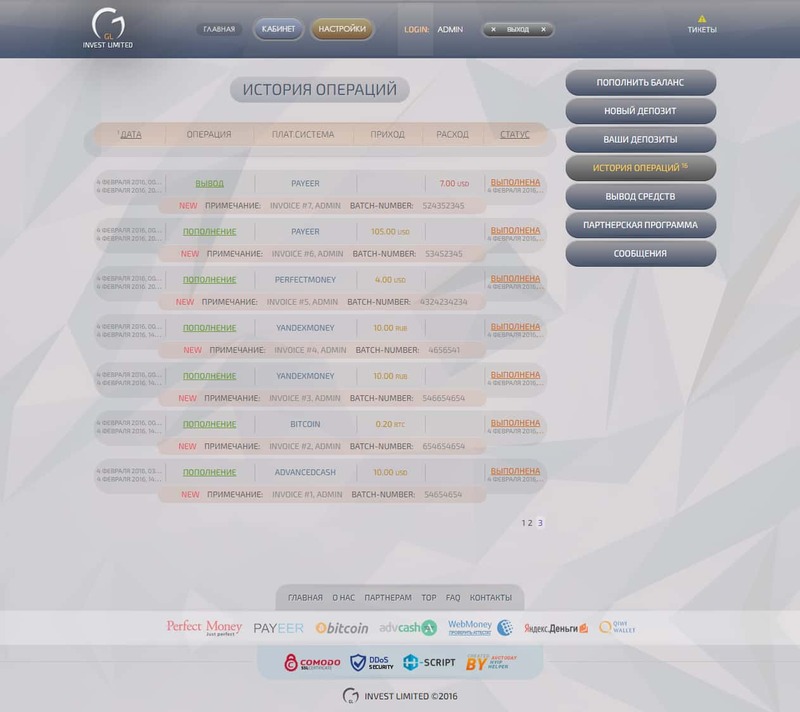 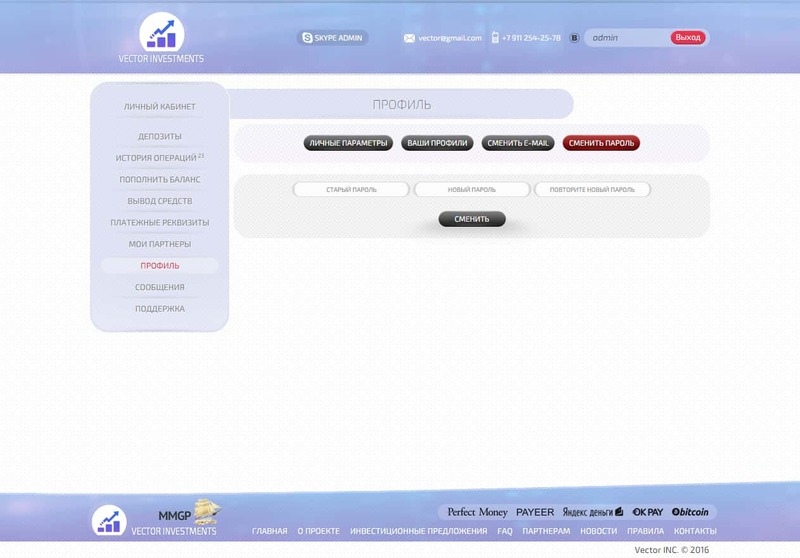 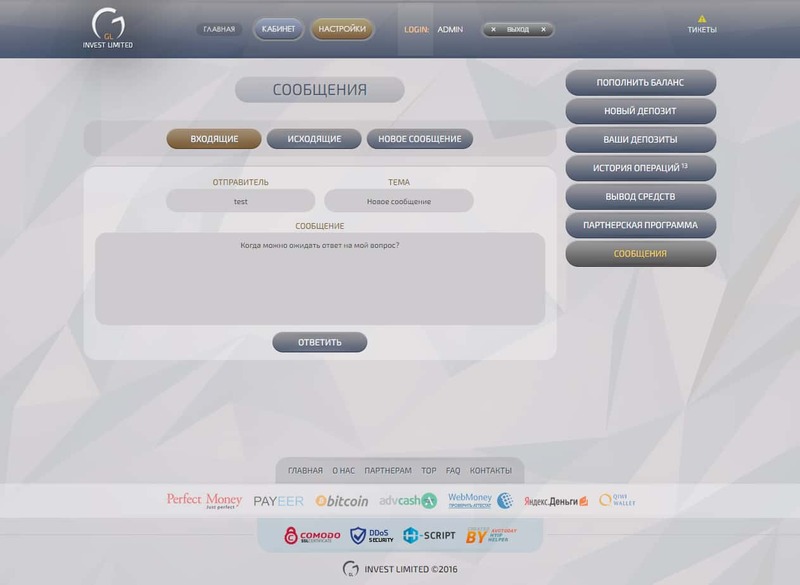 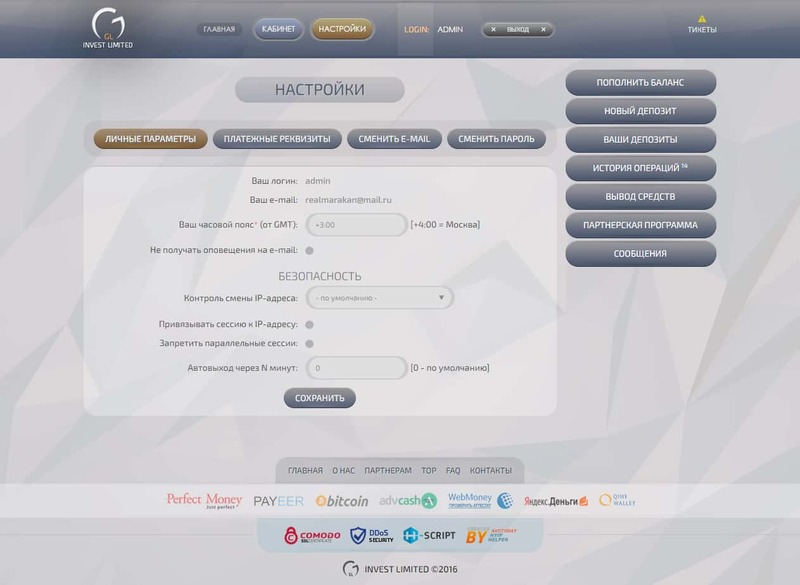 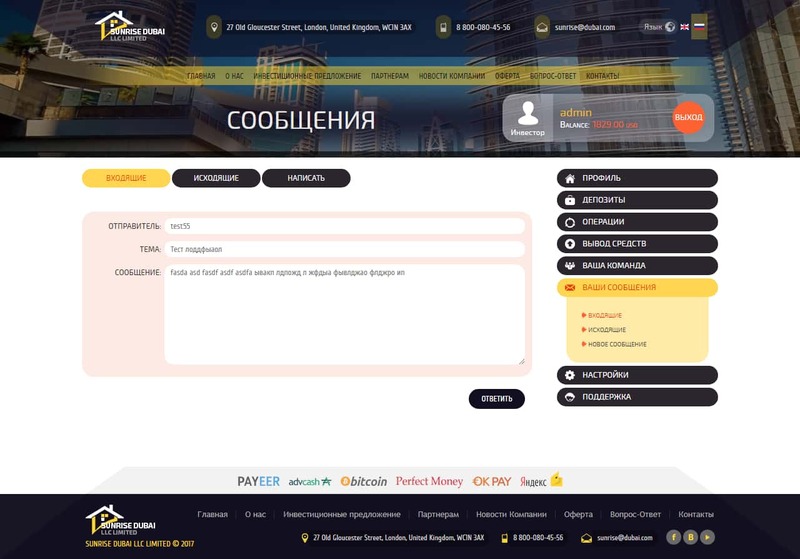 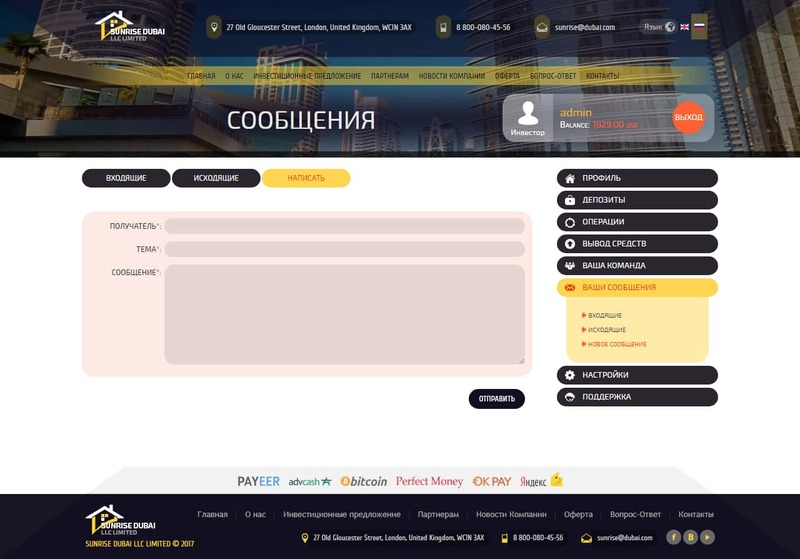 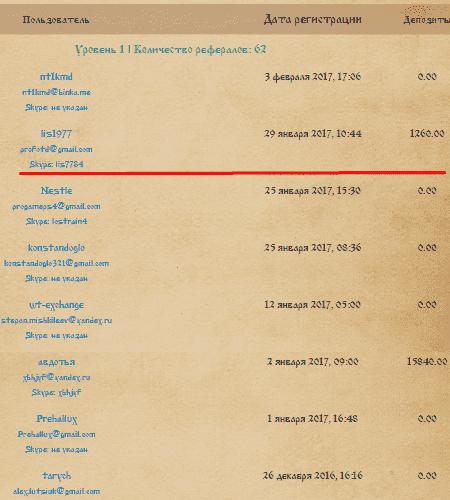 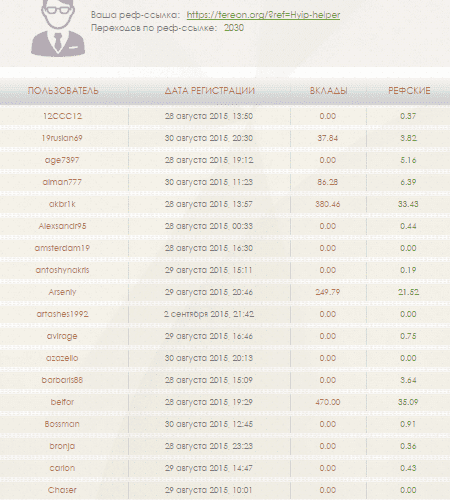 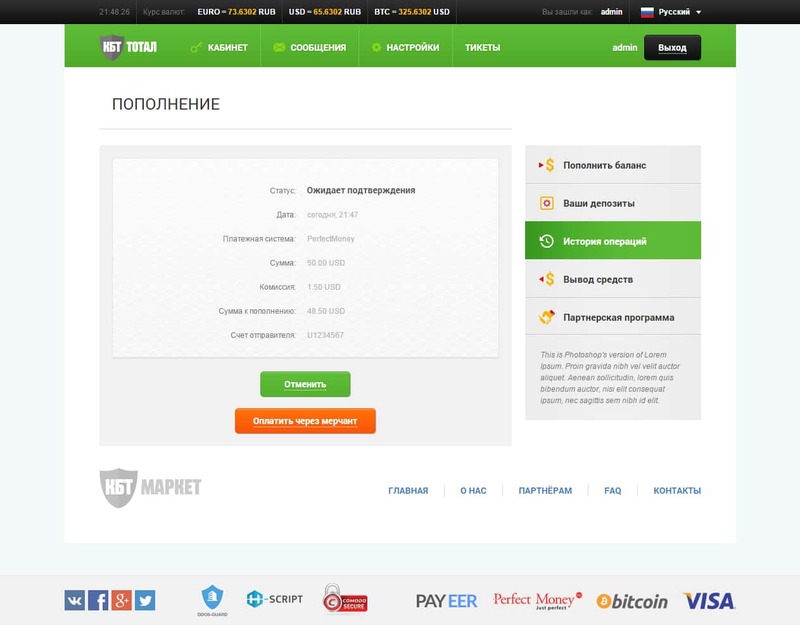 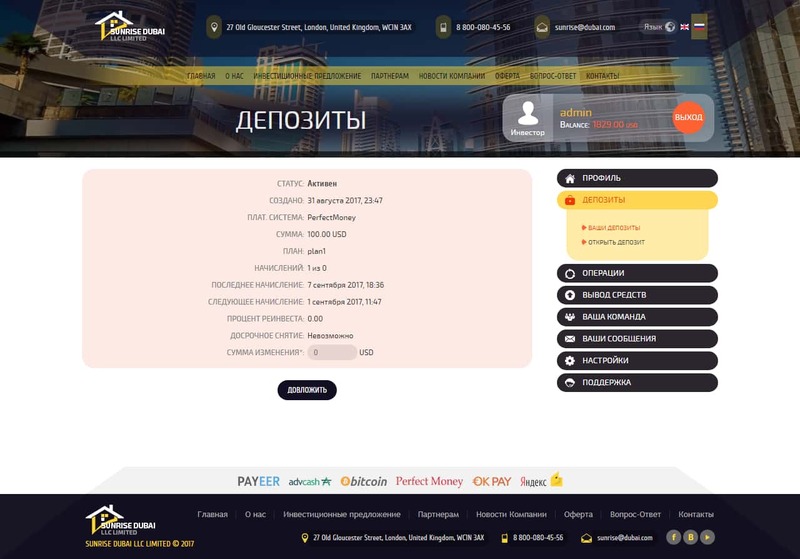 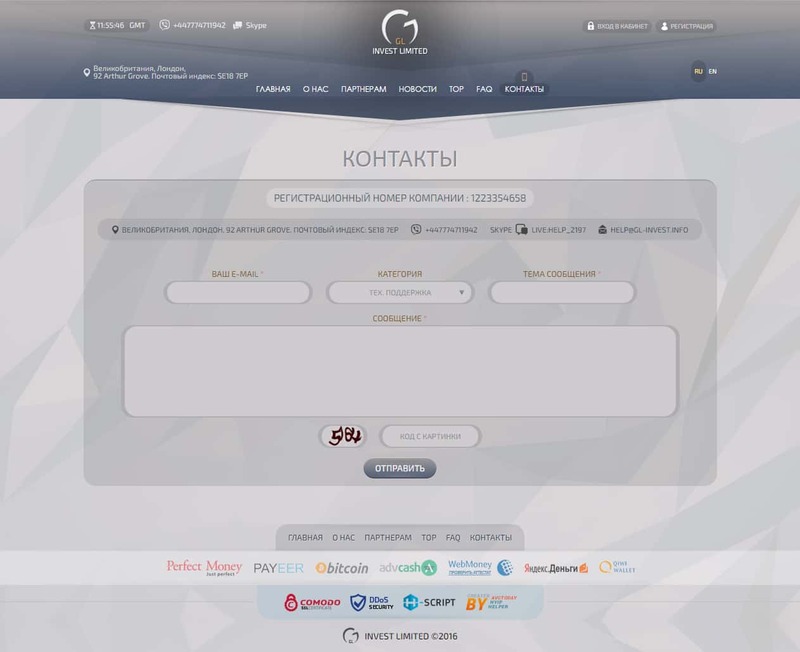 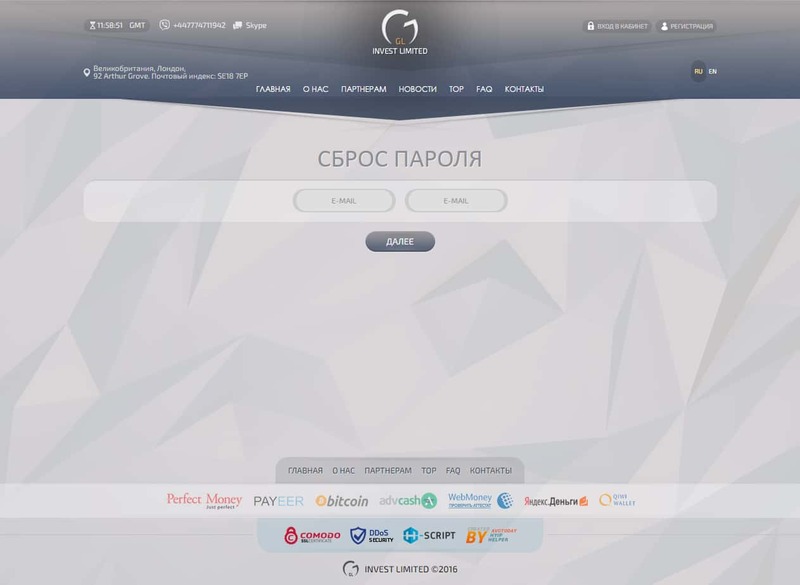 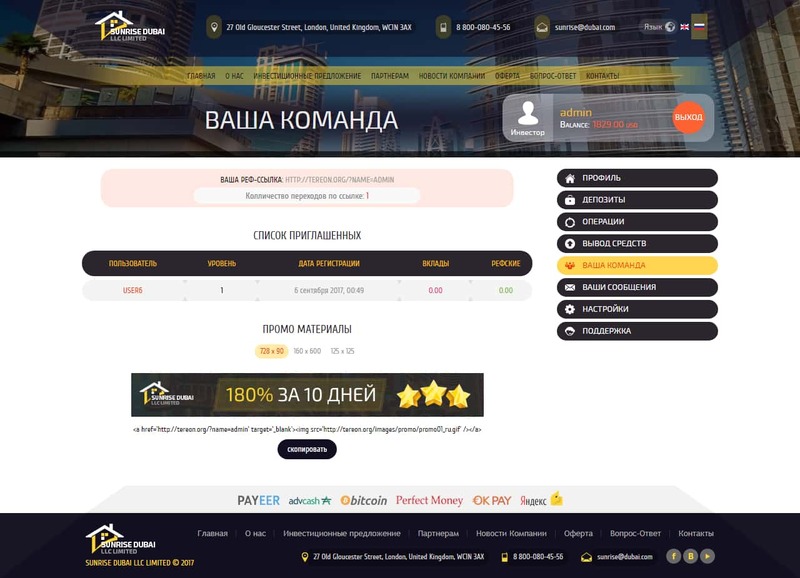 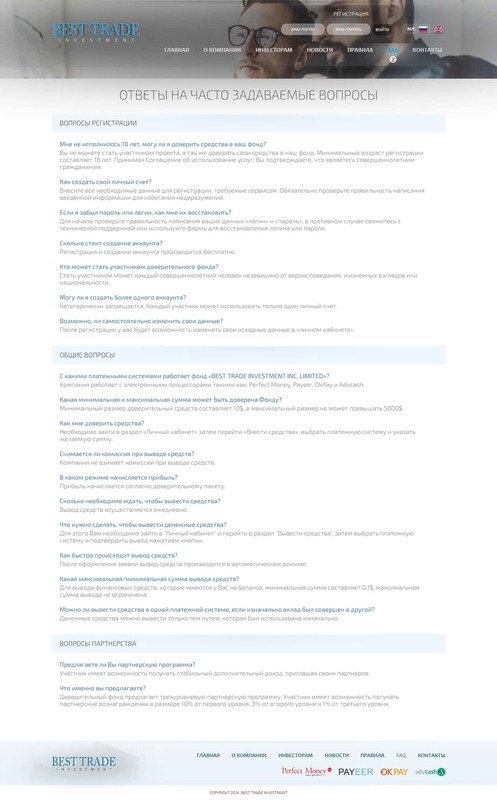 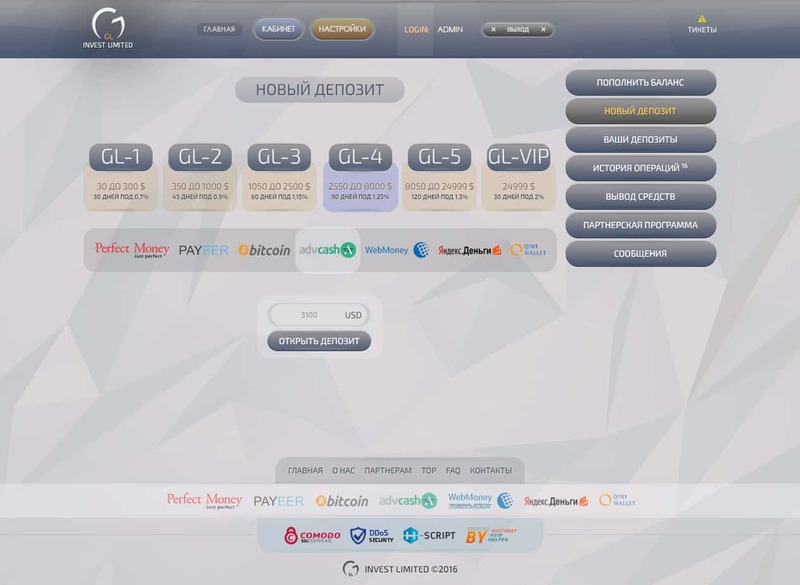 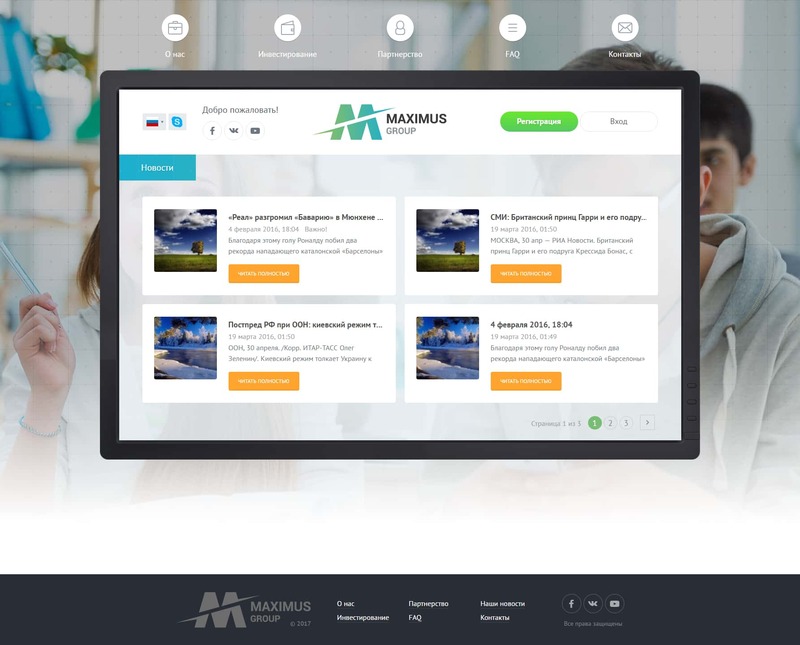 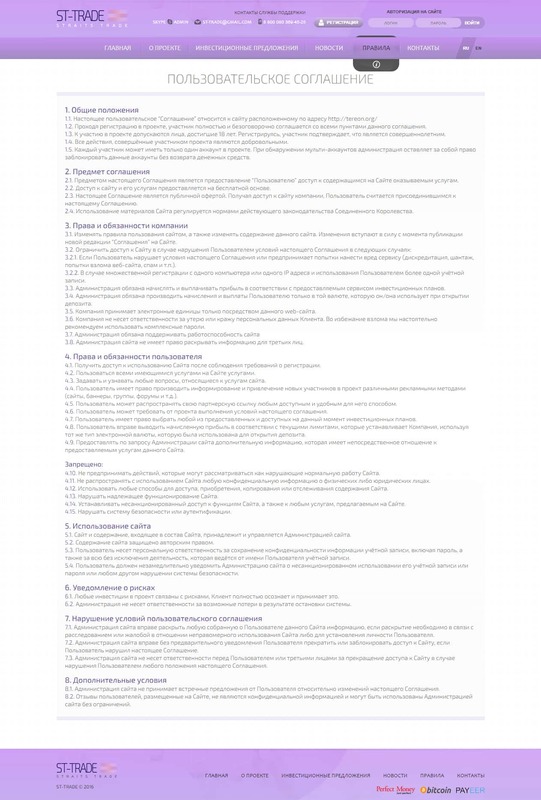 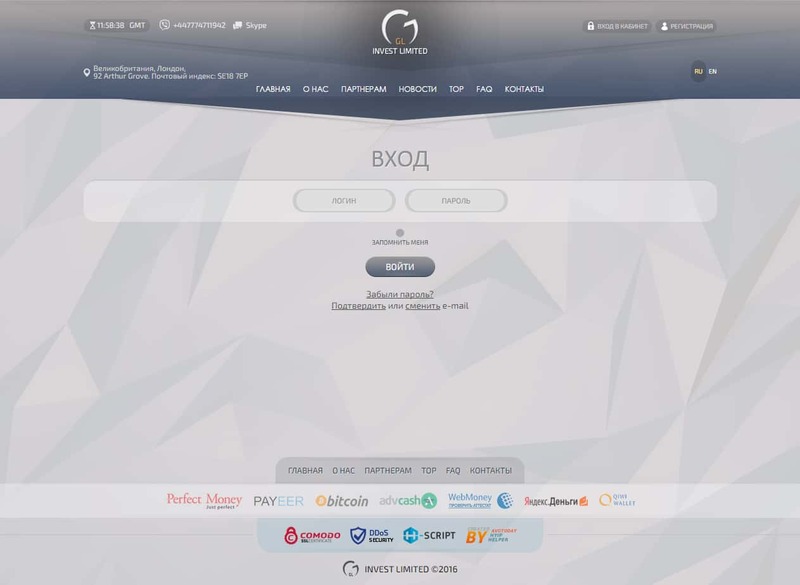 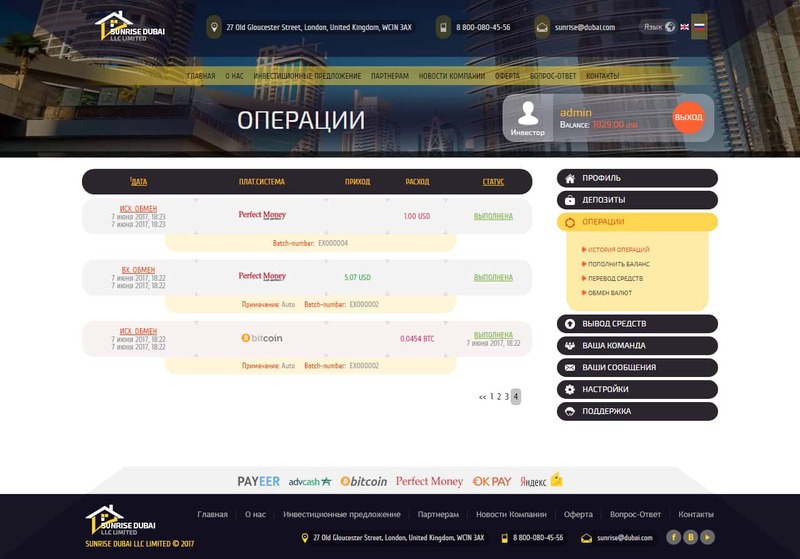 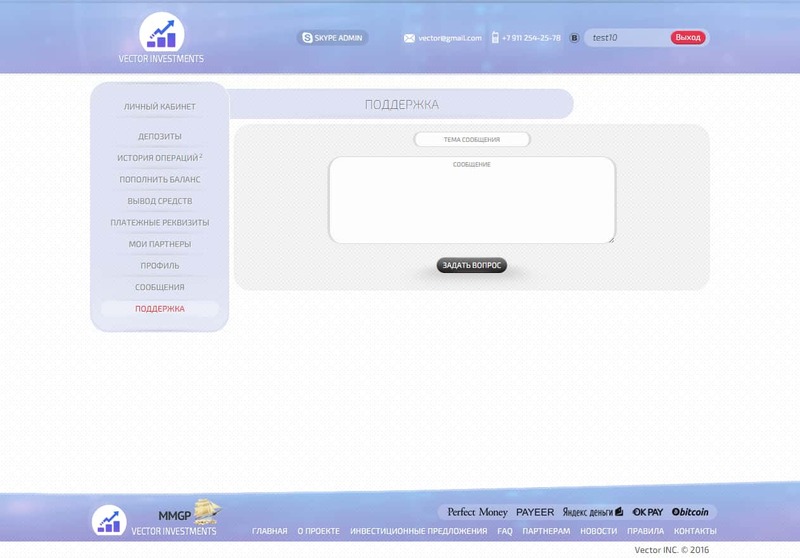 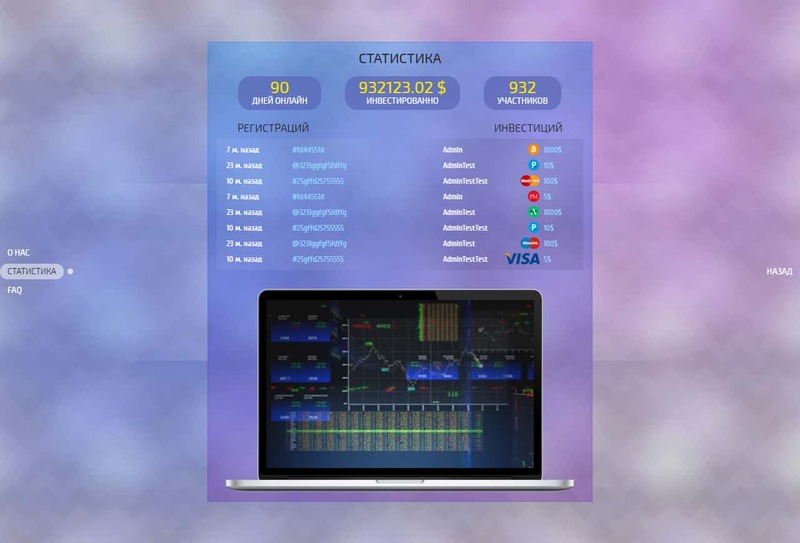 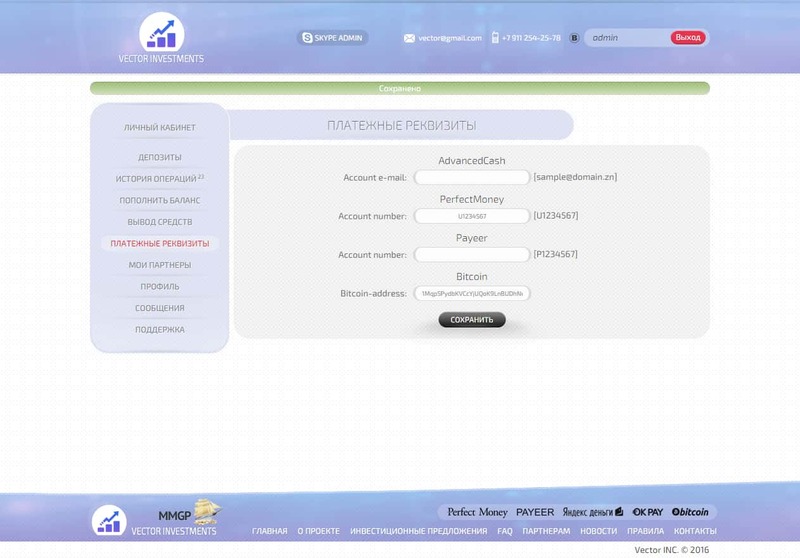 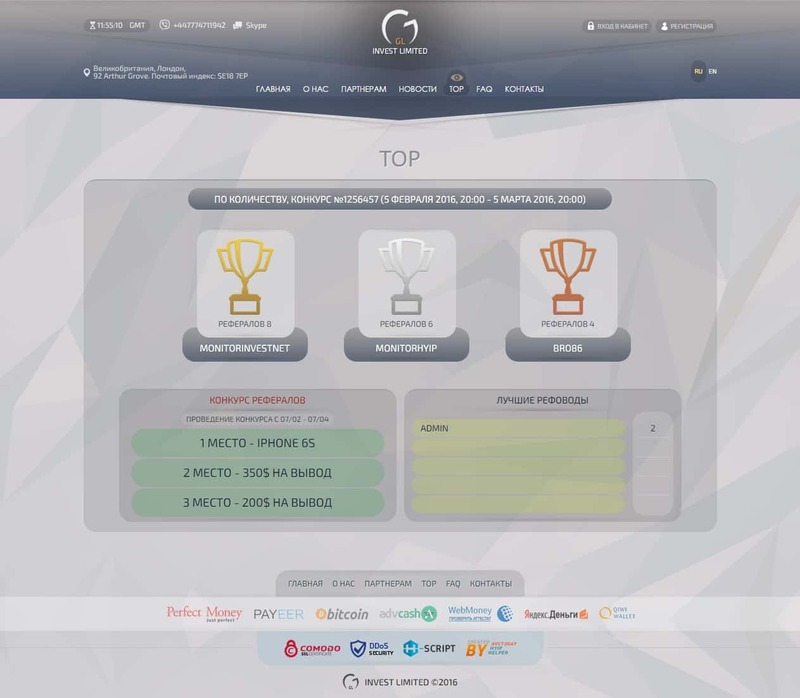 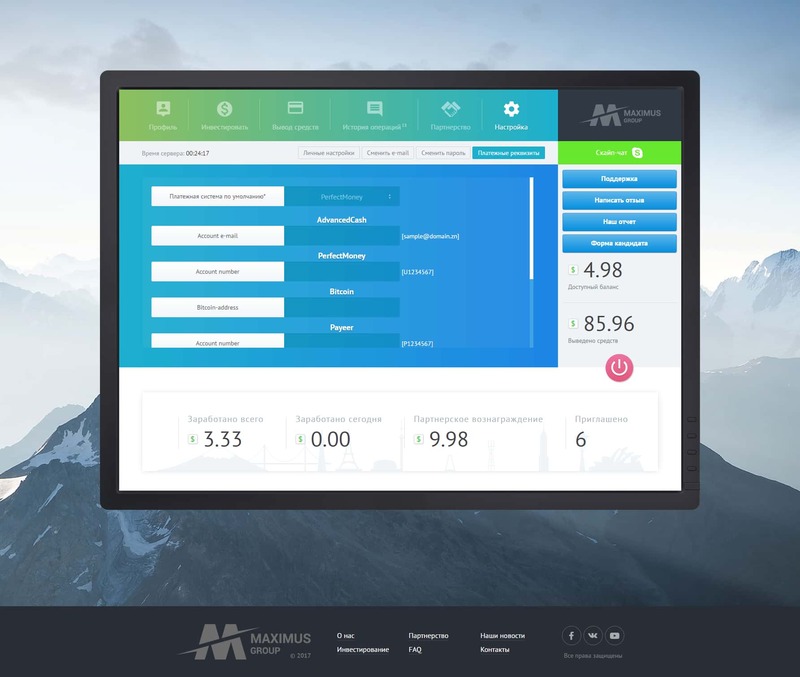 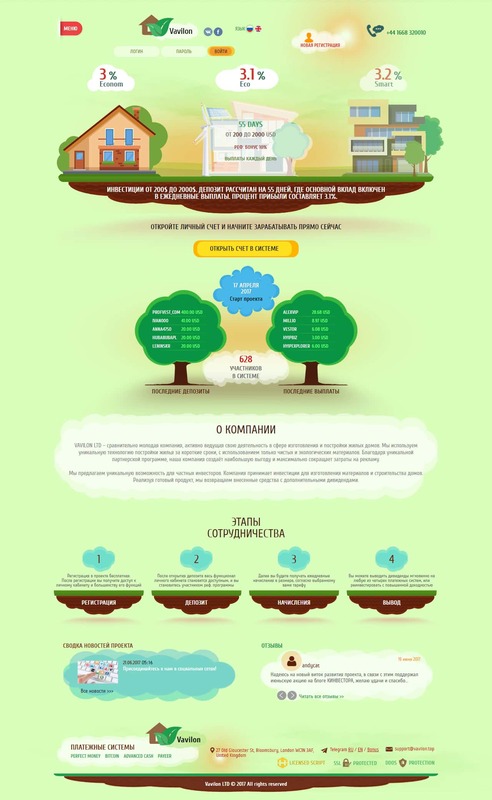 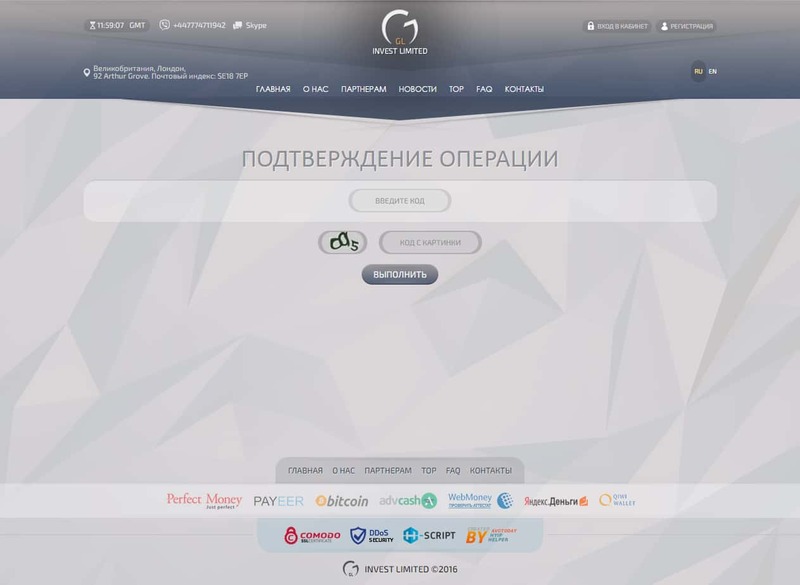 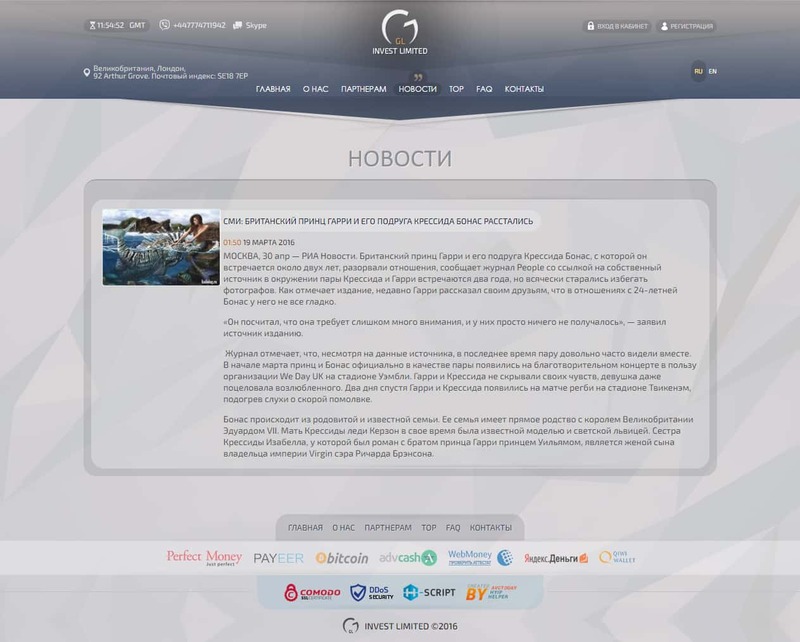 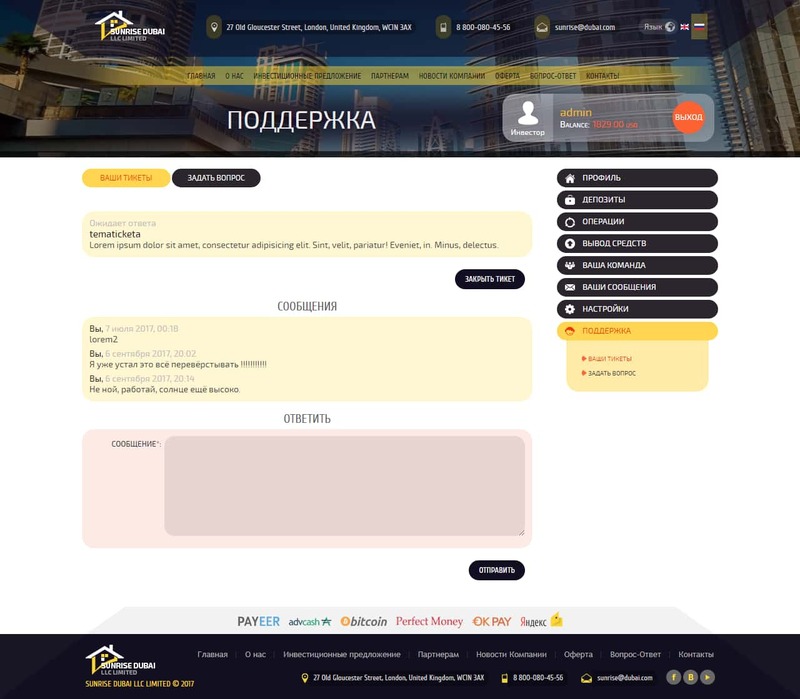 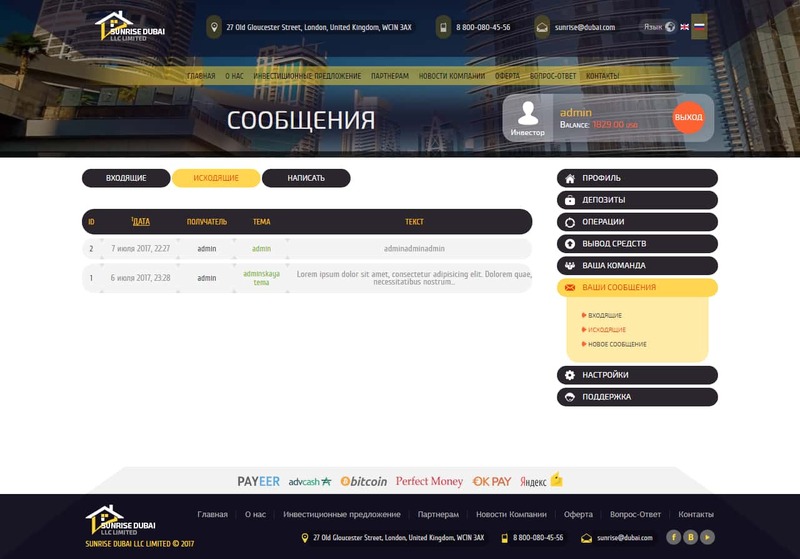 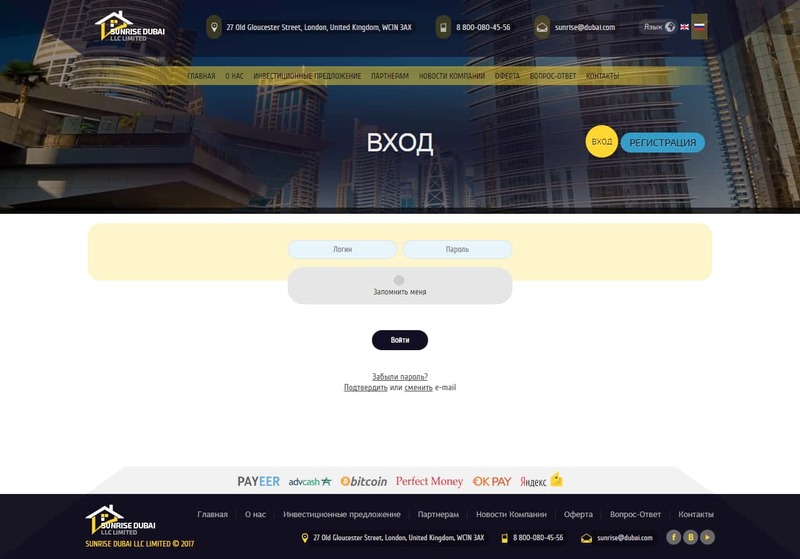 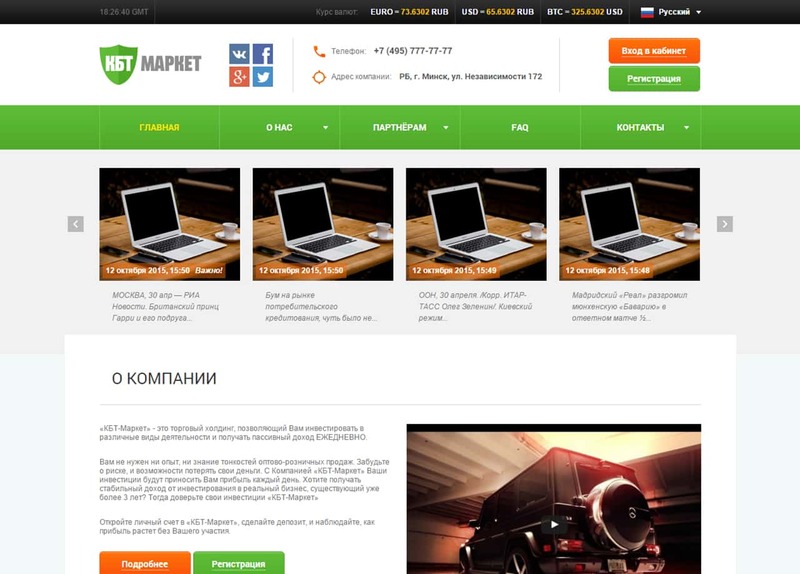 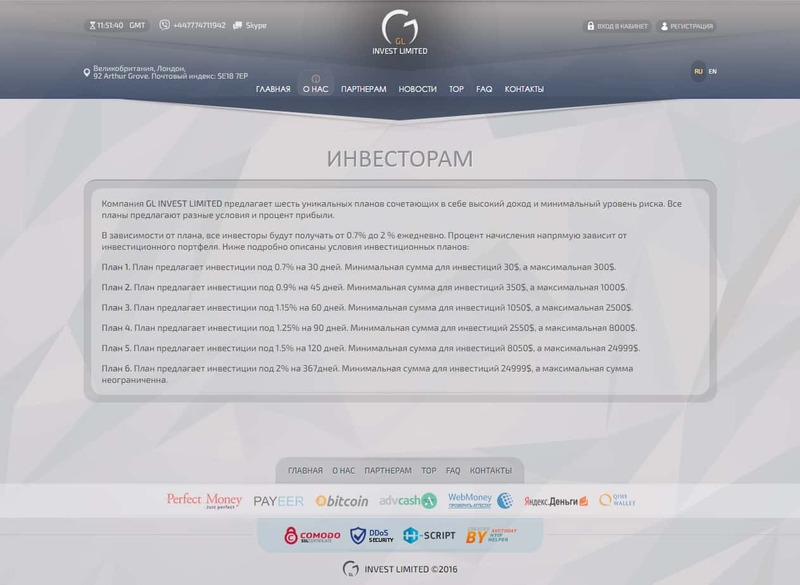 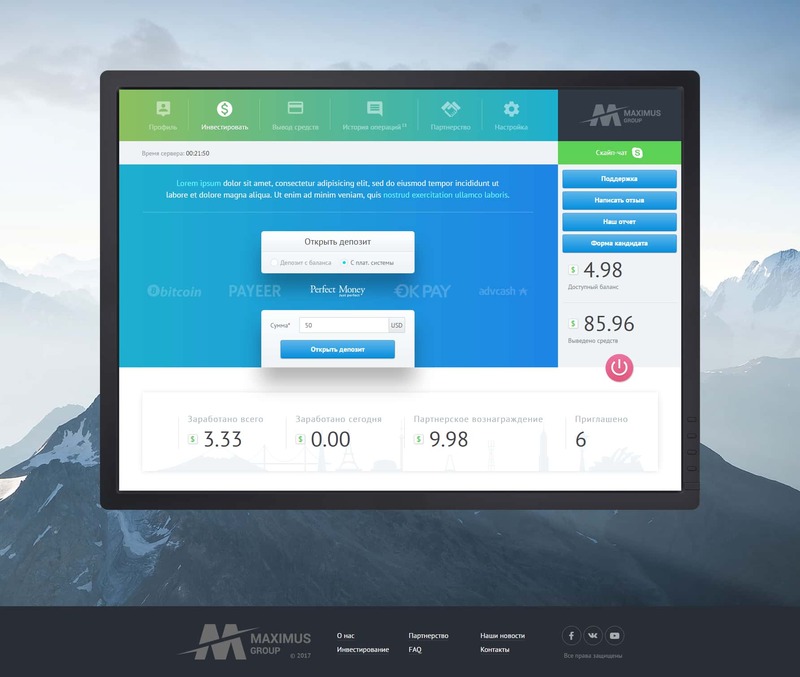 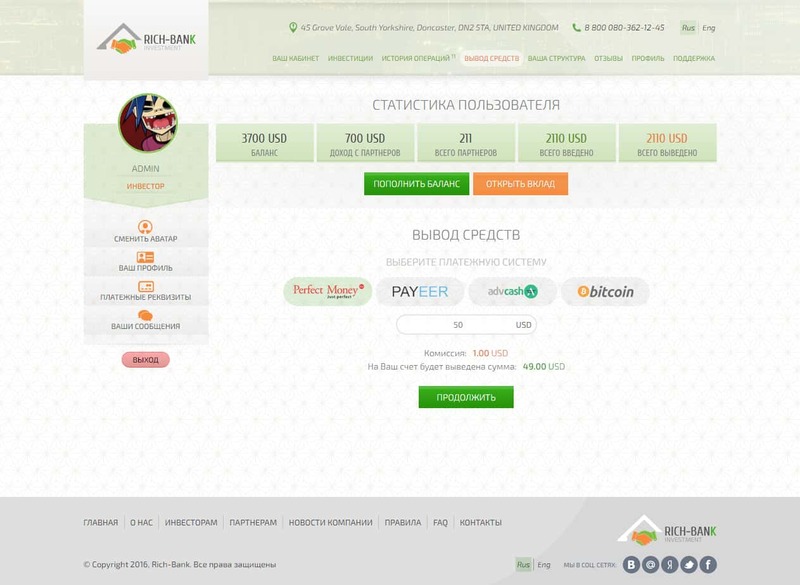 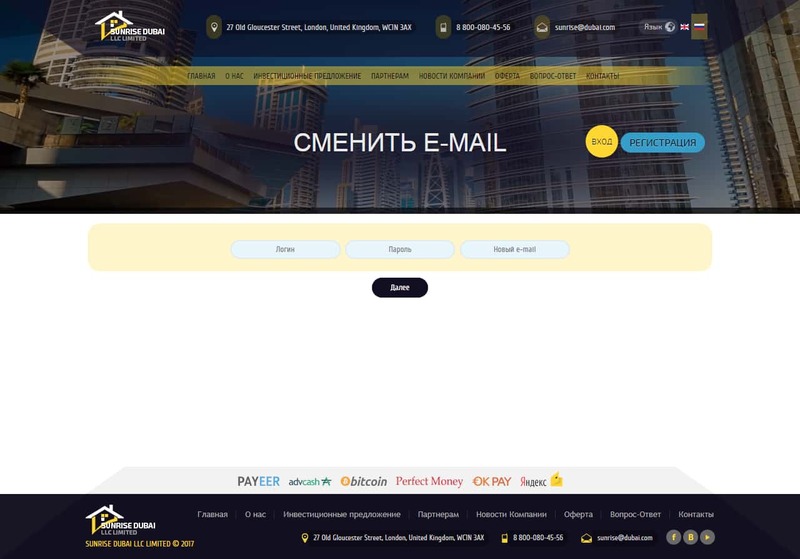 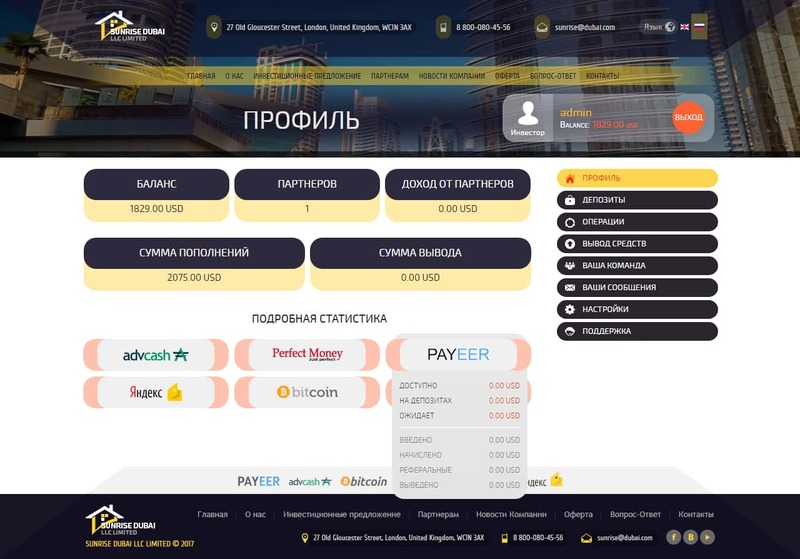 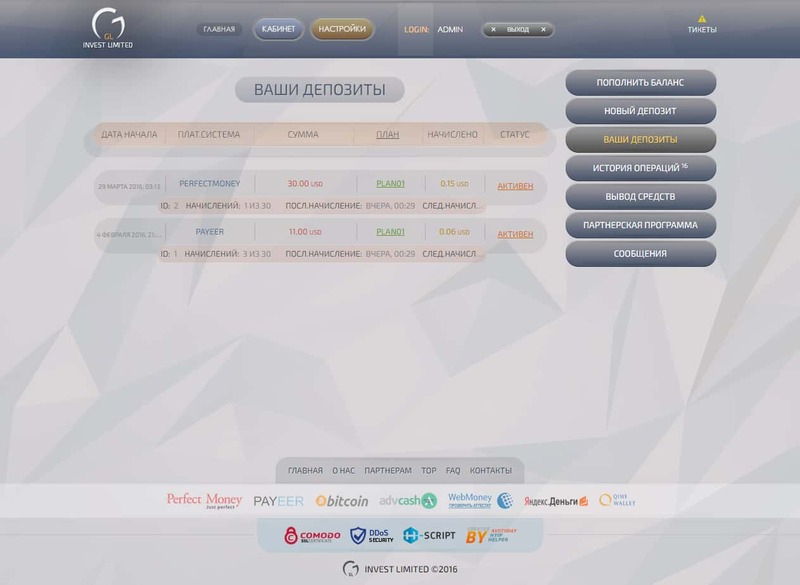 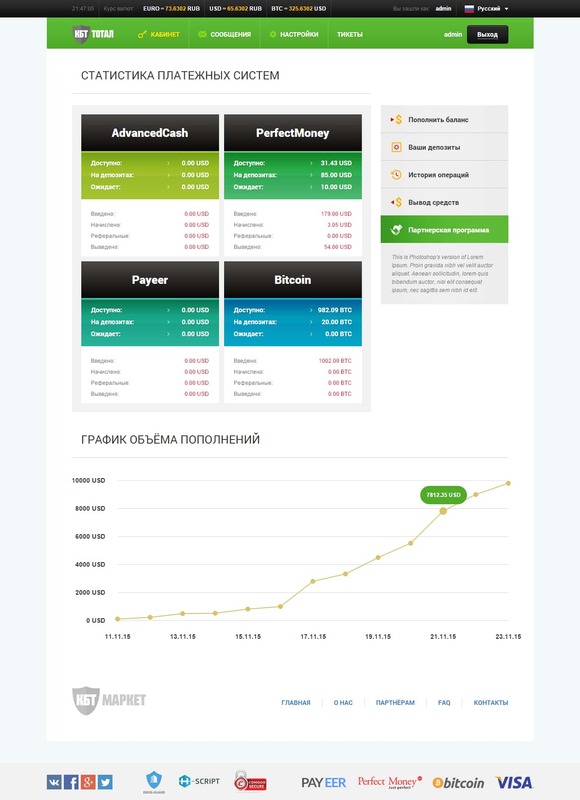 Creation of the topic on the largest Russian-language forum mmgp.ru, posting of successful payouts everyday, mailing to email databases (more than 1 million), noticing about project to potential investors on skype. 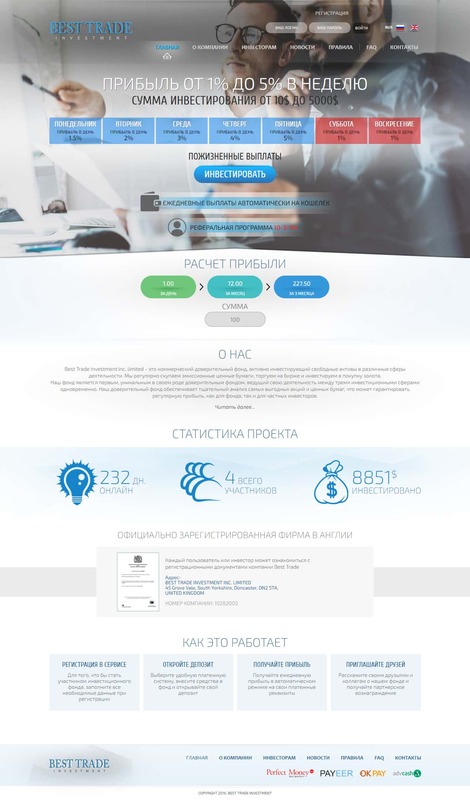 Help in finding monitors, bloggers or other types of advertising for further promotion of the project, as well as compiling marketing. 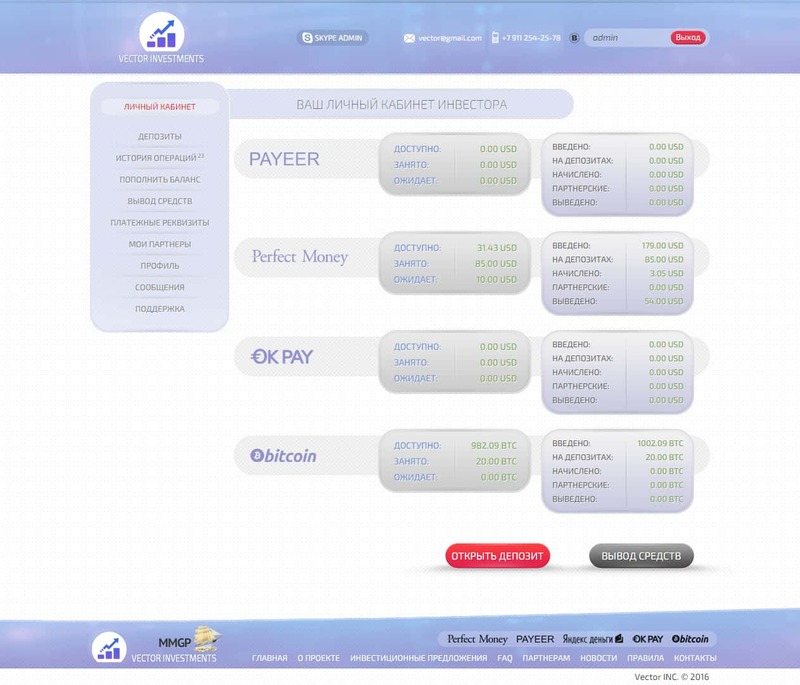 Sale of verified e-wallets PM, PAYEER, ADVcash and etc. 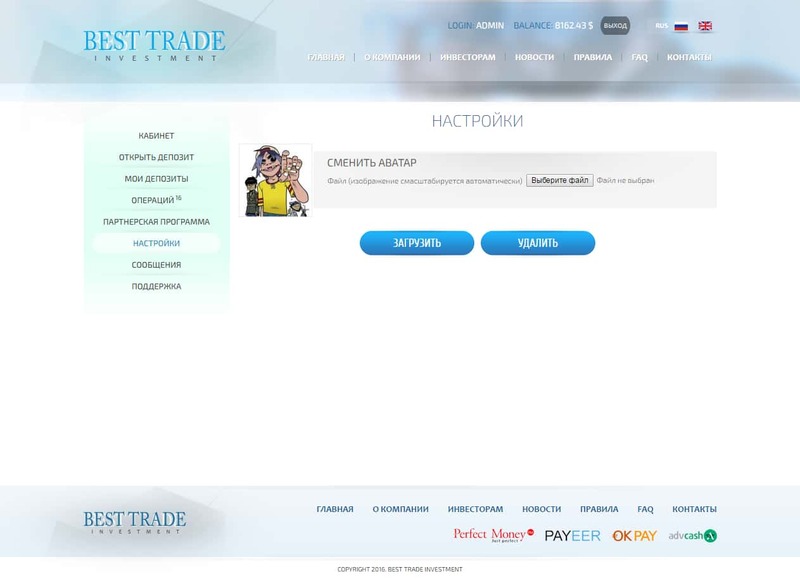 Online support on Skype, call-center and support telegram chats. 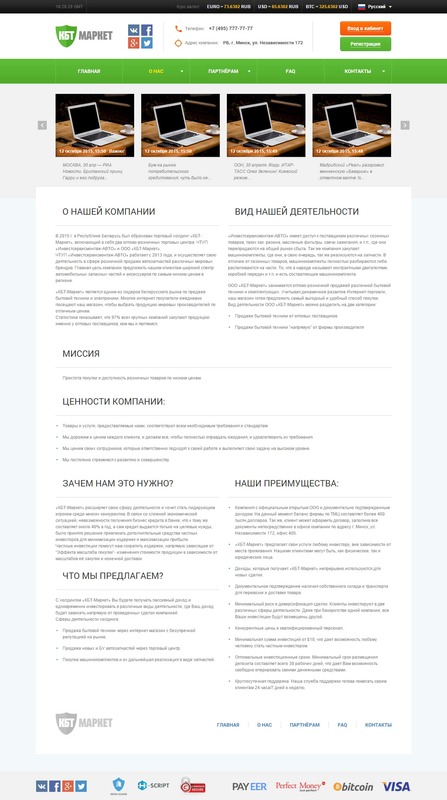 Development of a unique legend and writing texts for the project. 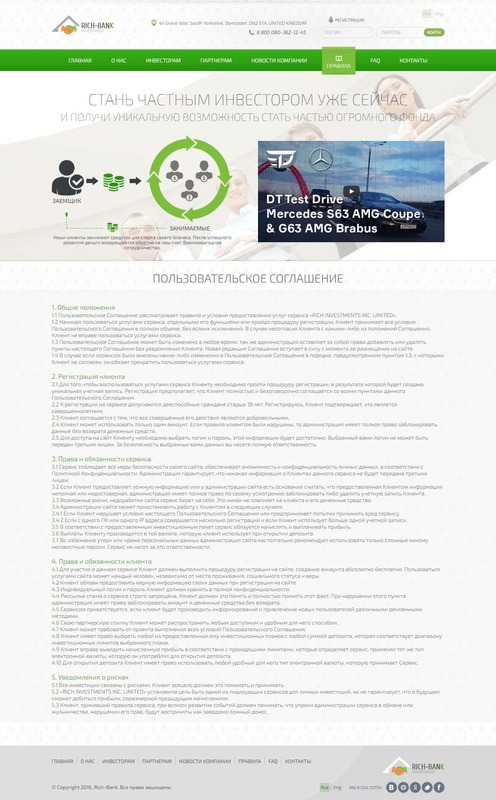 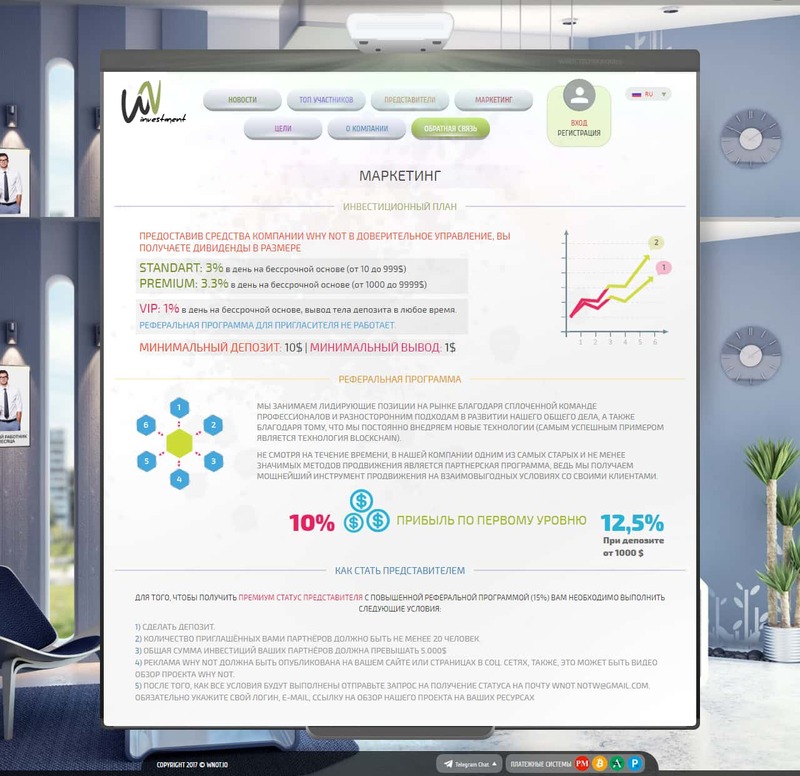 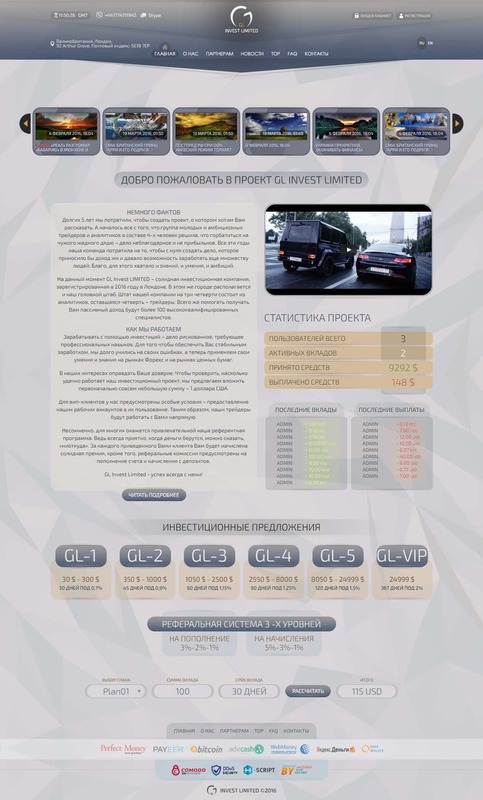 Development of unique video presentations, infographics. 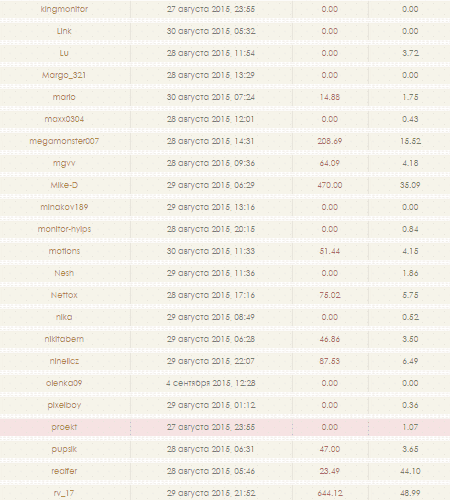 Duration from 1 minute. 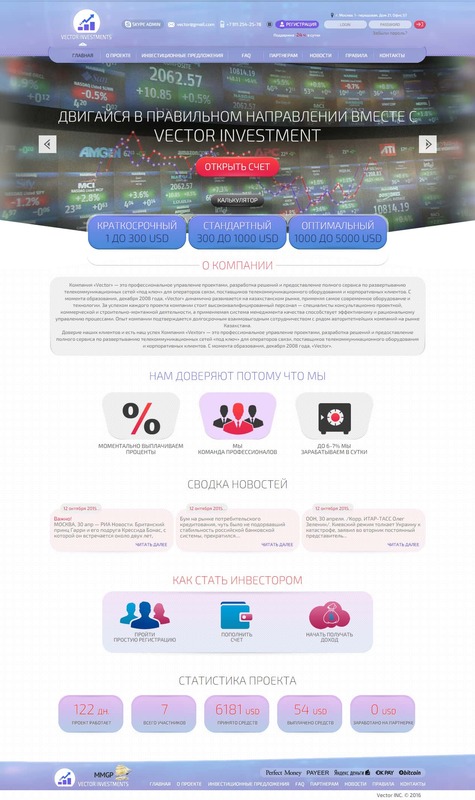 Sale of telephone numbers of more than 100 countries. Setting up an answering machine and automatic telephone exchange. 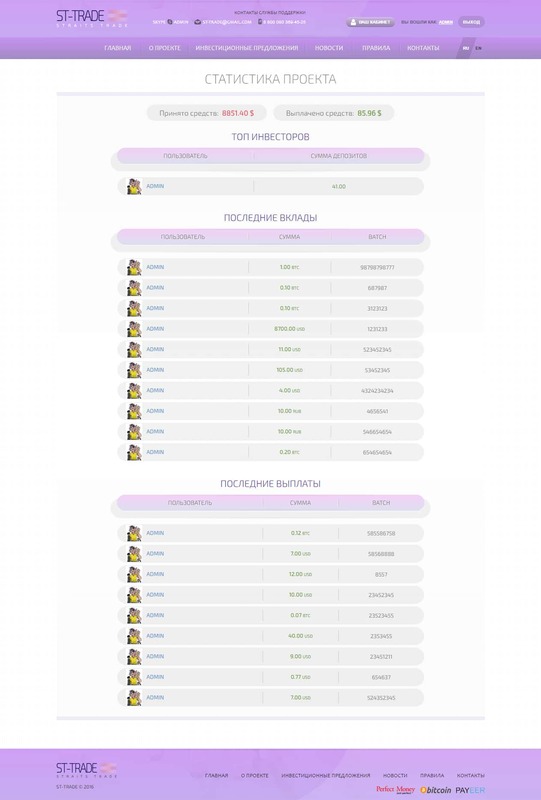 Development of a unique telegram bot. 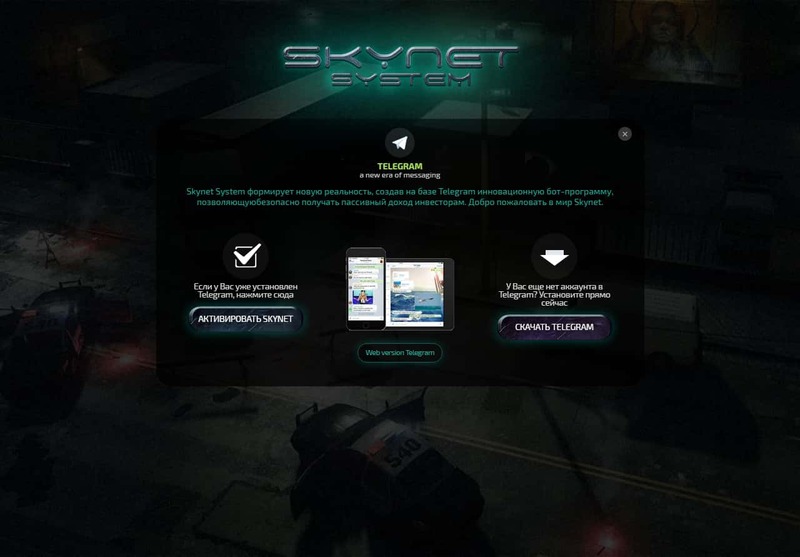 The bot can be set up by H-script. 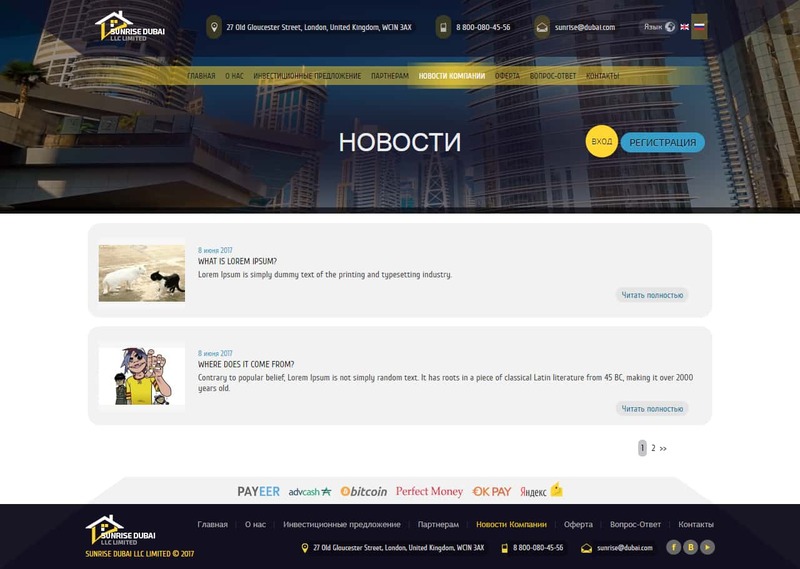 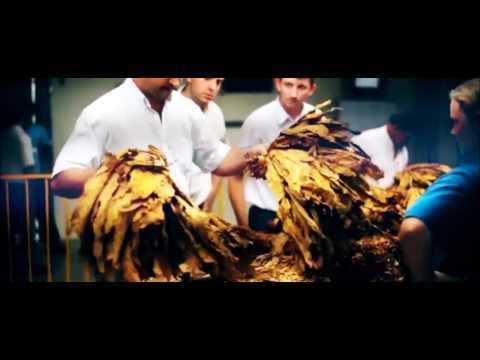 Do you want to advertise your HYIP? 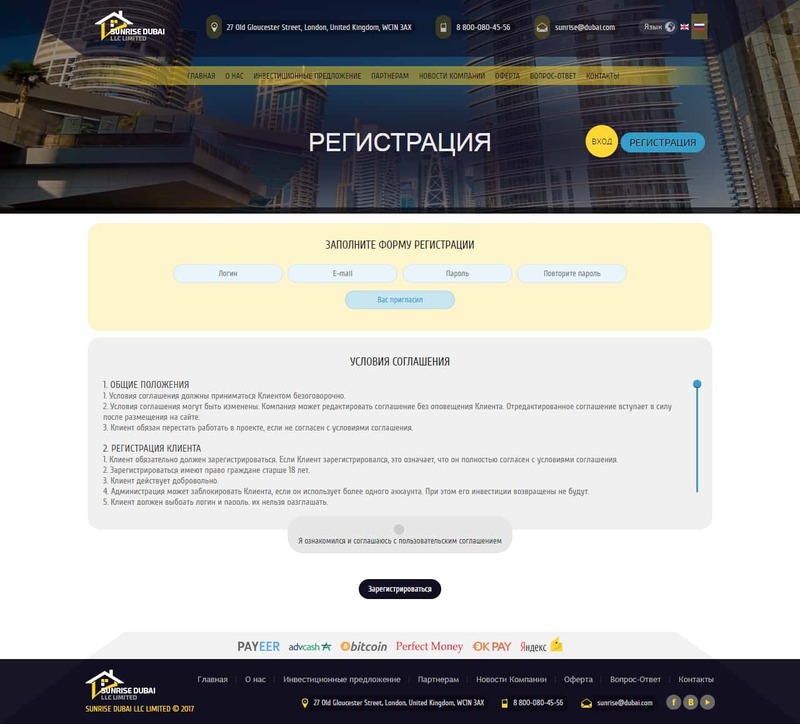 Do not know how to start advertising your project. 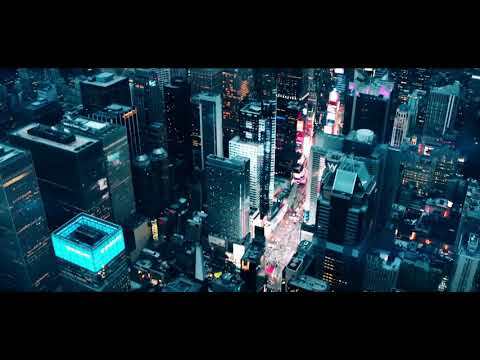 Are you new and looking for advertising advice? 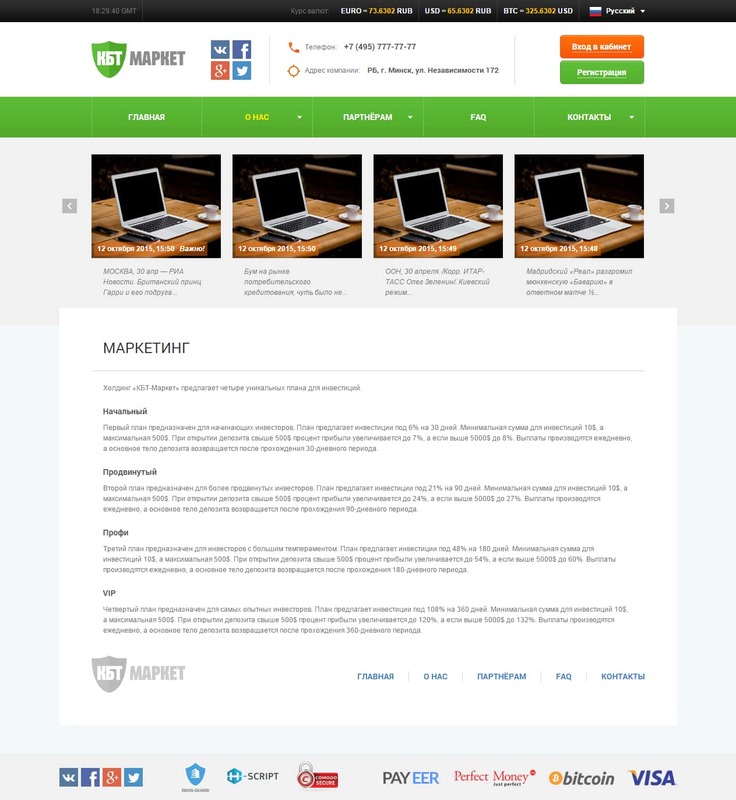 Order advertising from us. 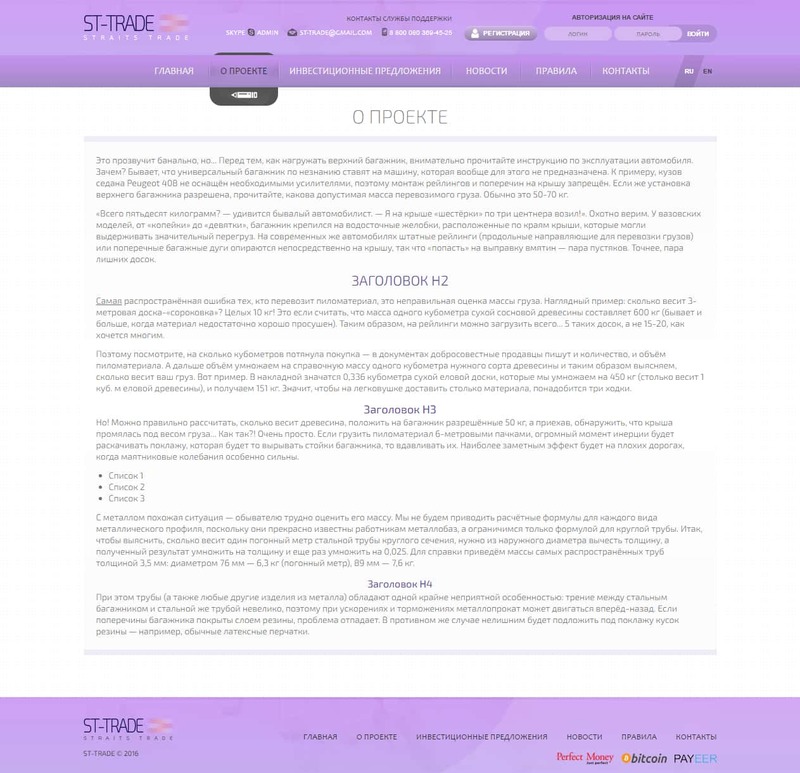 We will give advice on advertising your project. 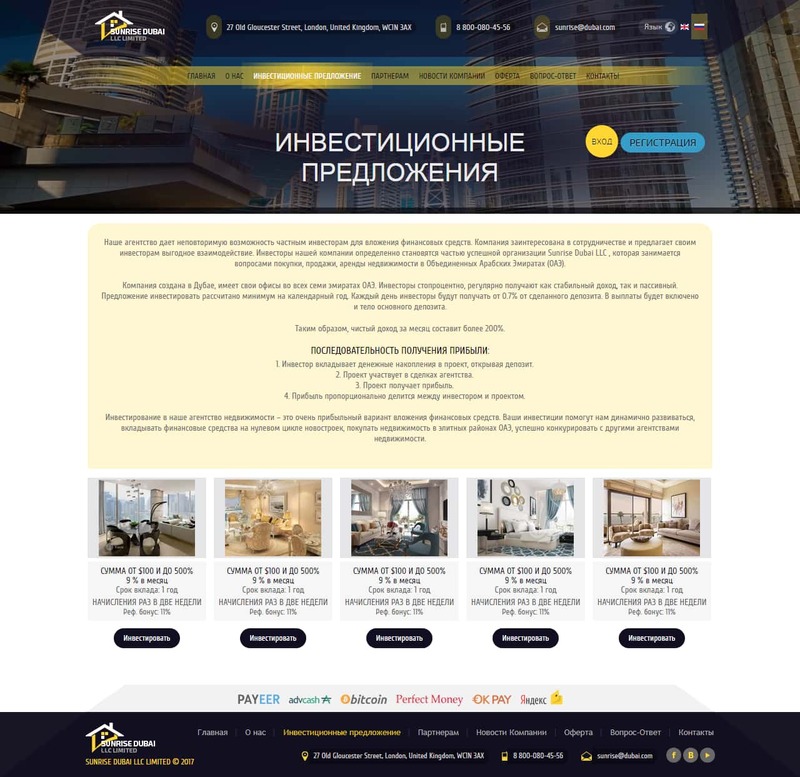 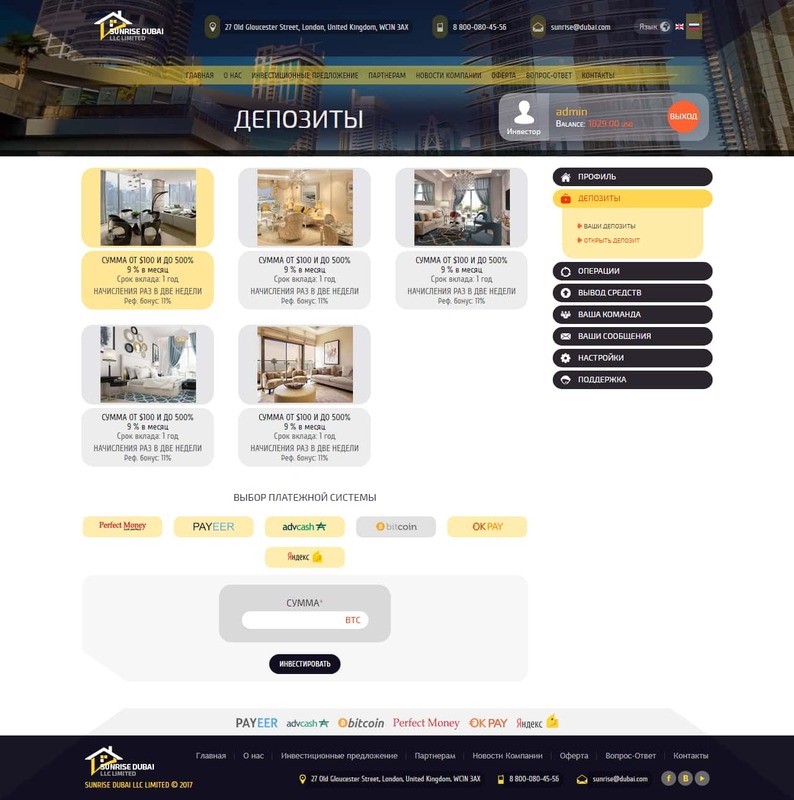 Advertising of your HYIP project. 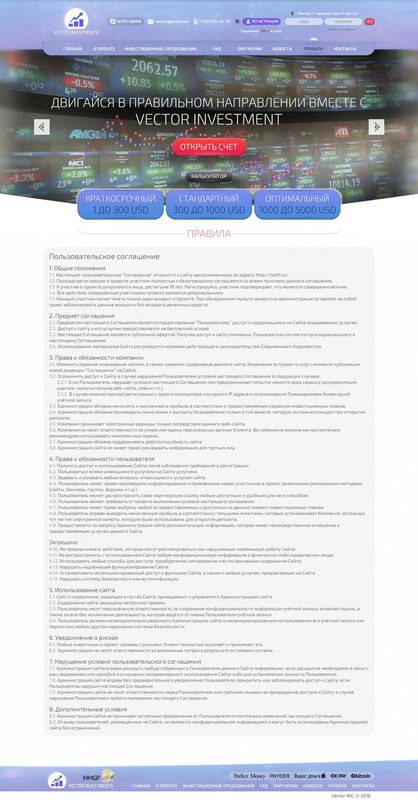 and additional services on a turn-key basis. 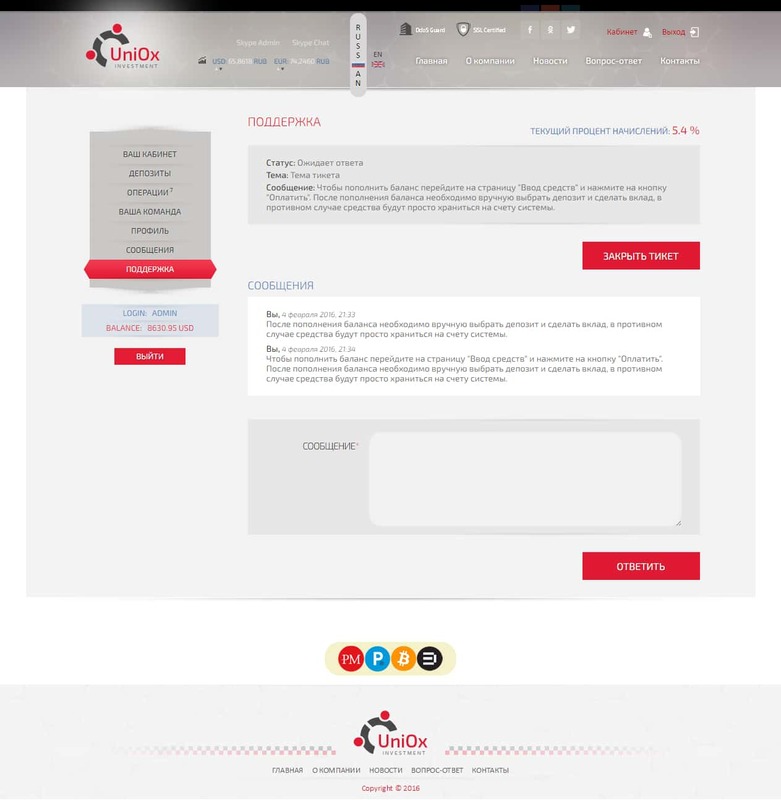 We offer services include the creation of the project completely from scratch. 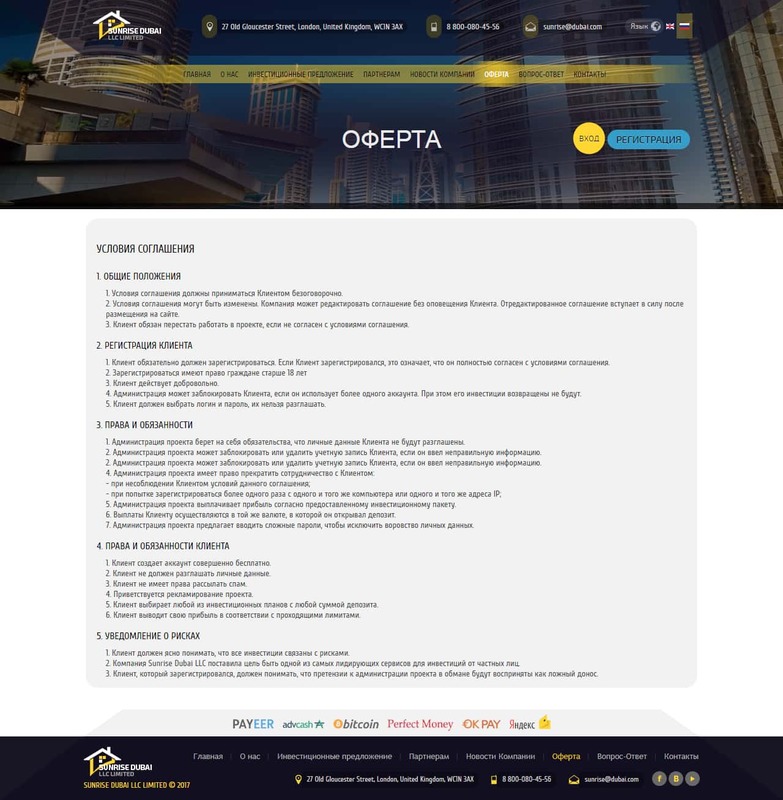 The development process begins with the preparation of the technical assignment until it is fully completed and launched. 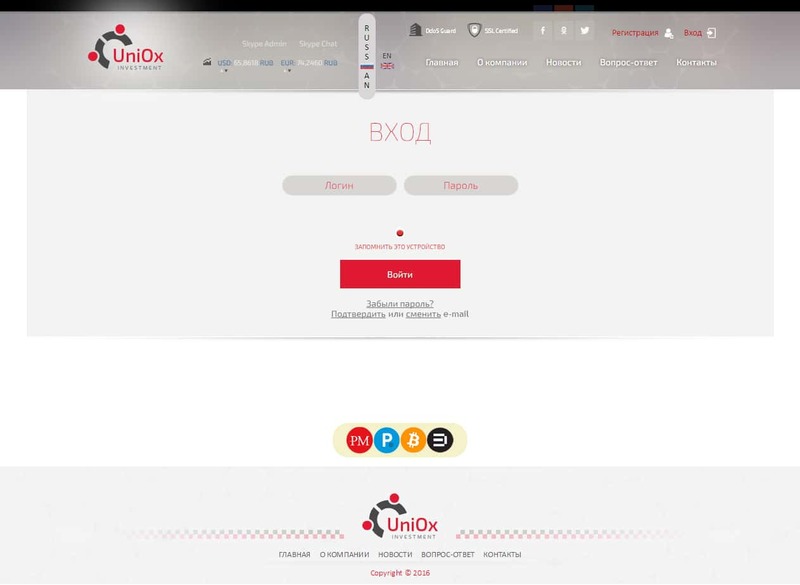 This is the most convenient and quick way to create your own unique project. 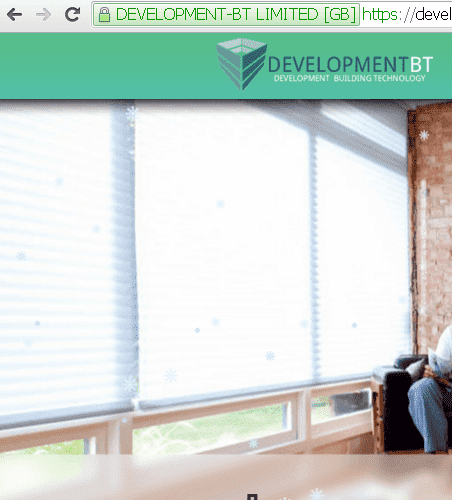 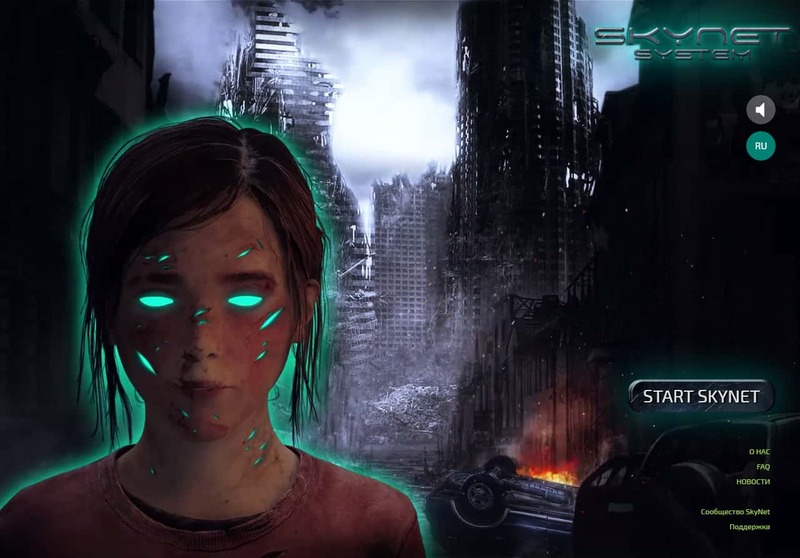 Development time from 30 days. 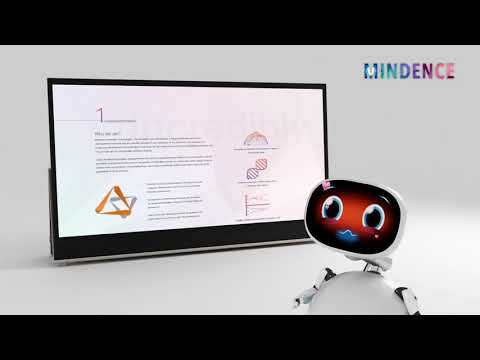 Why you should have a video presentation? 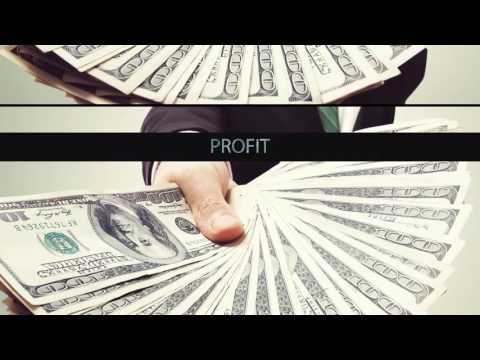 Video presentation is your business card. 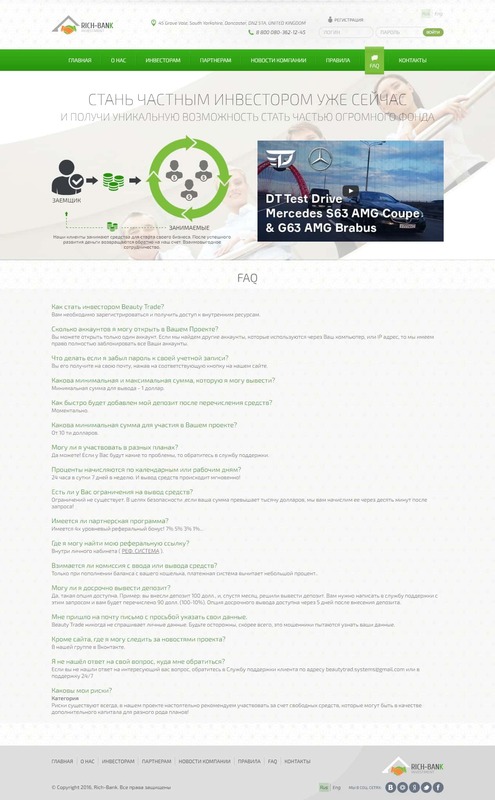 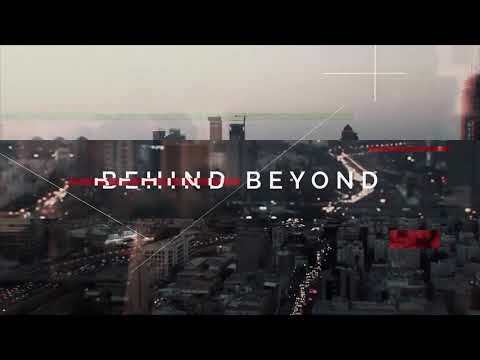 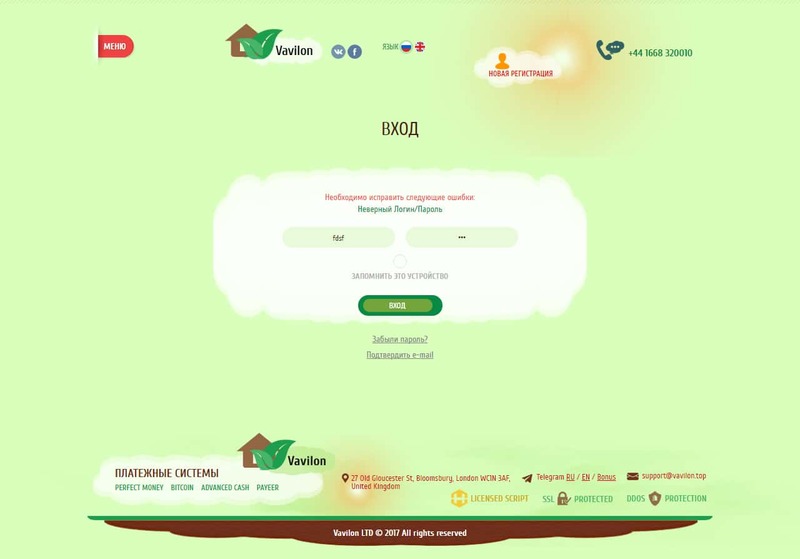 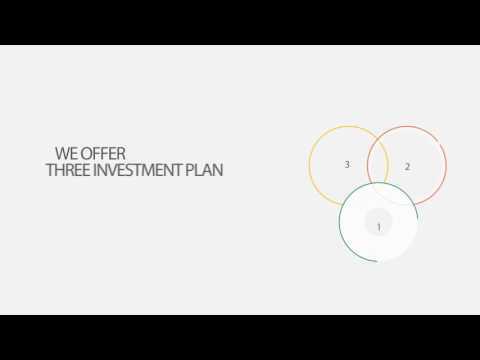 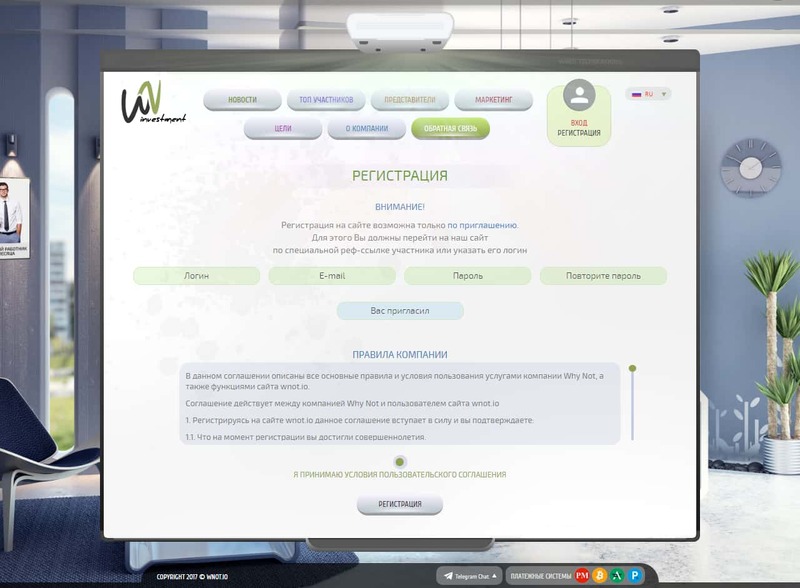 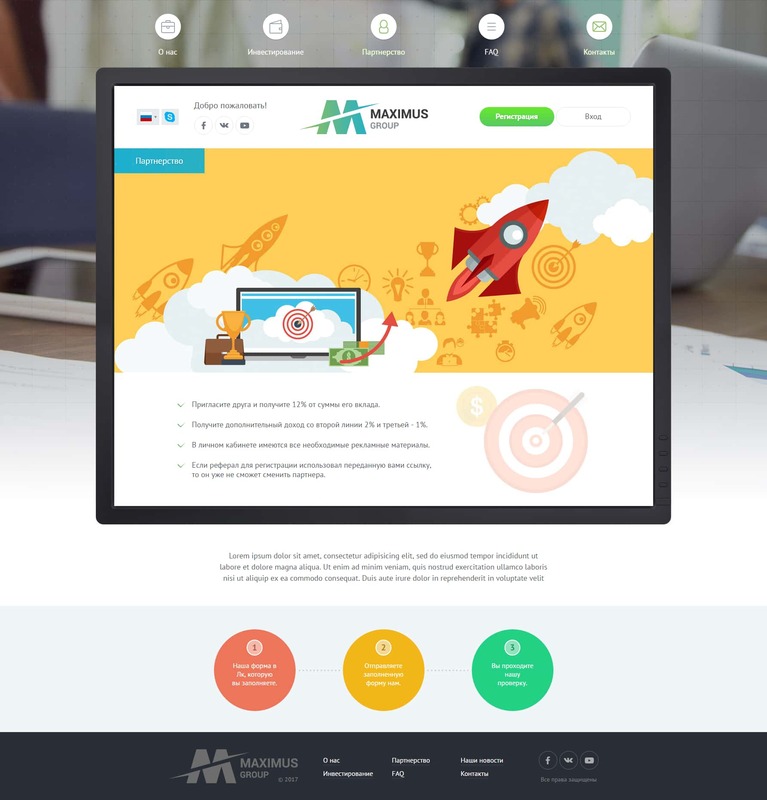 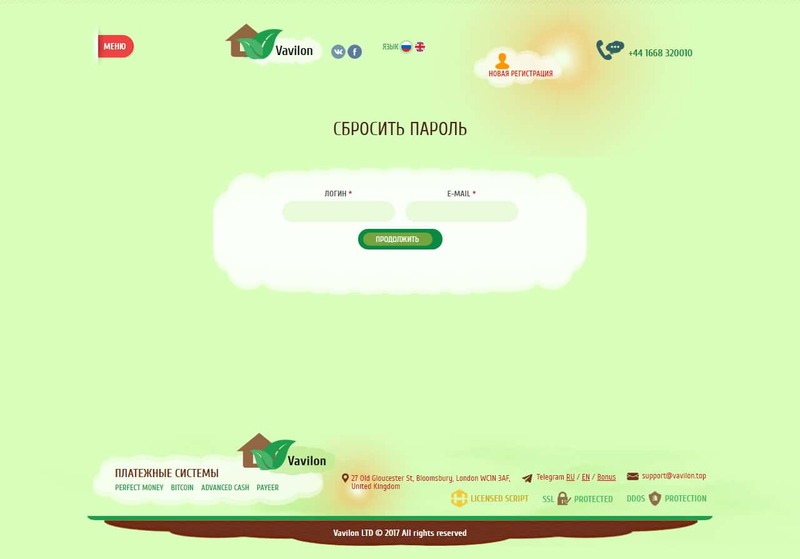 With the help of a short video you have a unique opportunity to tell about the company, investment plans, company strategy and other important aspects. 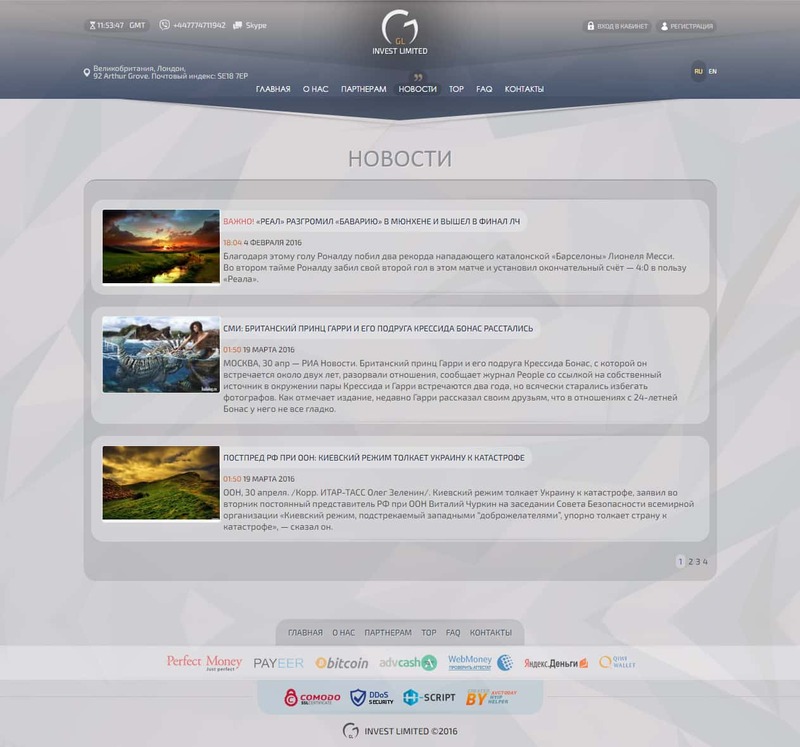 A huge experience in developing of video presentations guarantees the success and reliable promotion of your project. 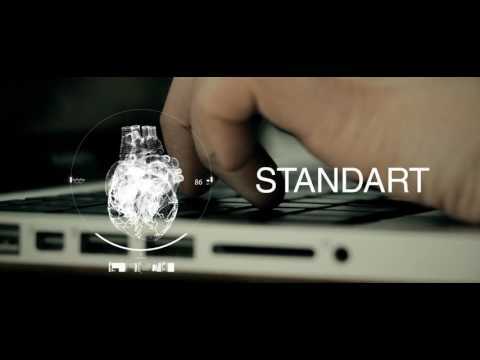 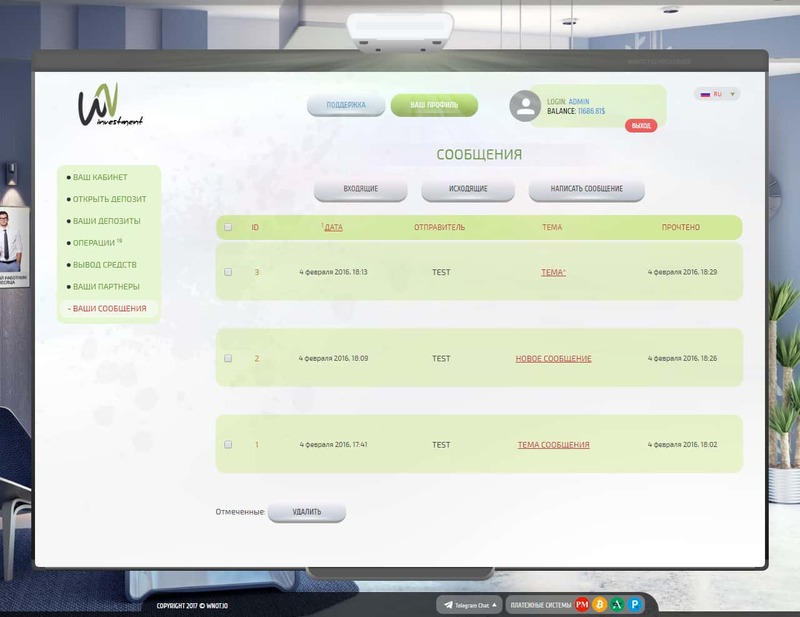 Our developers will help you choose the animation, create a good text and find a necessary script. Opening of the official company in England. 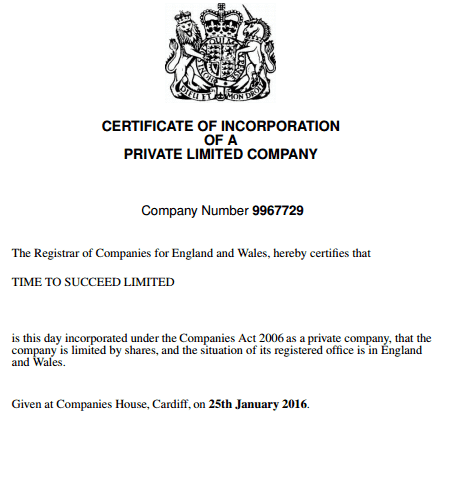 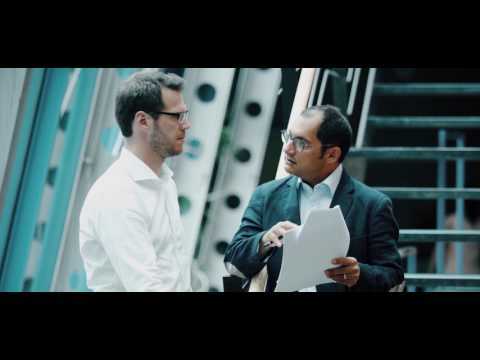 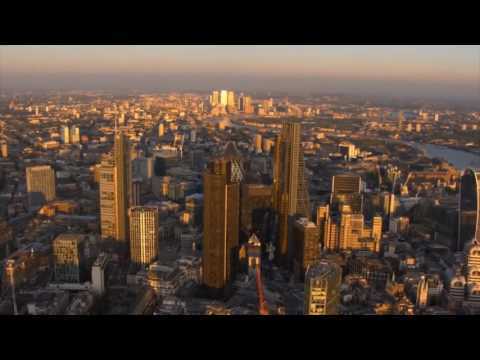 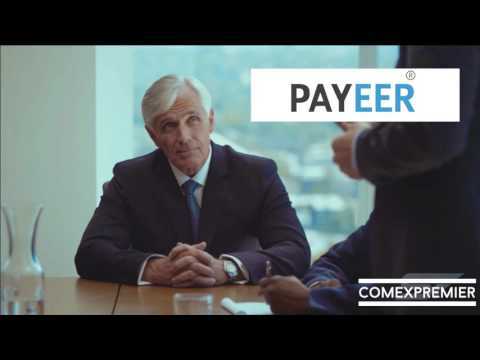 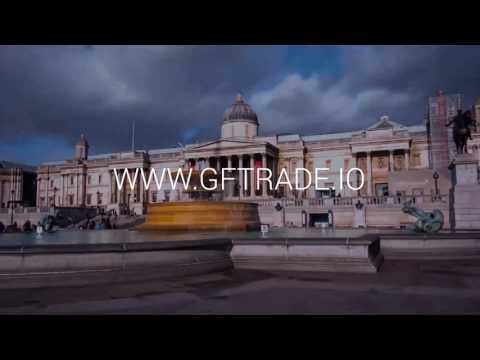 Why you should have an official company in England? 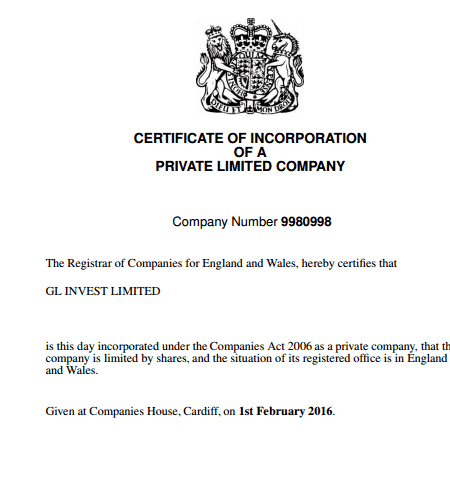 Opening an offshore and official company in England will help convince future partners of honest and long-term goals of your company. 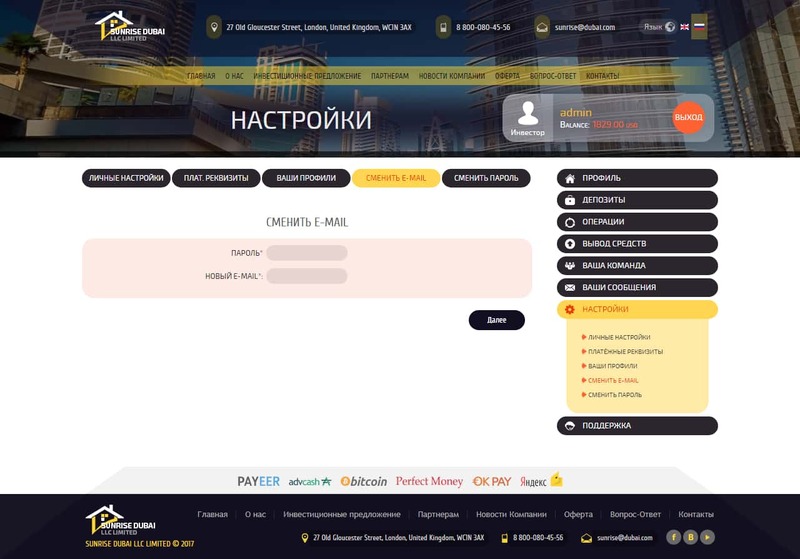 Also, the availability of official documents will increase loyalty and trust. 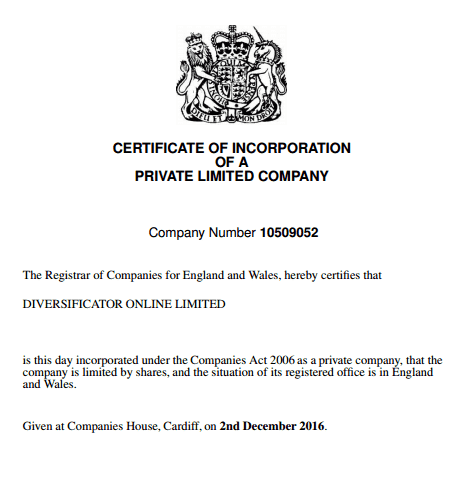 When ordering this service, you receive a complete list of electronic documents on the successful opening of a legal company in England. 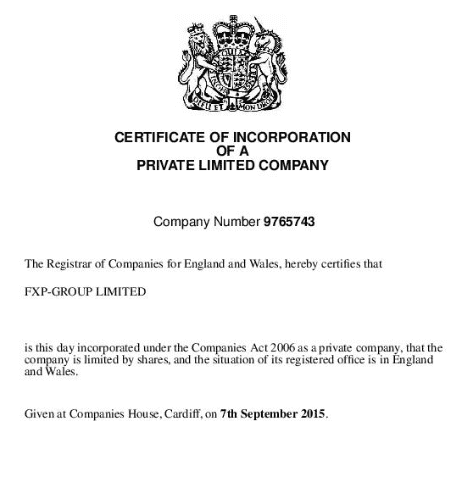 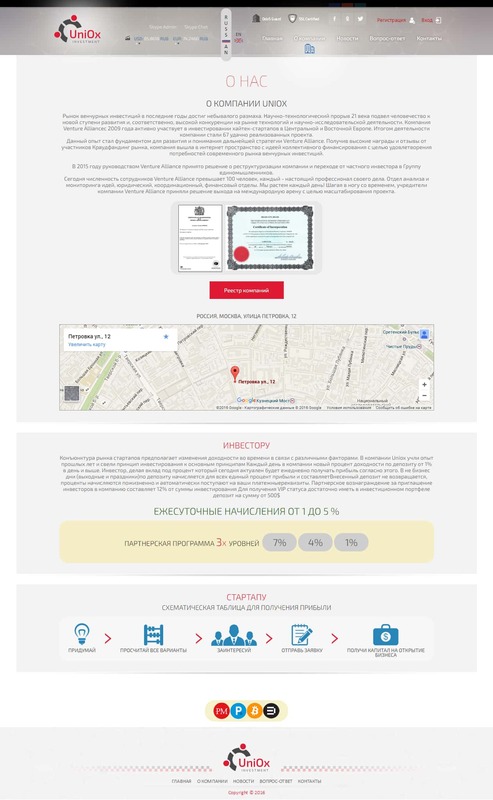 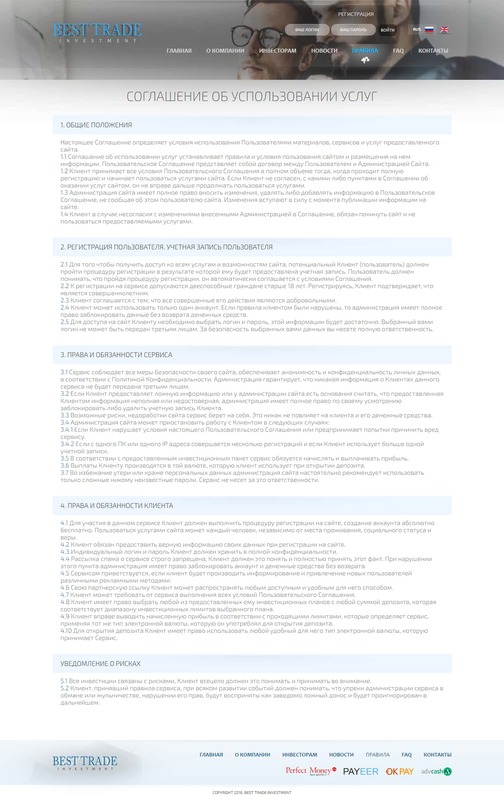 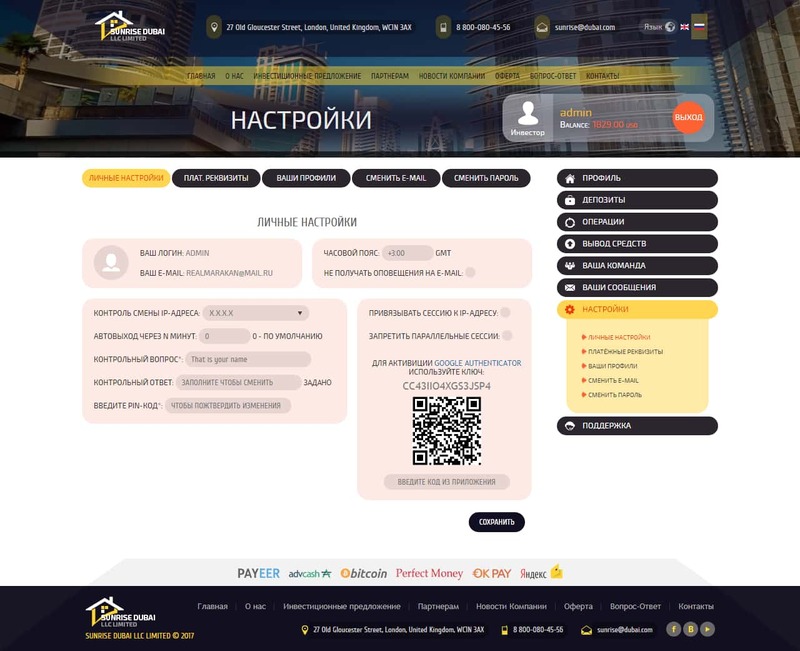 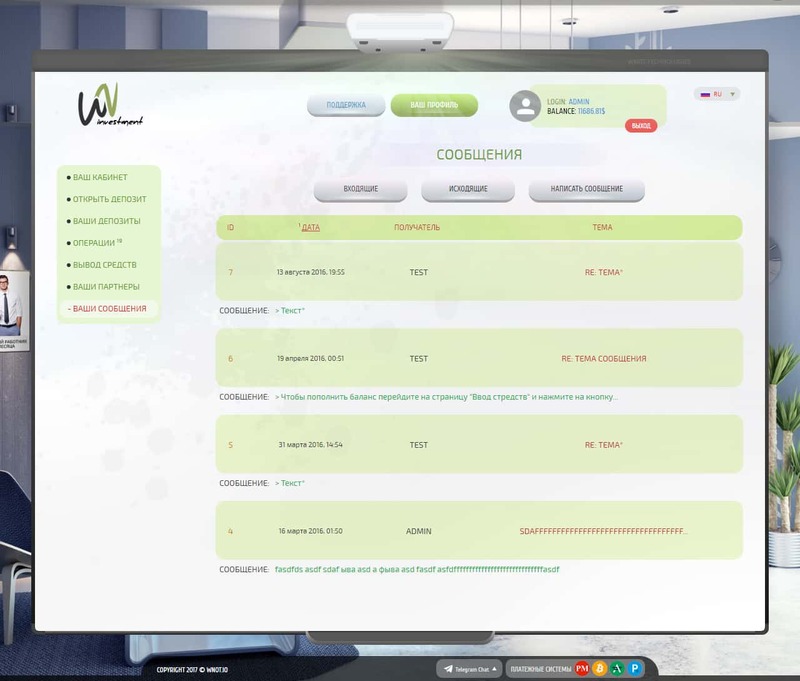 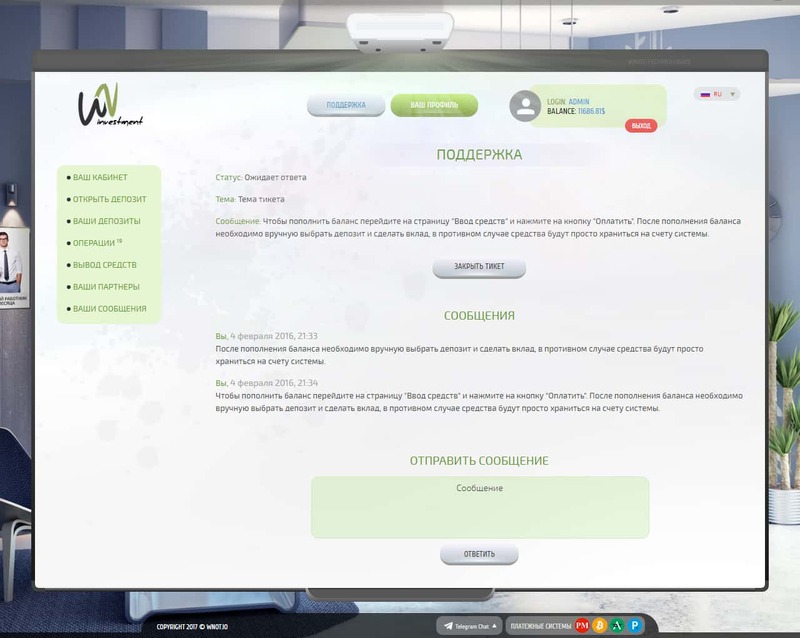 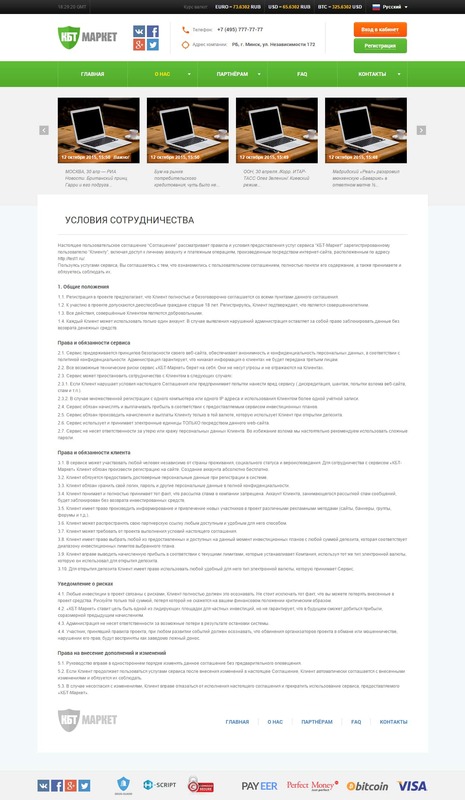 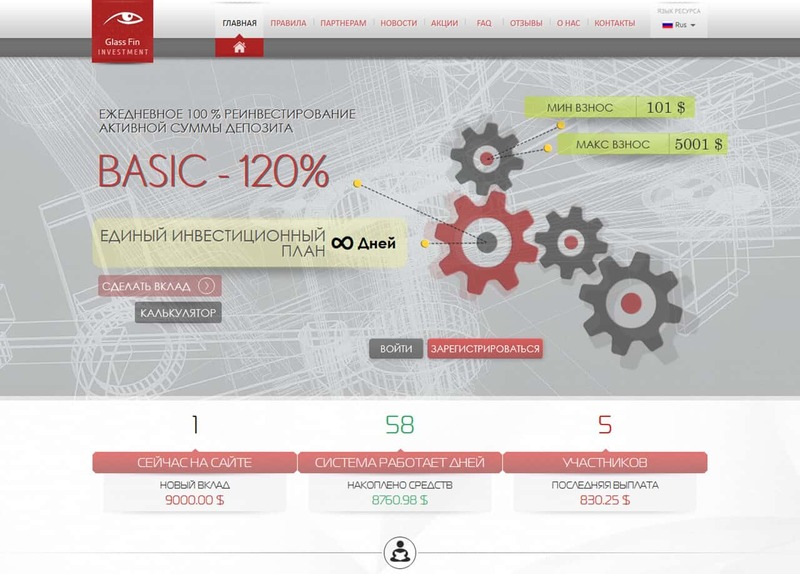 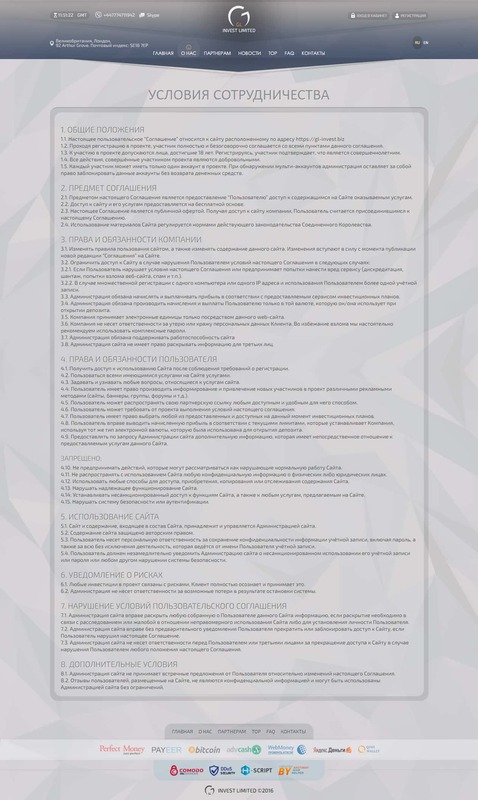 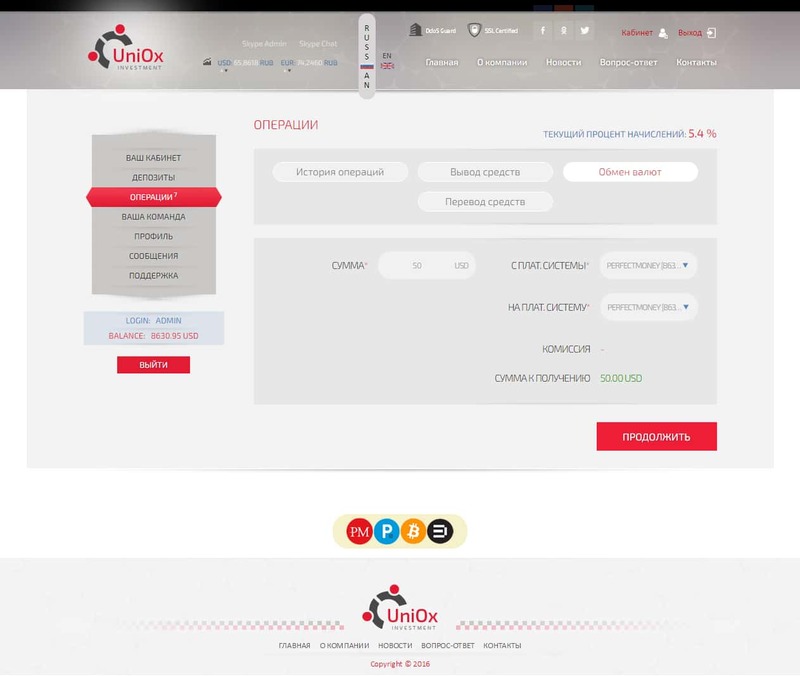 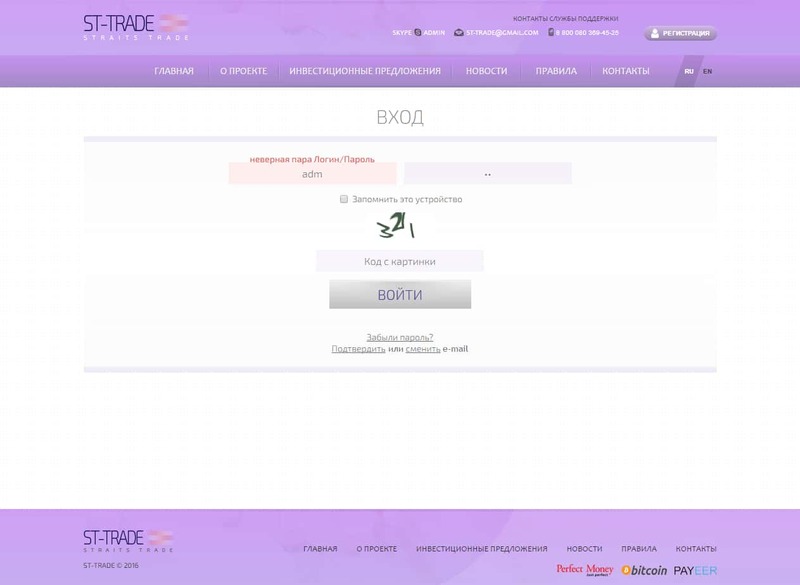 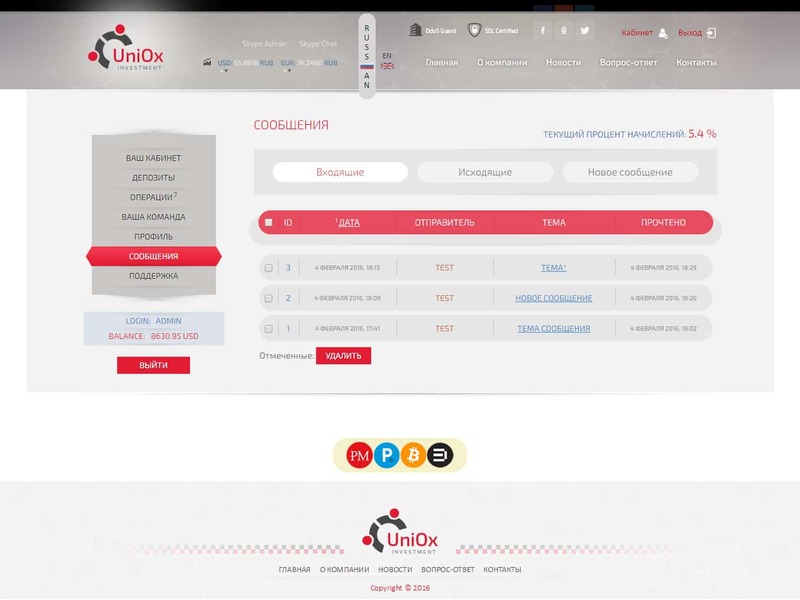 Also, the firm receives a unique code in the register of English companies. 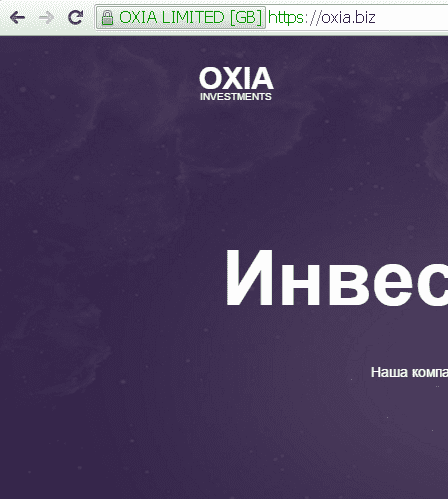 Development time from 2 days. 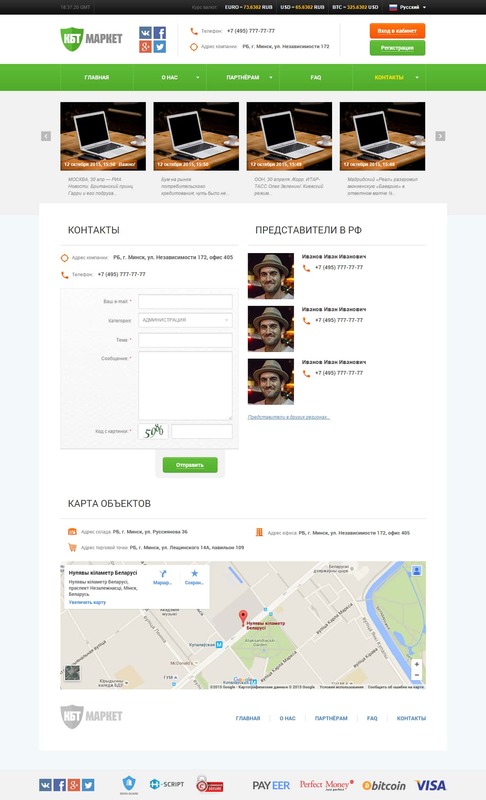 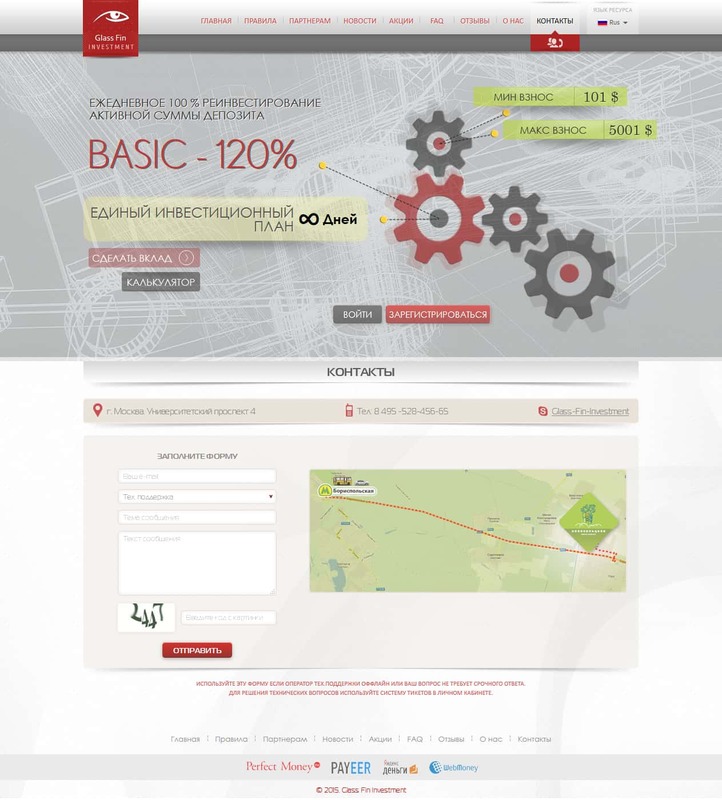 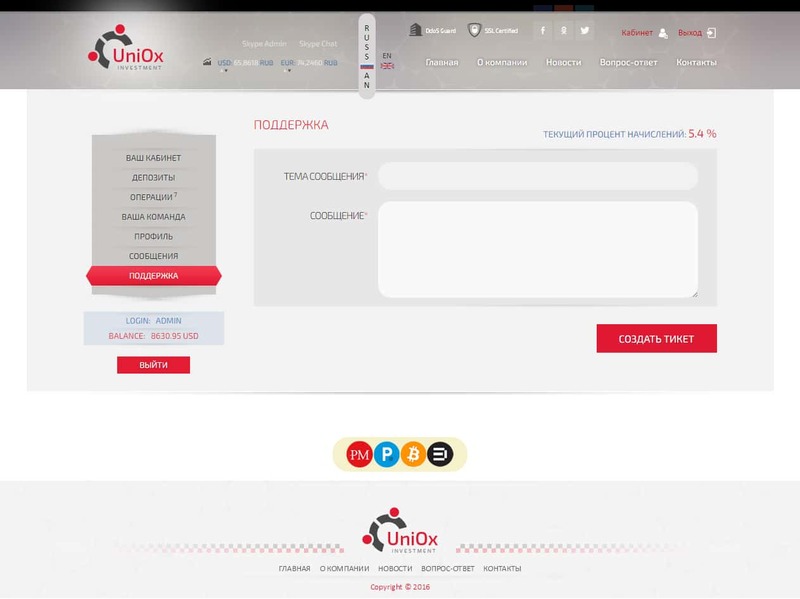 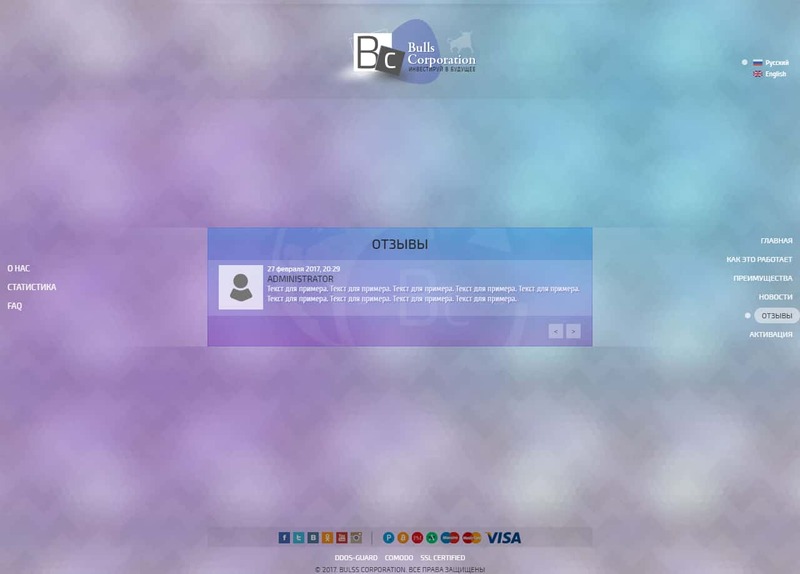 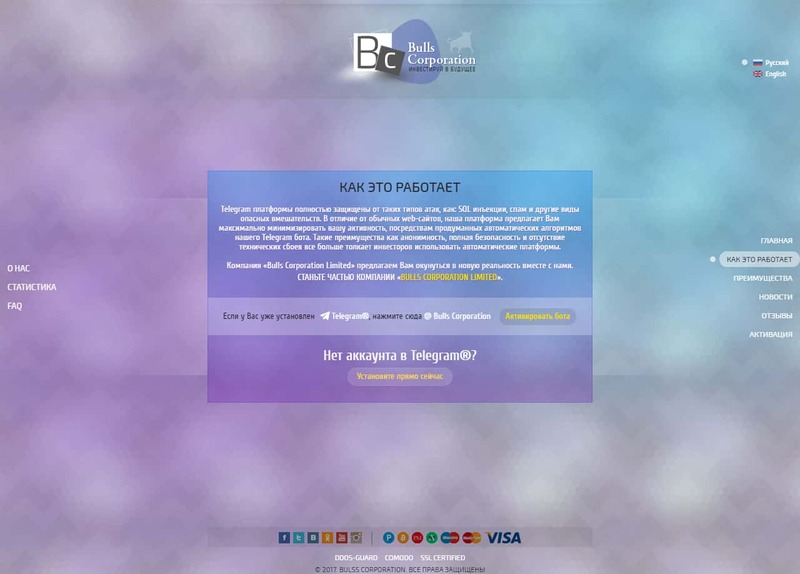 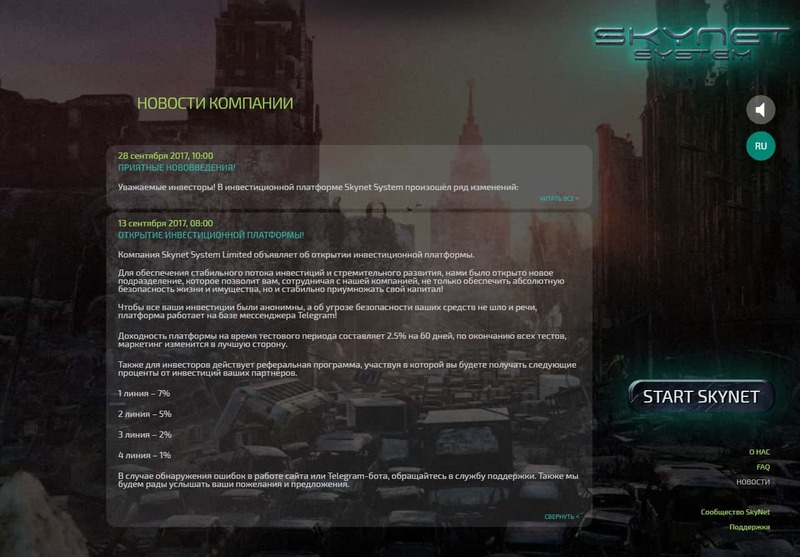 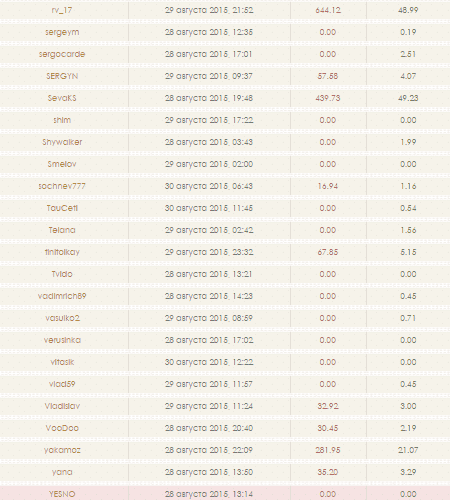 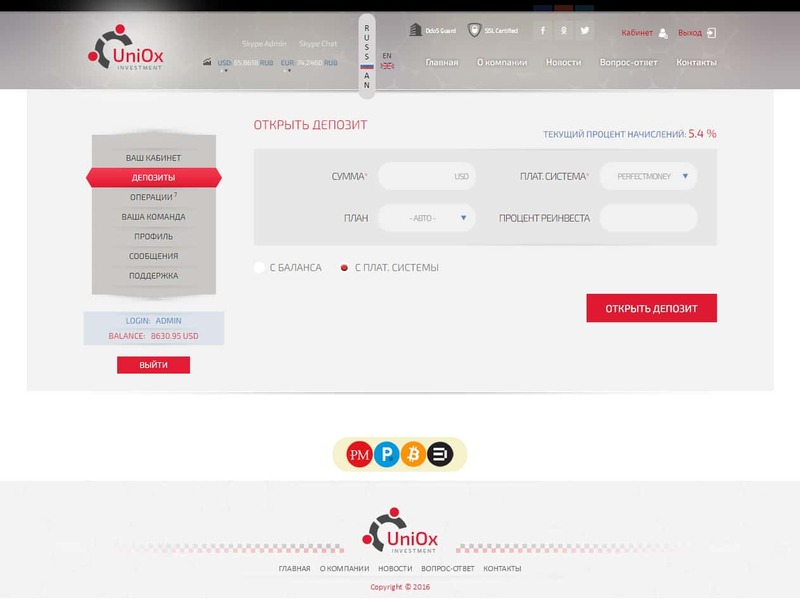 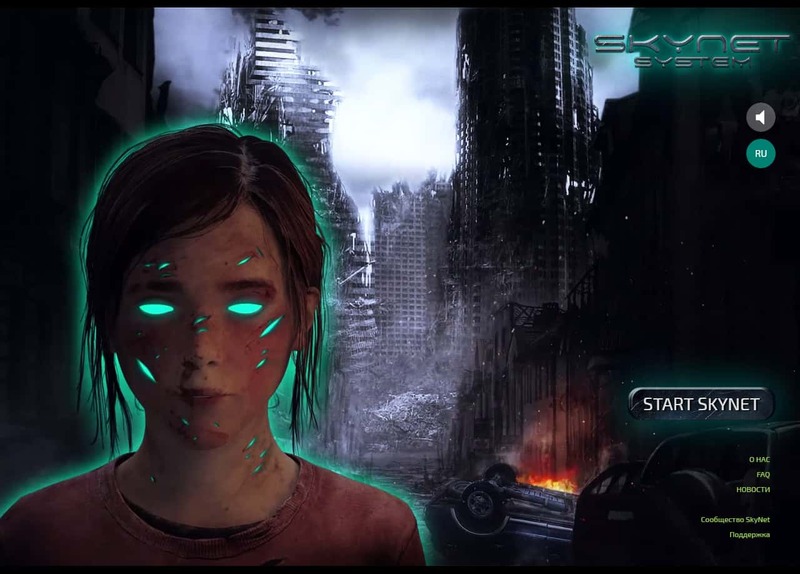 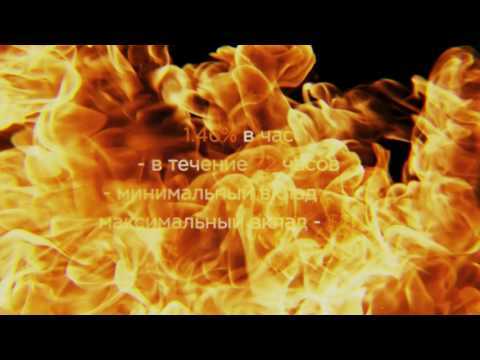 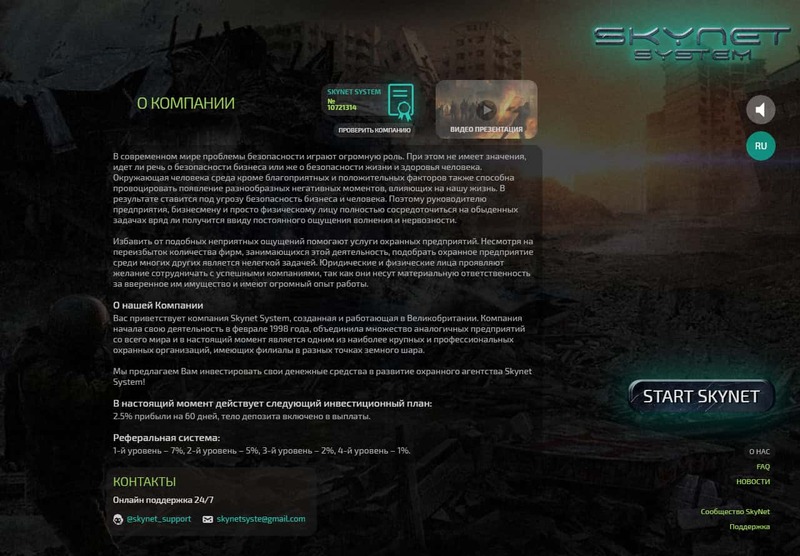 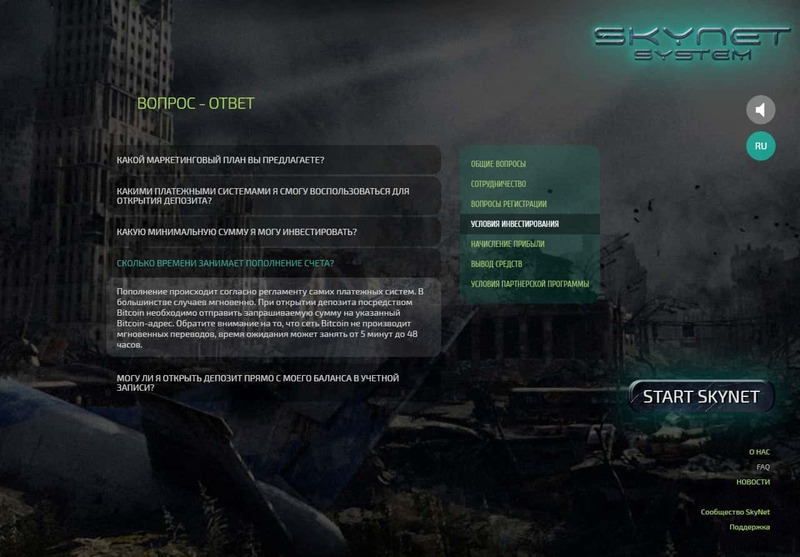 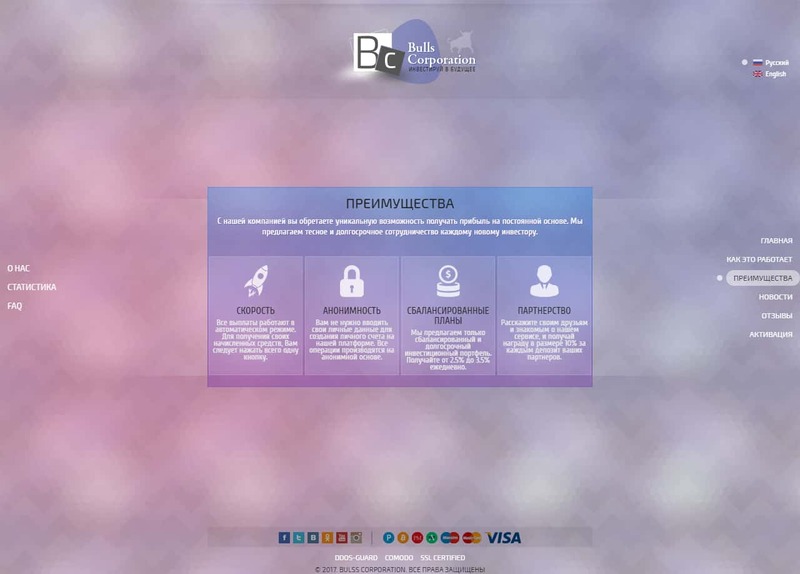 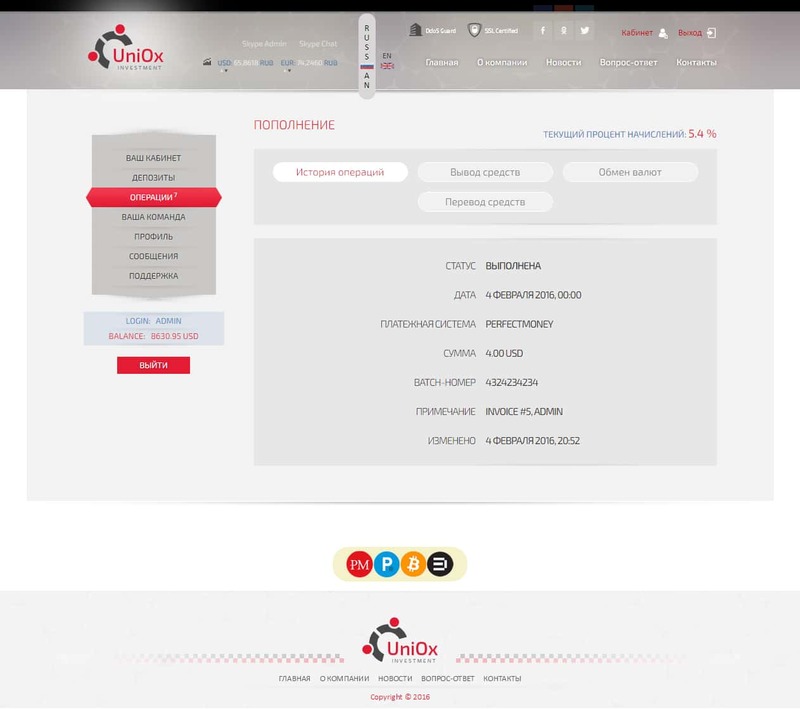 noticing about new project on skype, the creation of the topic and its promotion on the forum. 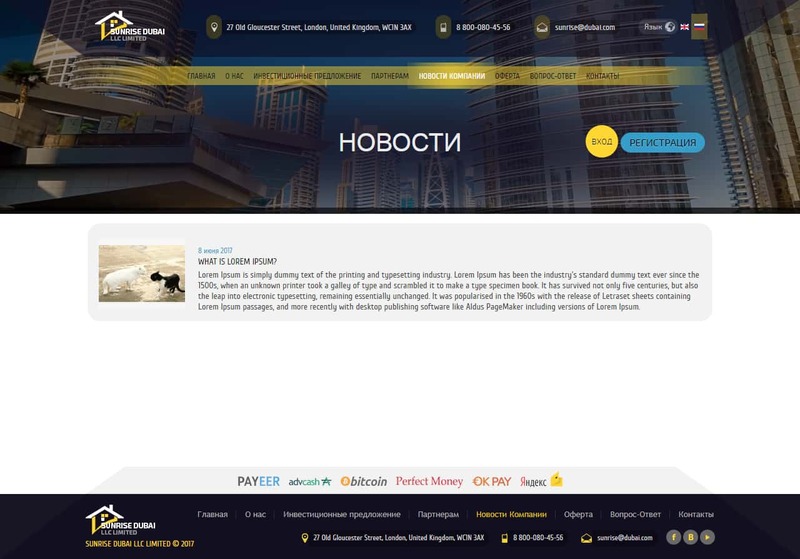 Is it necessary to promote HYIP project? 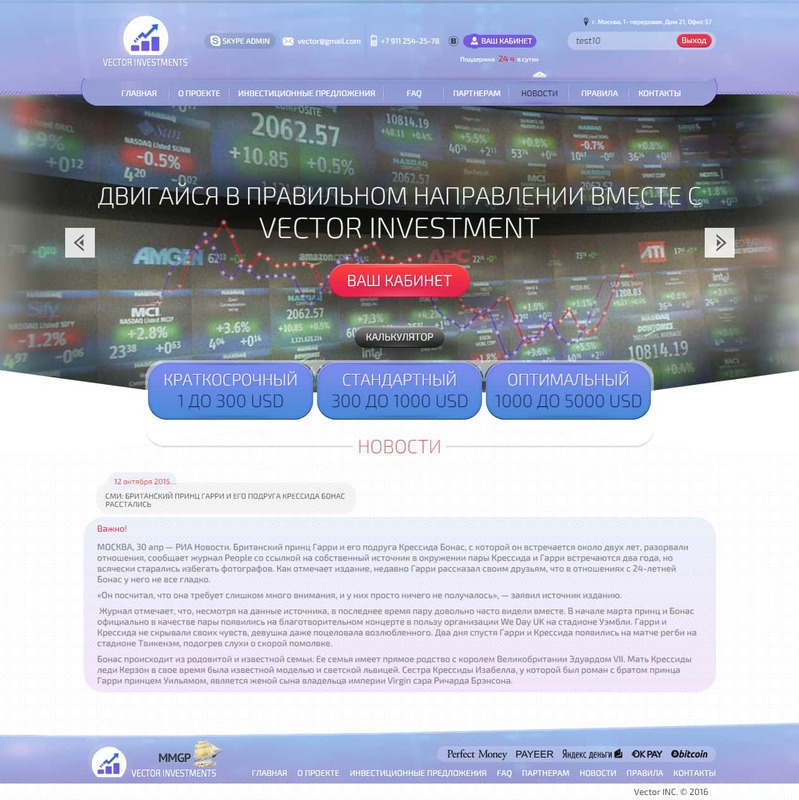 Advertising and promotion of your project is necessary and perhaps one of the main sources of prosperity for your HYIP. 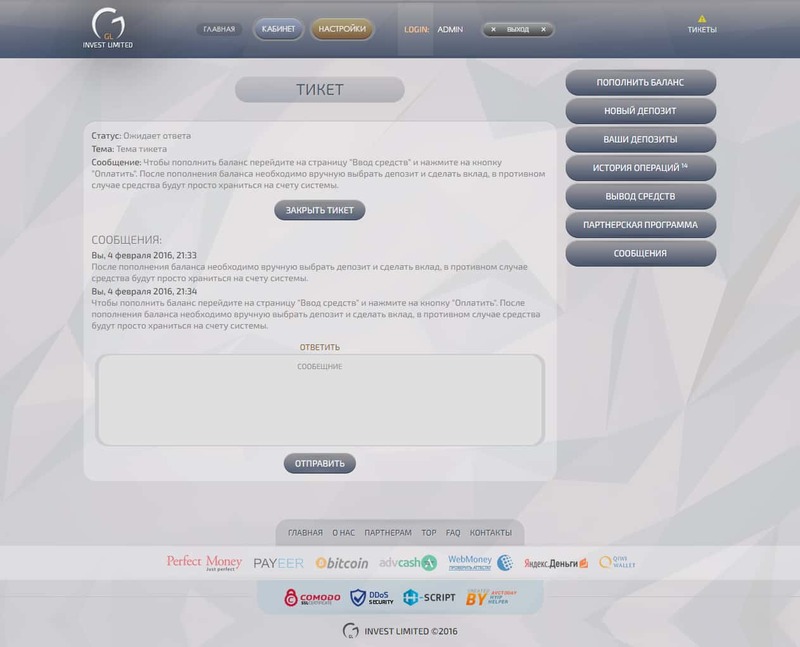 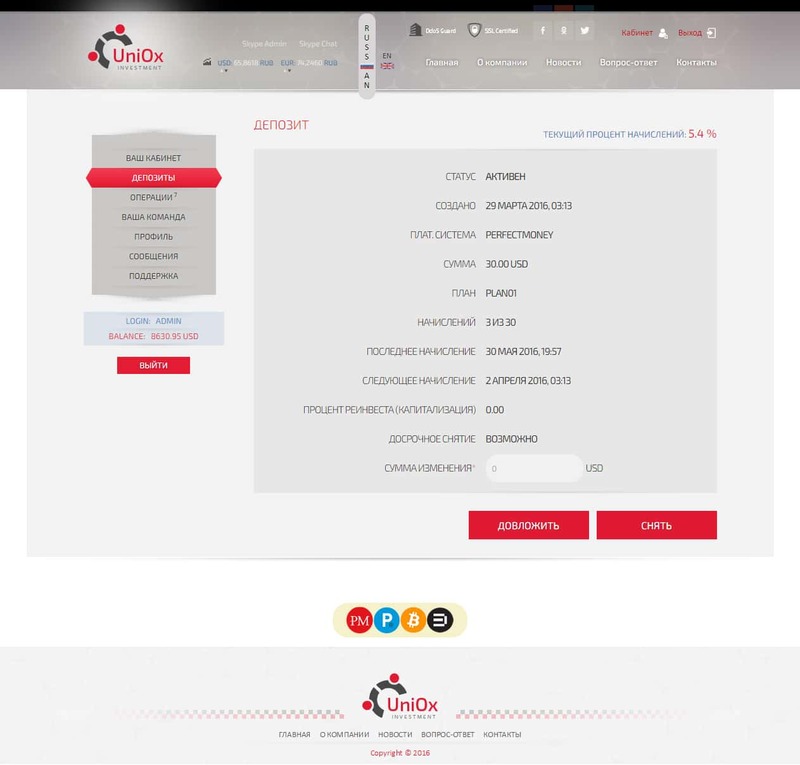 By purchasing this service, you will receive complete marketing and email advertising to real investors, a Skype promotion, active notification on famous social networks and of course the support on popular forums. 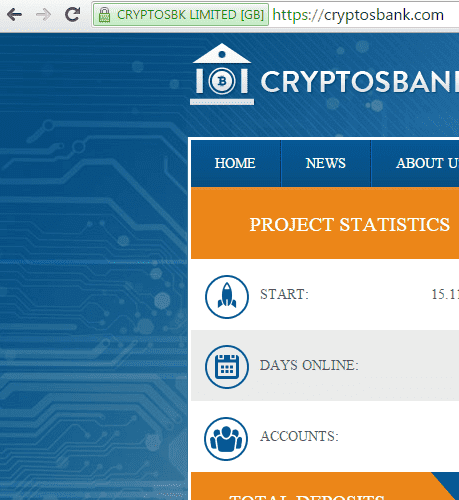 Development time from 3 days. 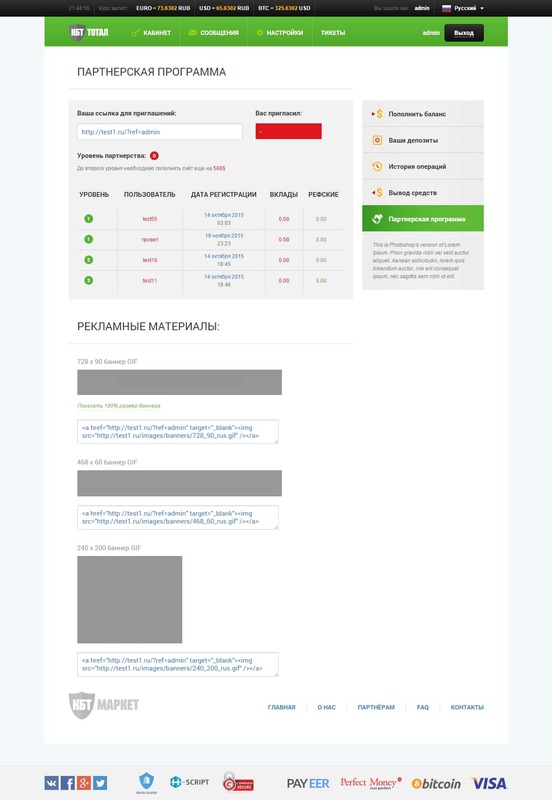 What is SSL with Green Bar SSL? EV SSL certificate offers the maximum level of trust to your business due to the company's extensive verification. 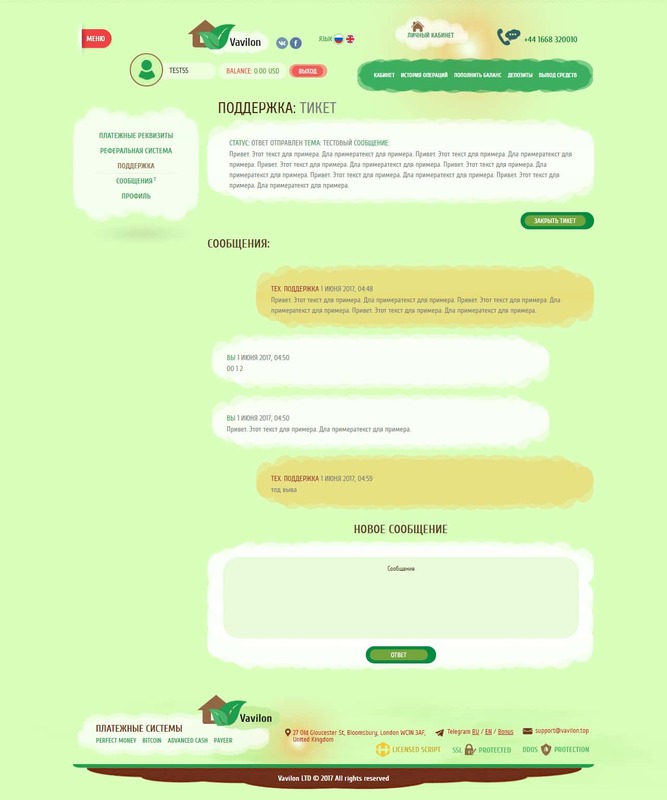 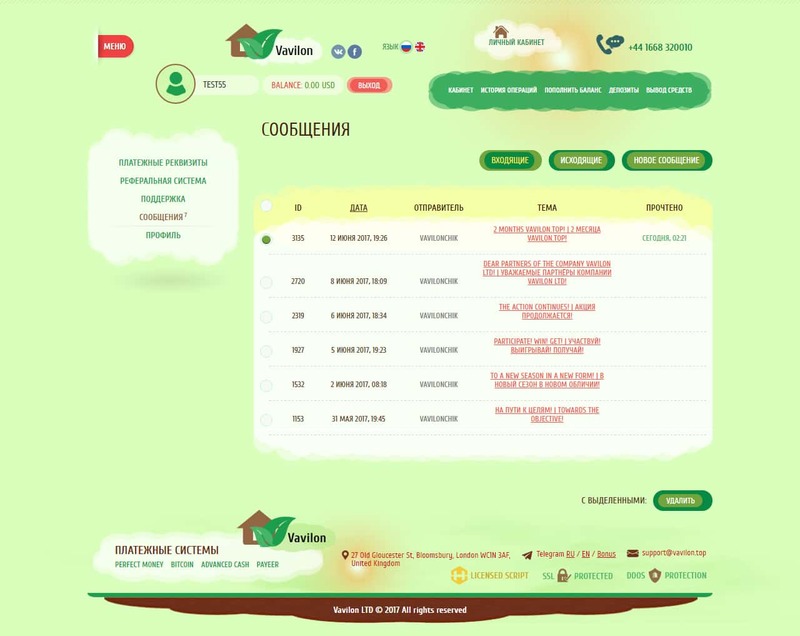 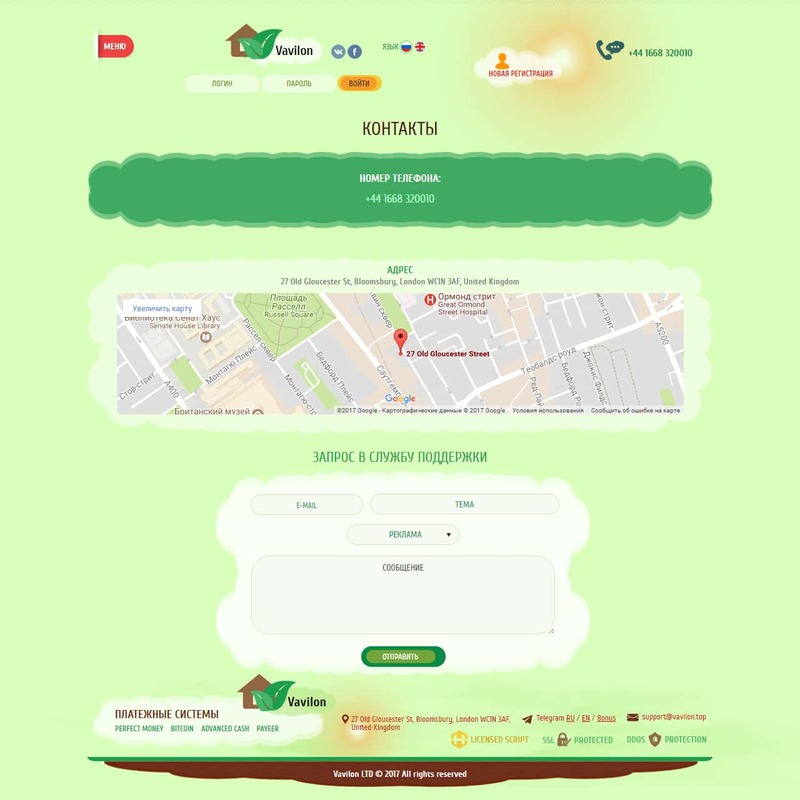 By purchasing this service every potential customer will see that the line is colored in green and the company belongs to you. 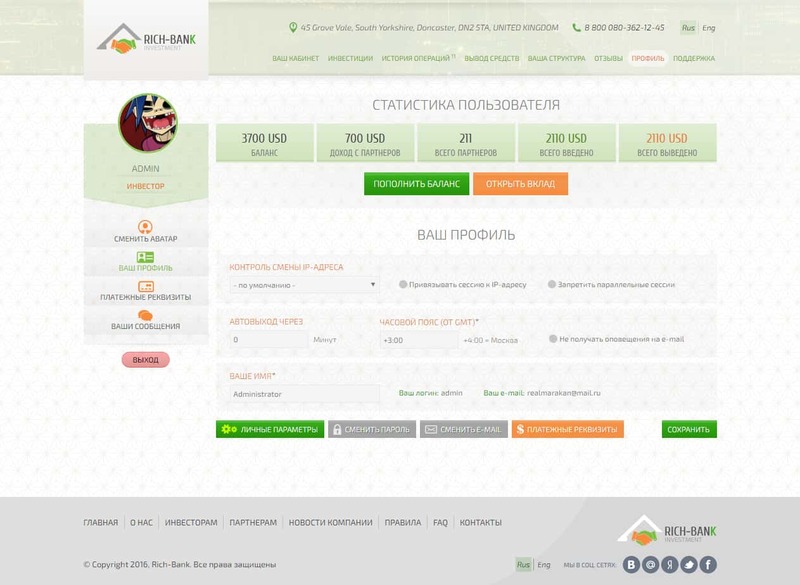 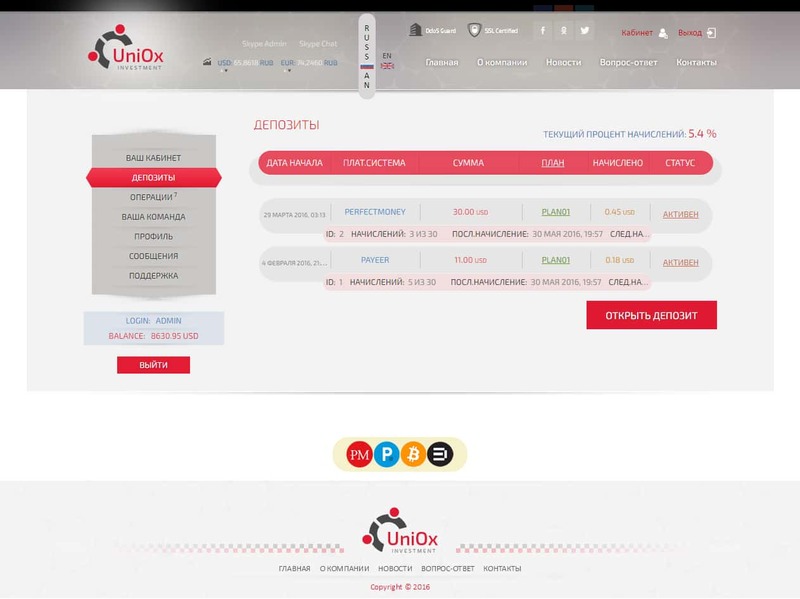 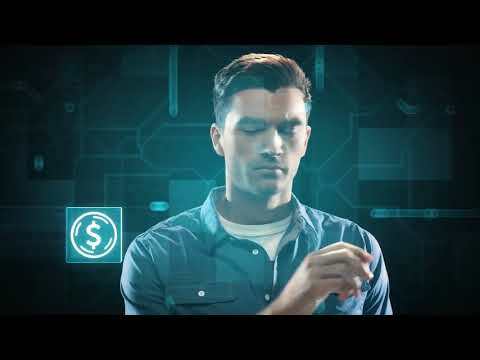 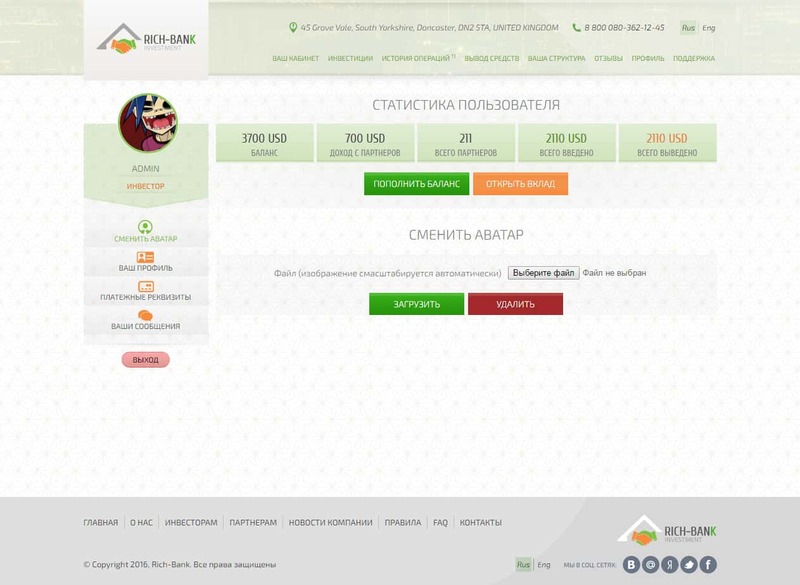 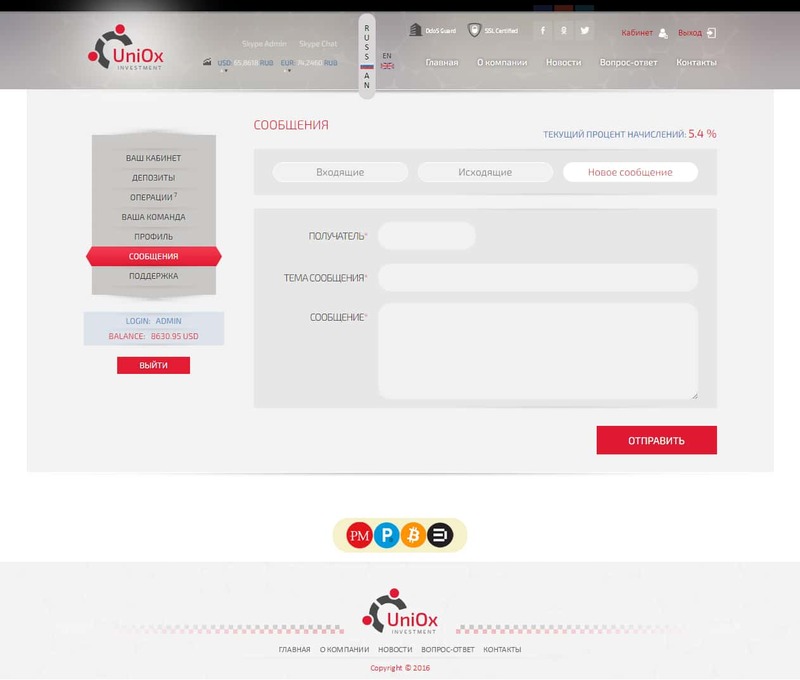 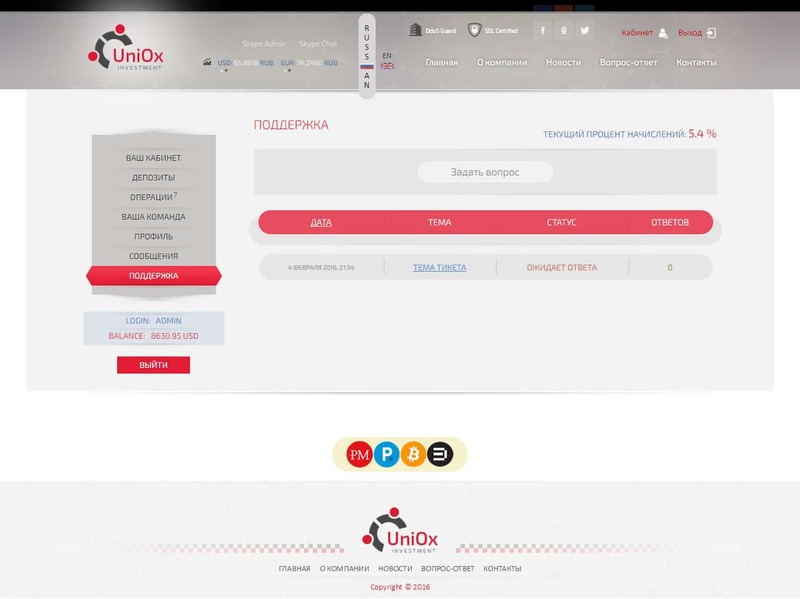 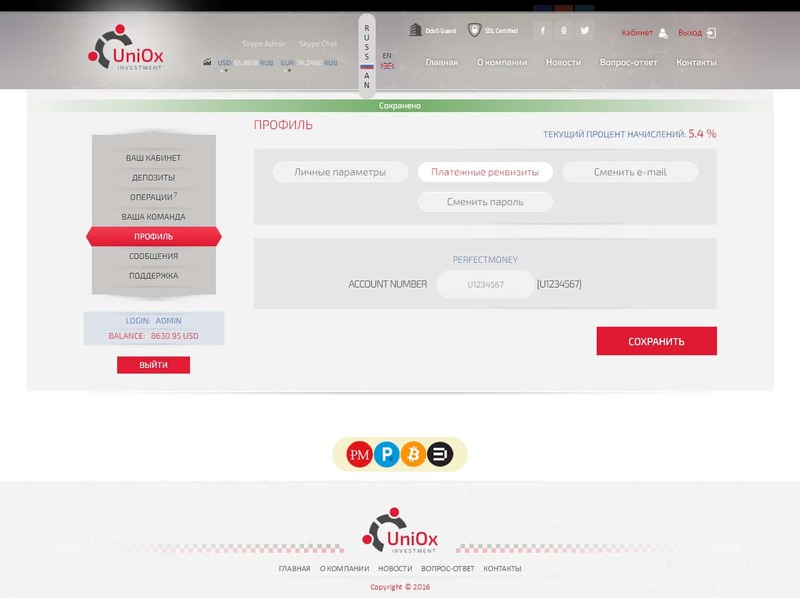 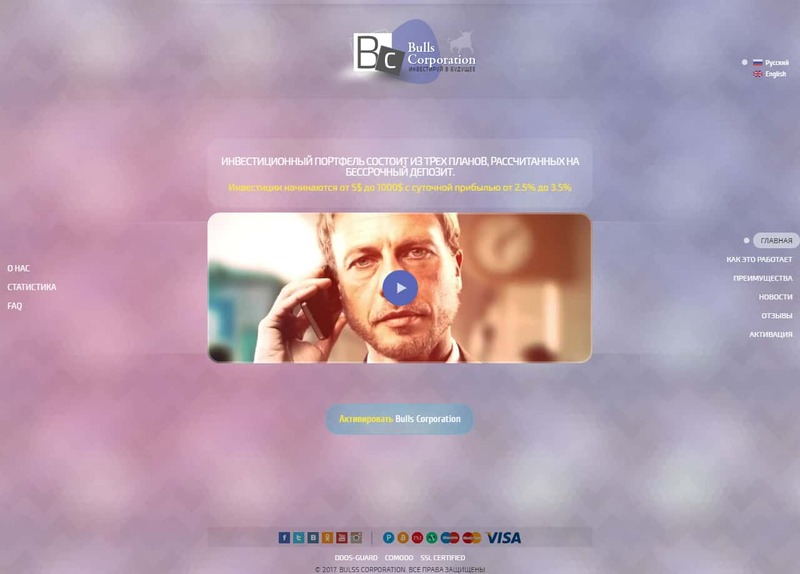 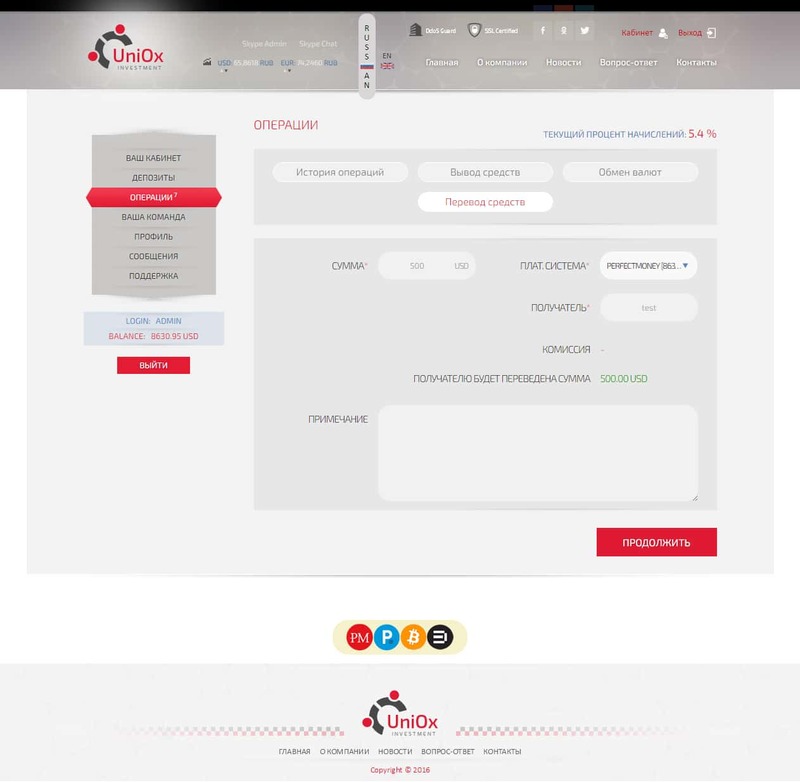 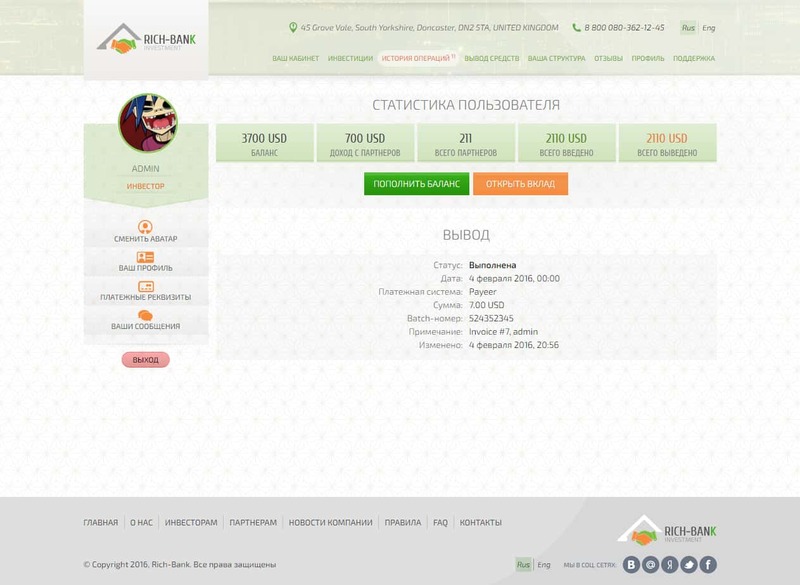 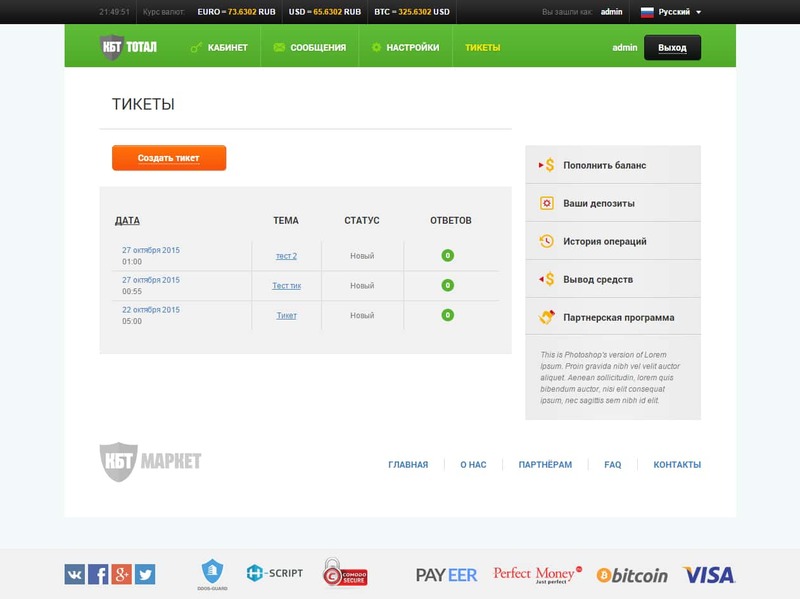 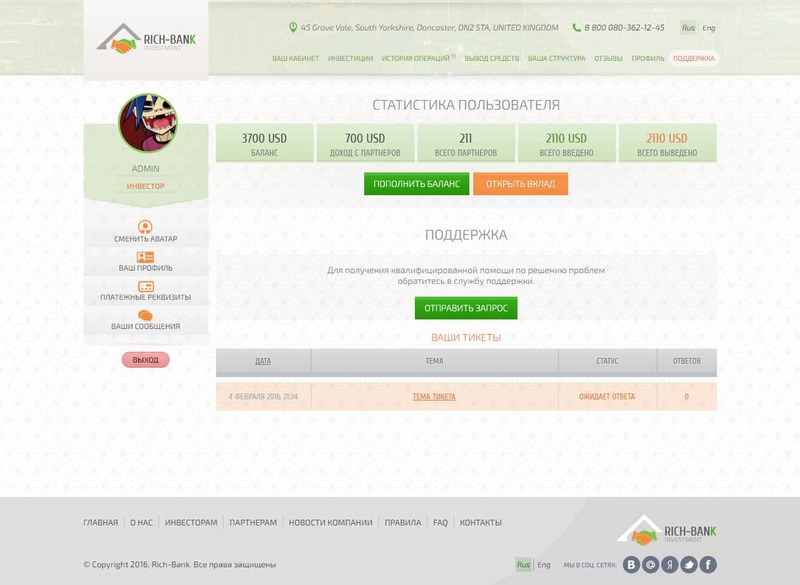 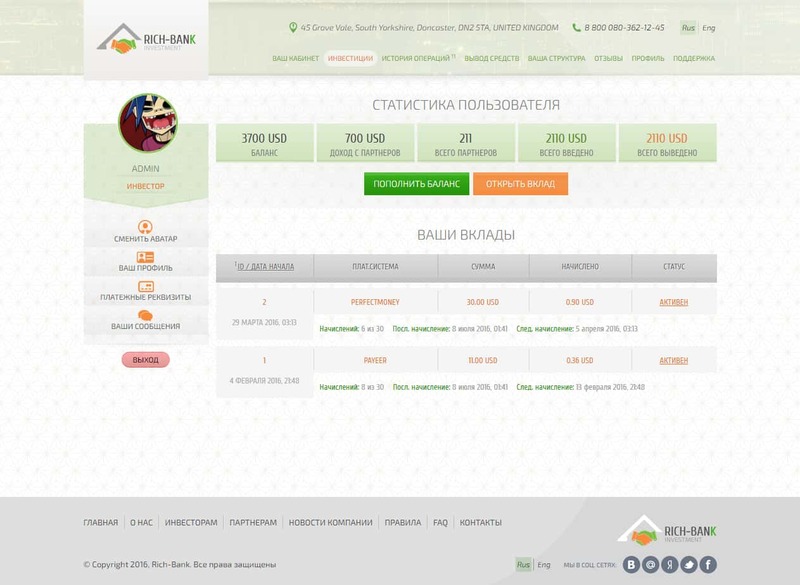 This type of protection guarantees 100% protection against phishing and money theft. 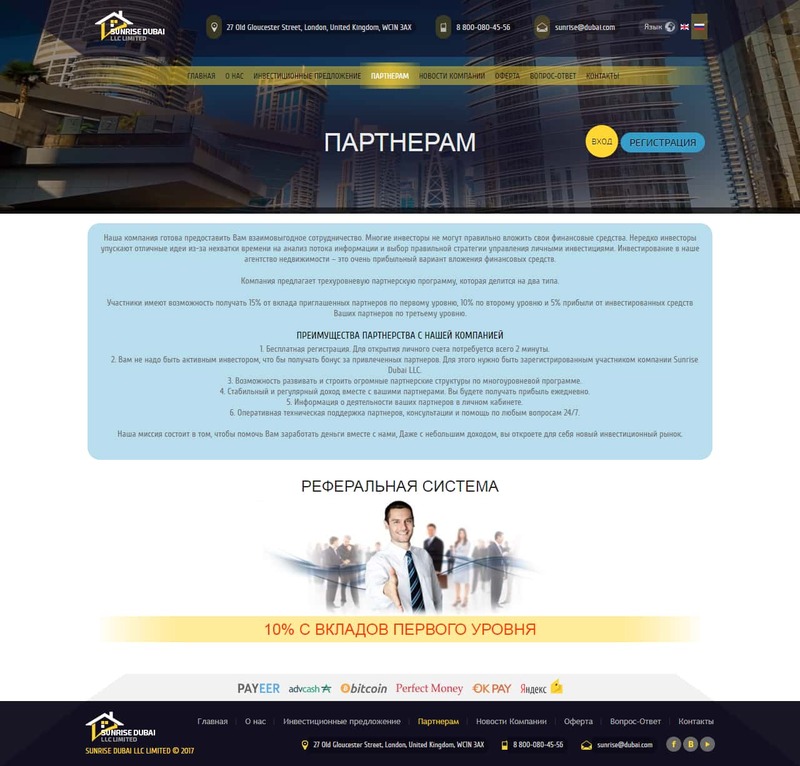 Development time from 15 days. 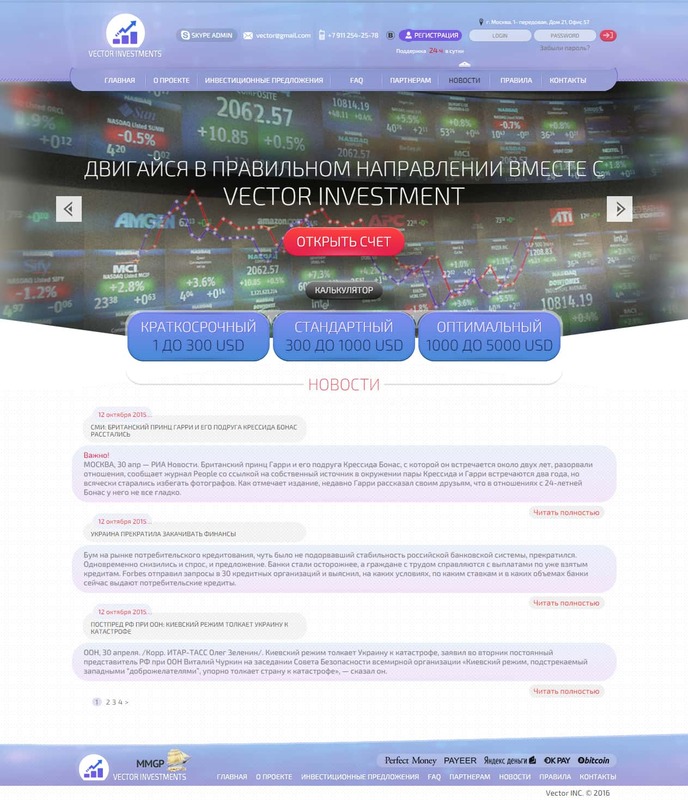 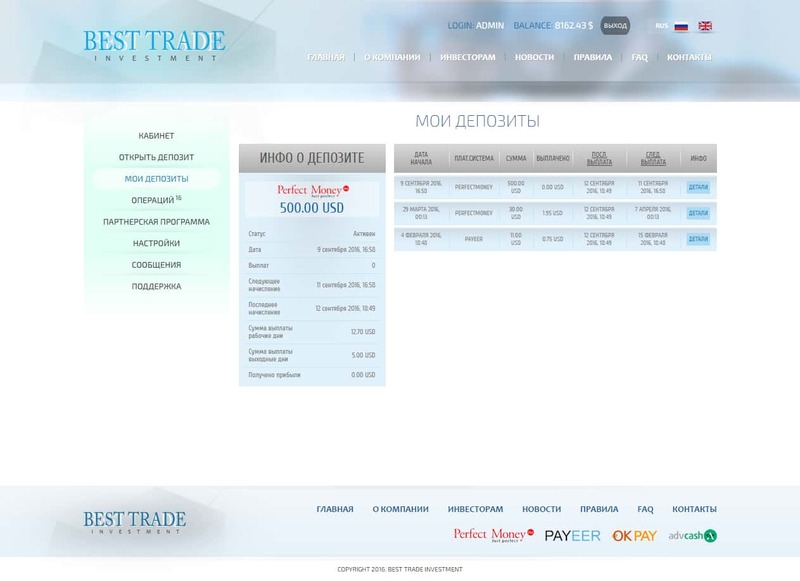 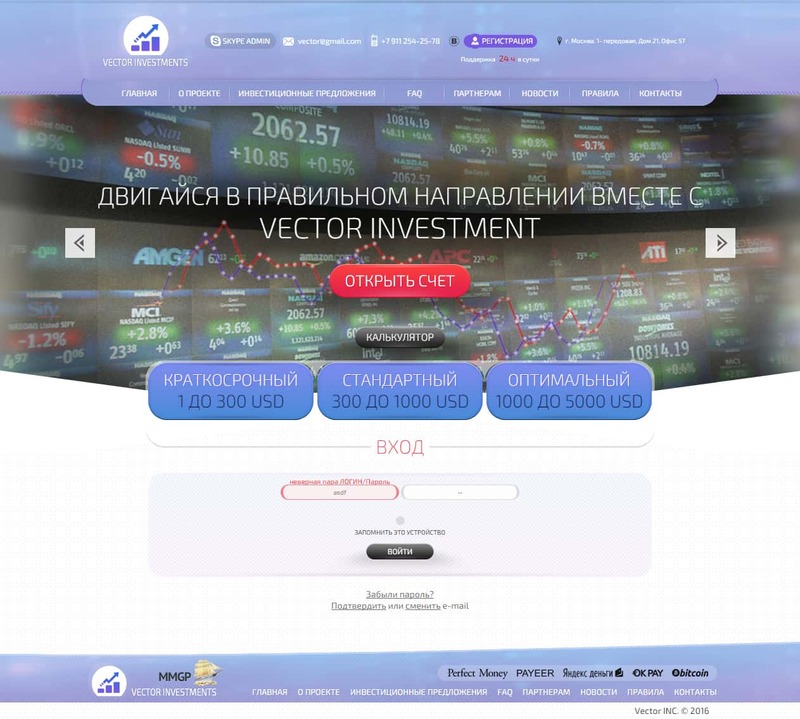 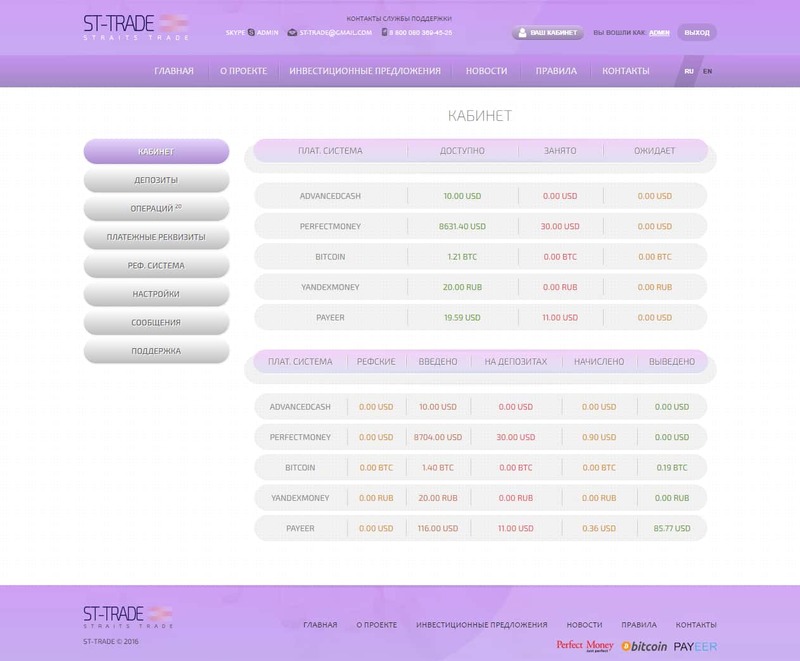 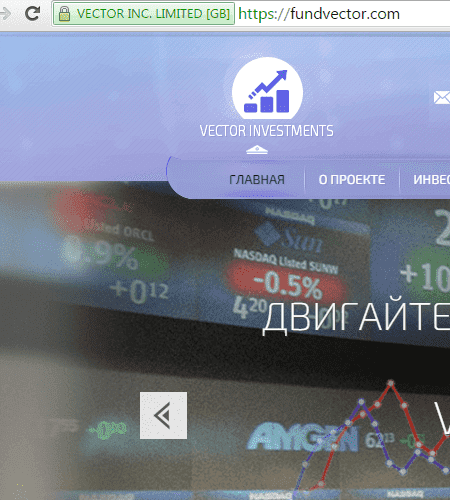 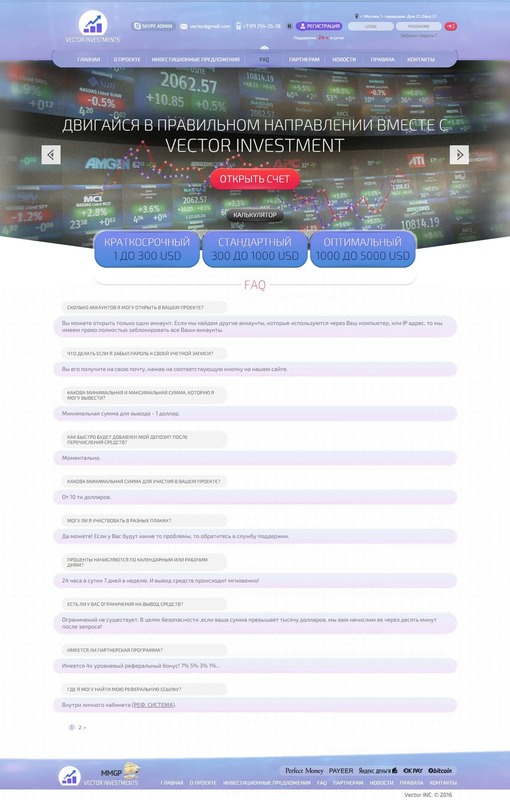 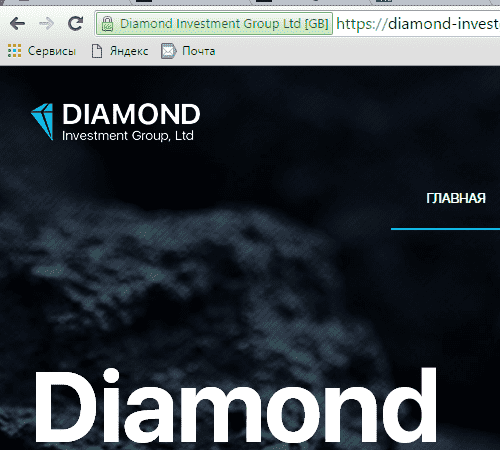 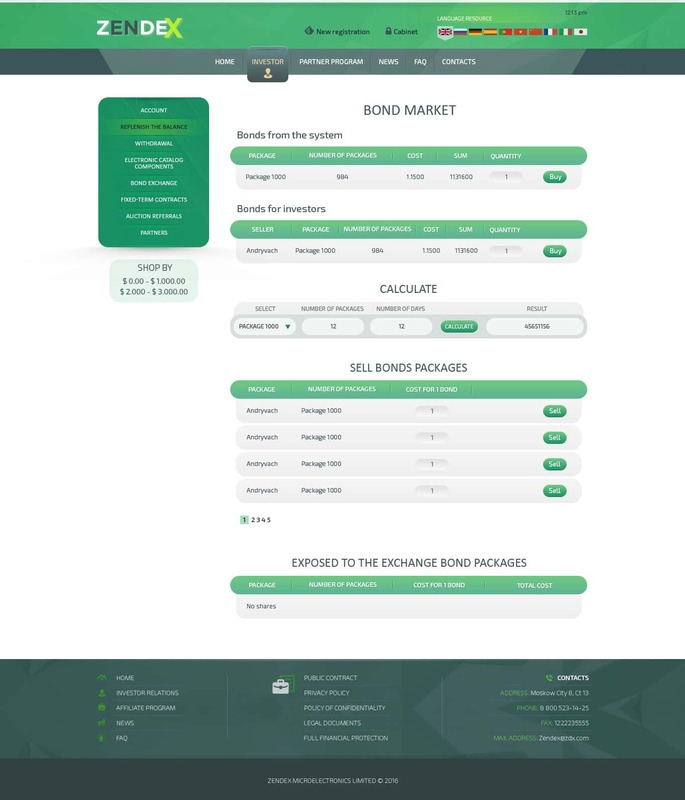 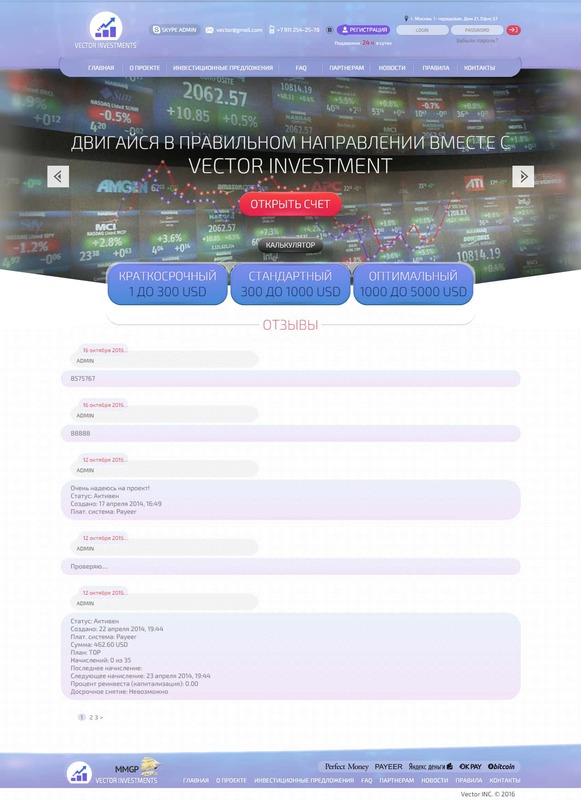 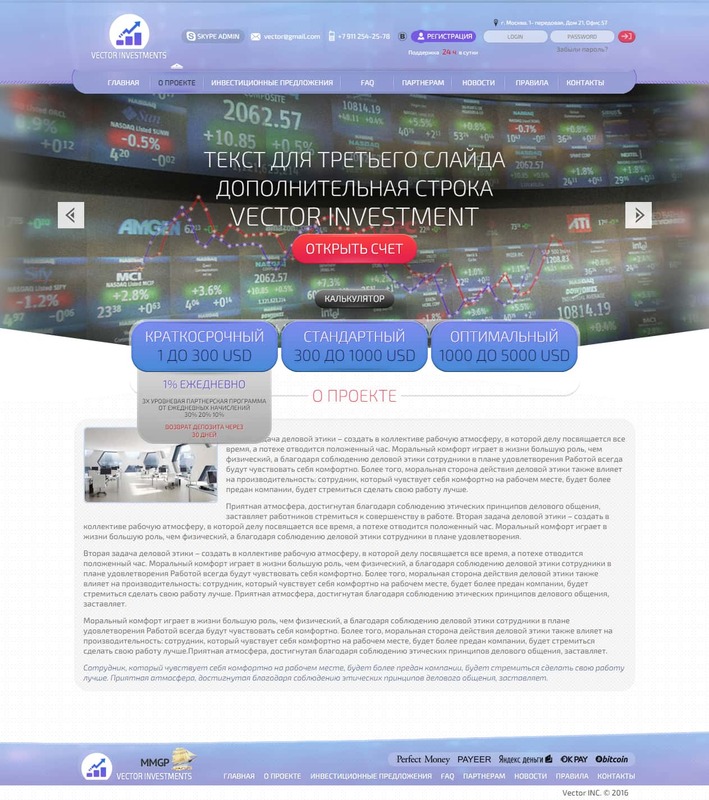 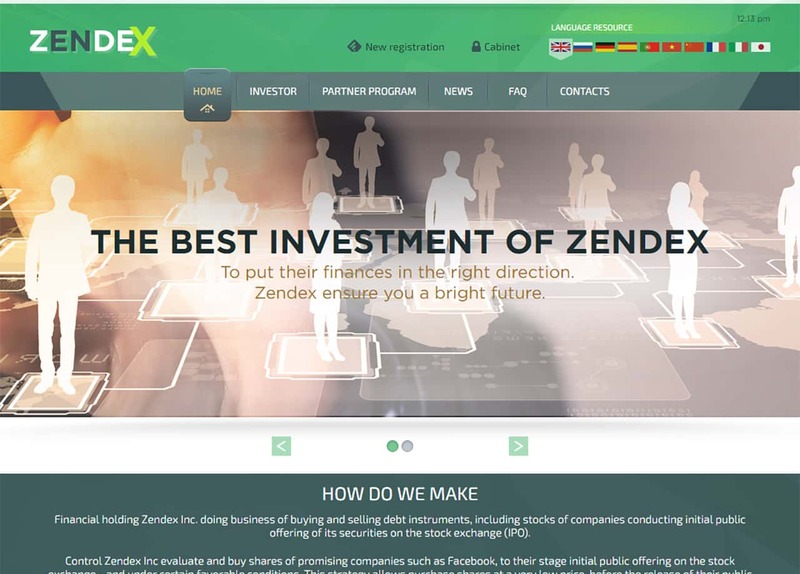 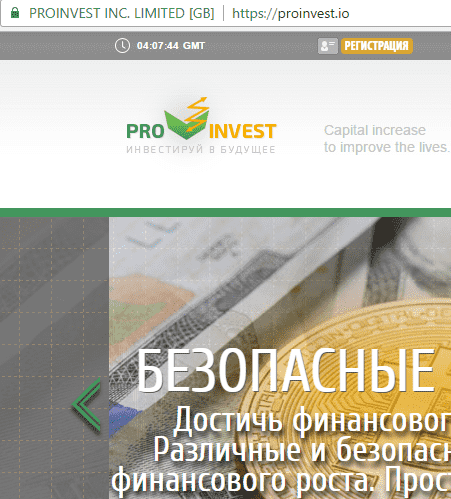 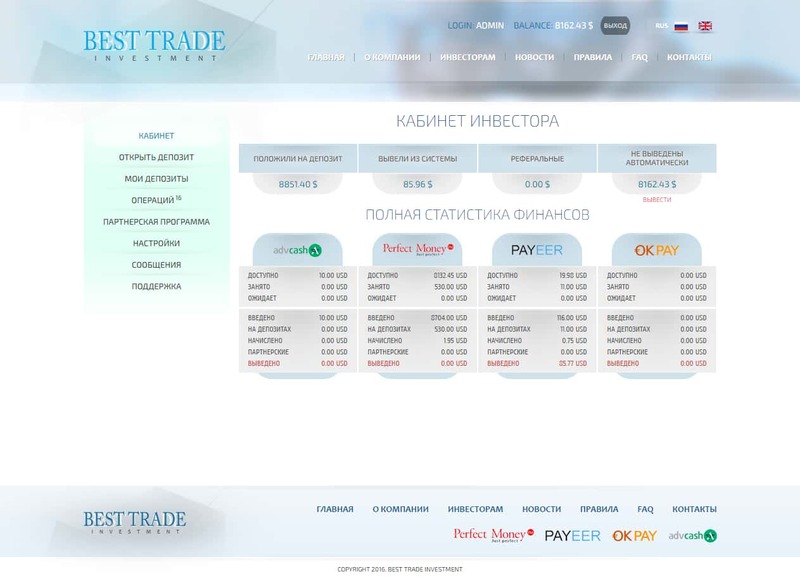 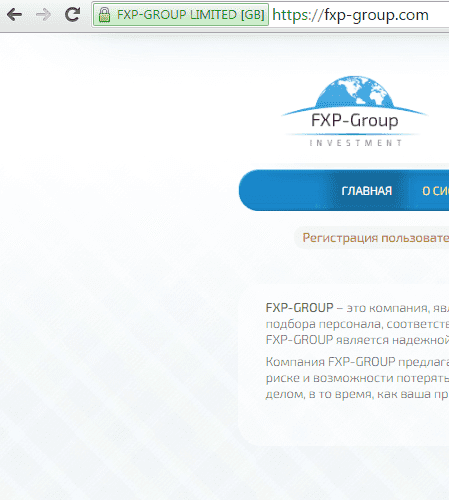 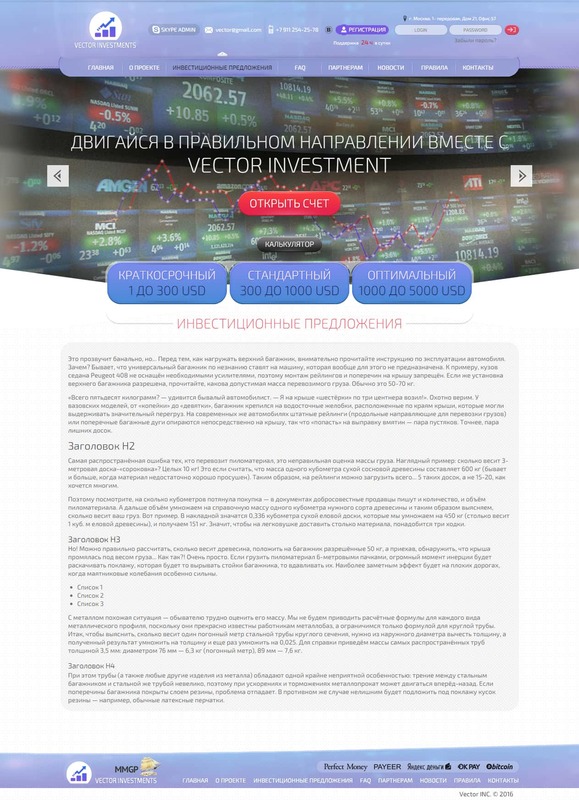 The investment platform is built on the principle of regular attraction and accumulation of funds. 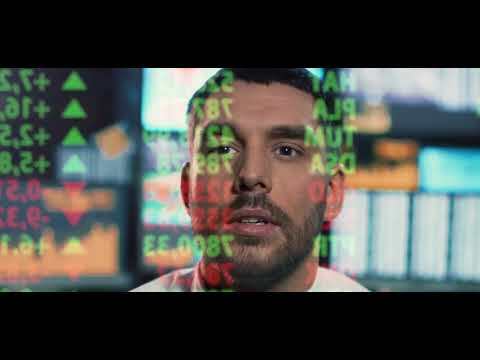 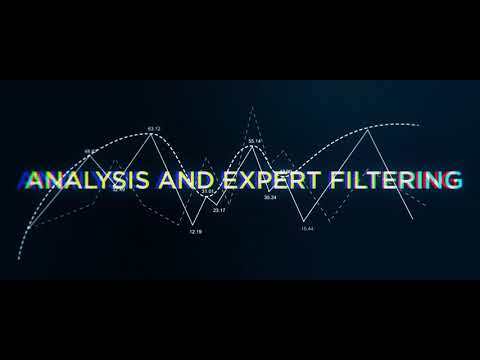 By ordering HYIP turnkey service, you get a unique opportunity to become a part of a single investment industry. 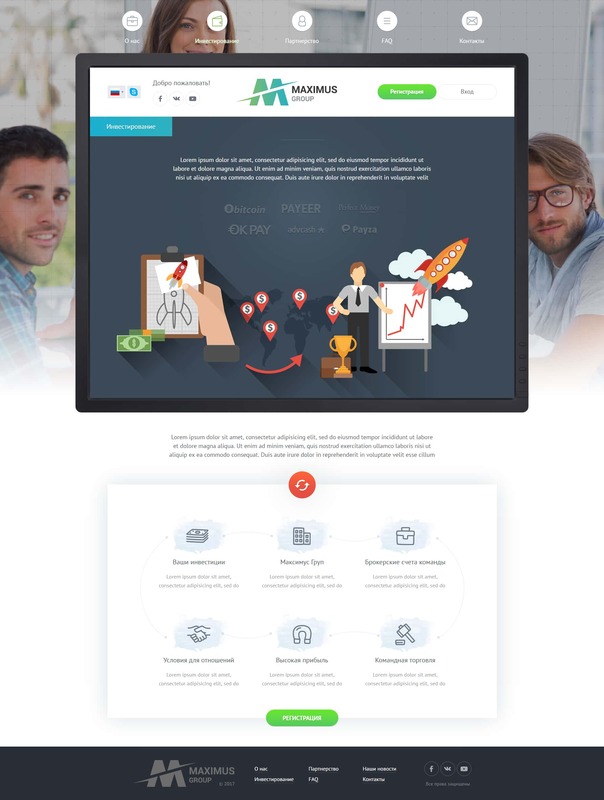 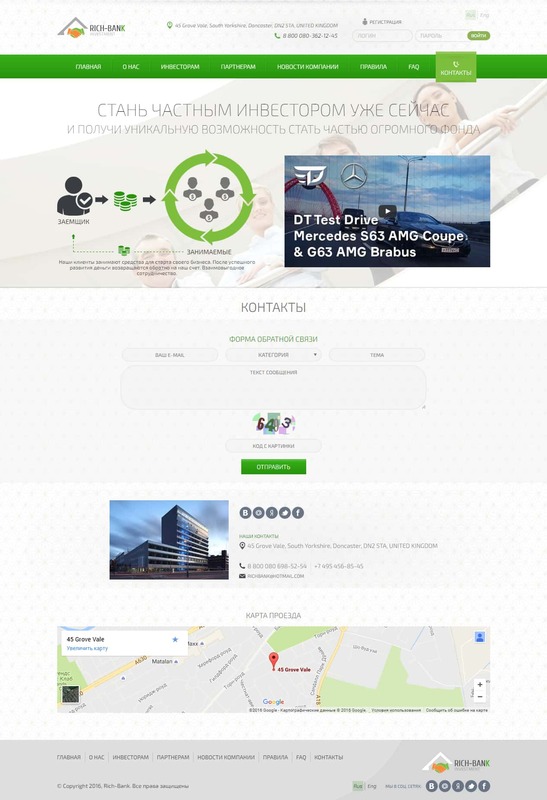 HYIP-HELPER is a team of designers, programmers, copywriters and simply loving their work professionals. 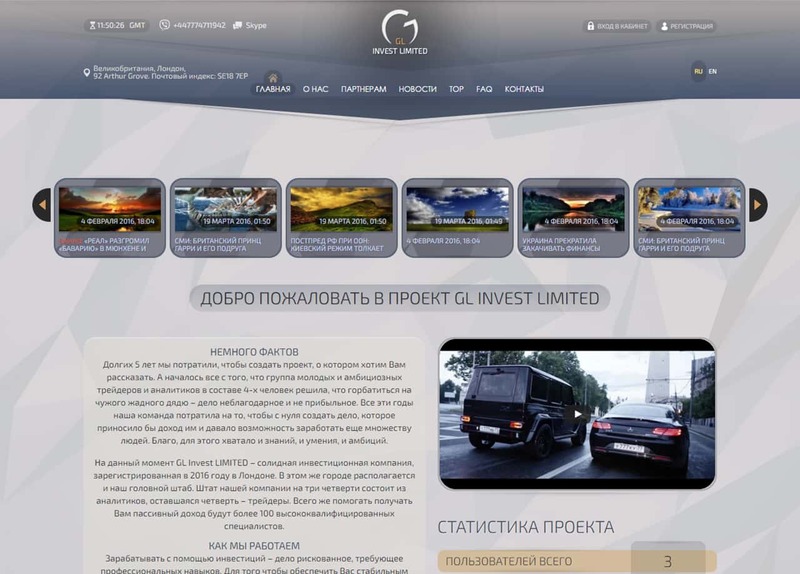 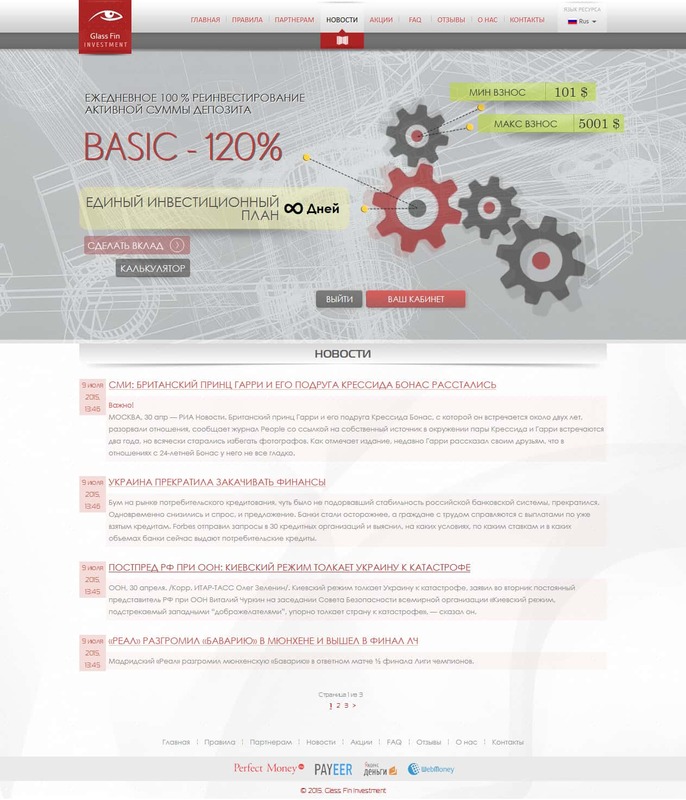 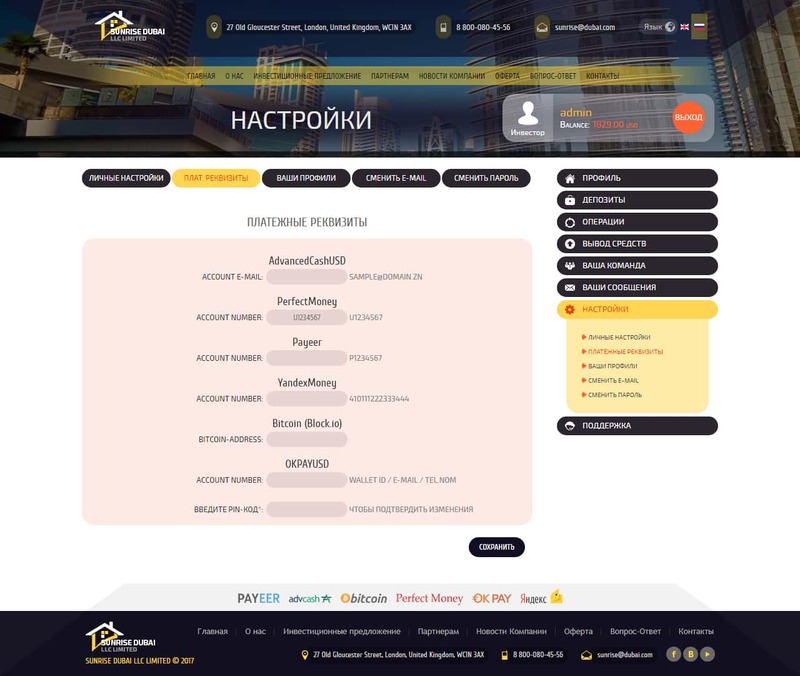 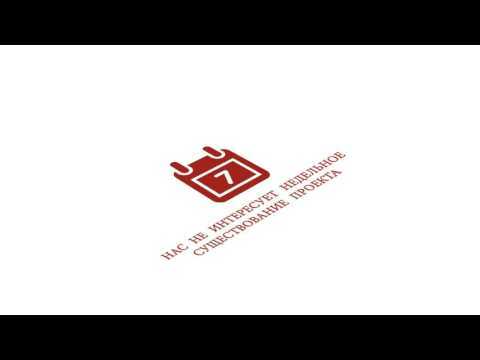 The main activity of the studio is the creation of investments projects. 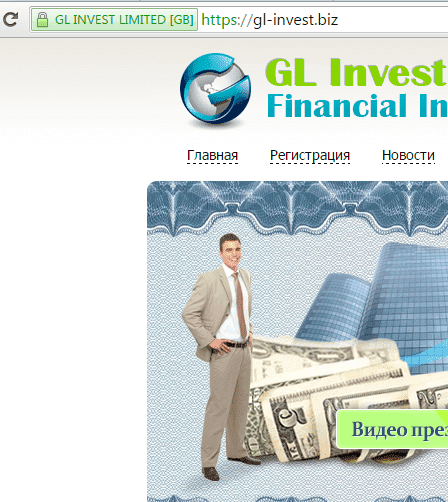 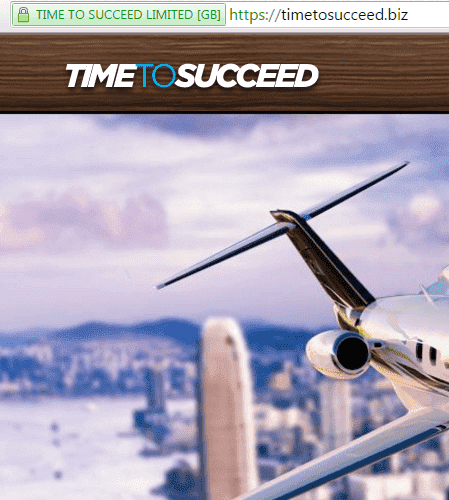 If you have a desire to receive a stable income and you are sure how to do it, then you have found the right solution. 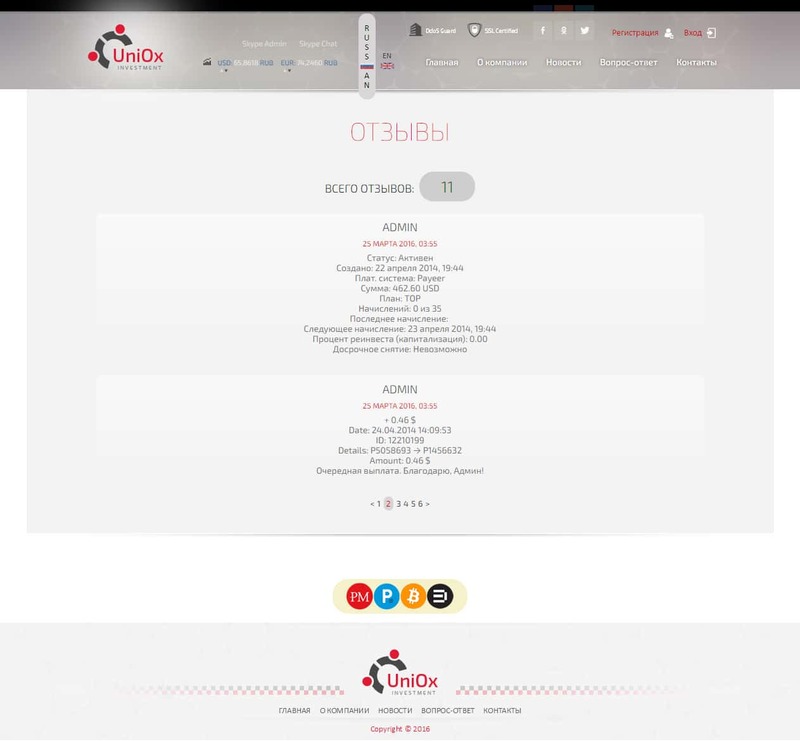 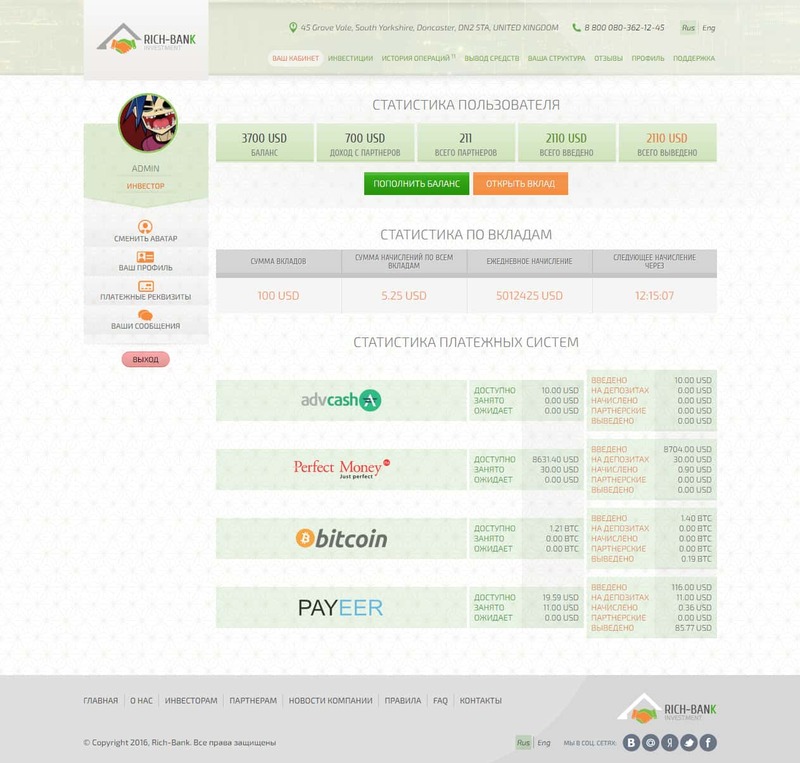 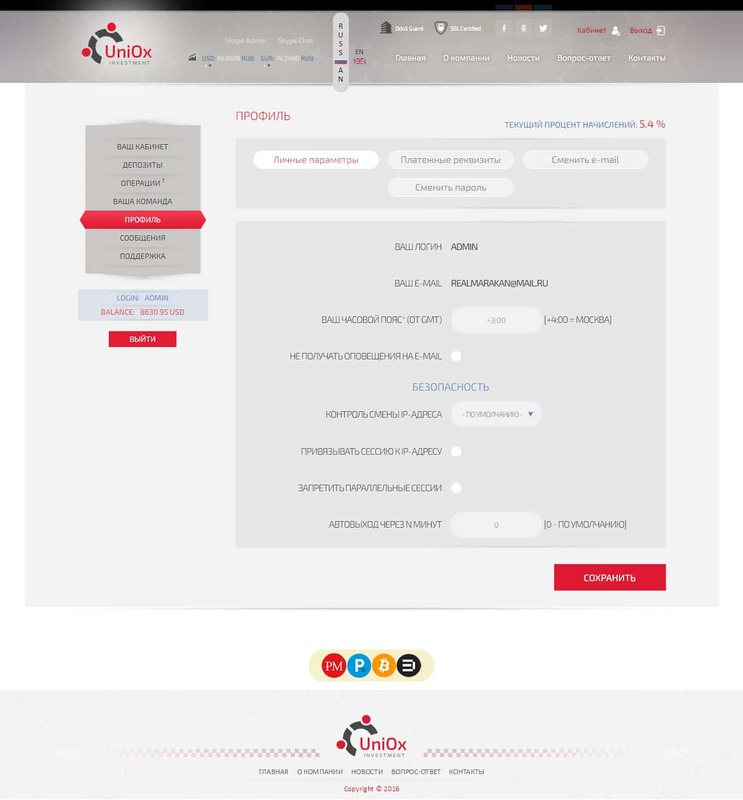 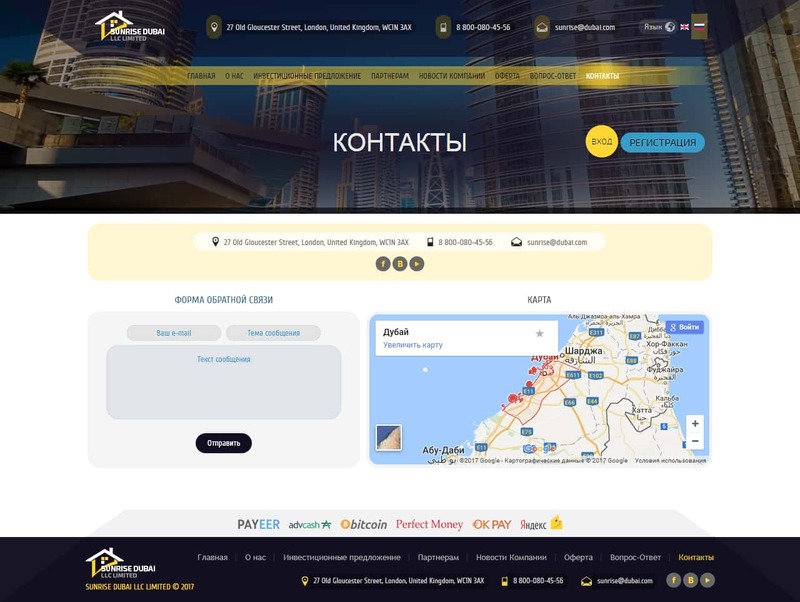 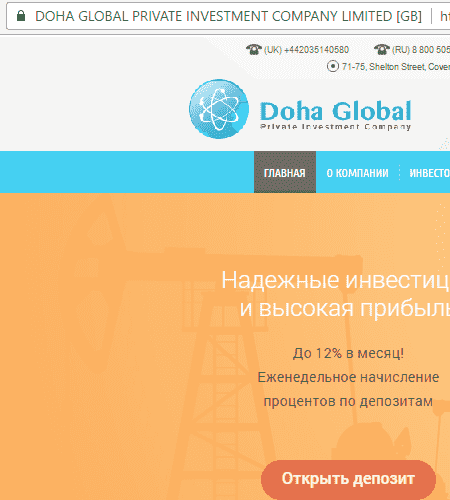 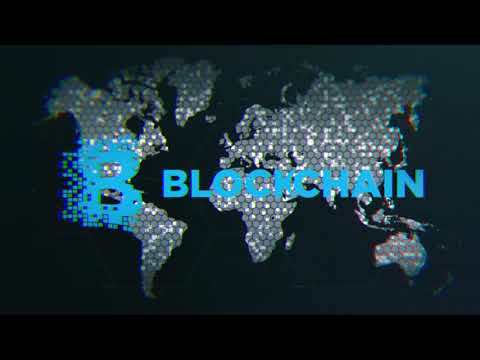 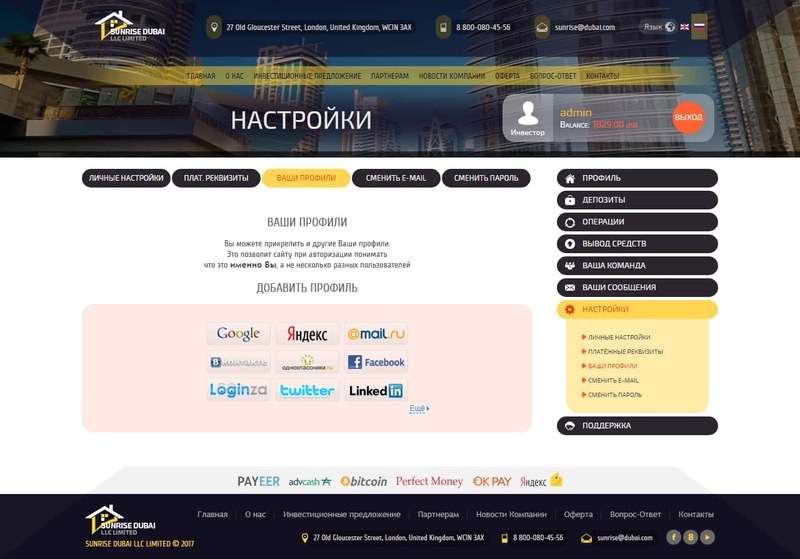 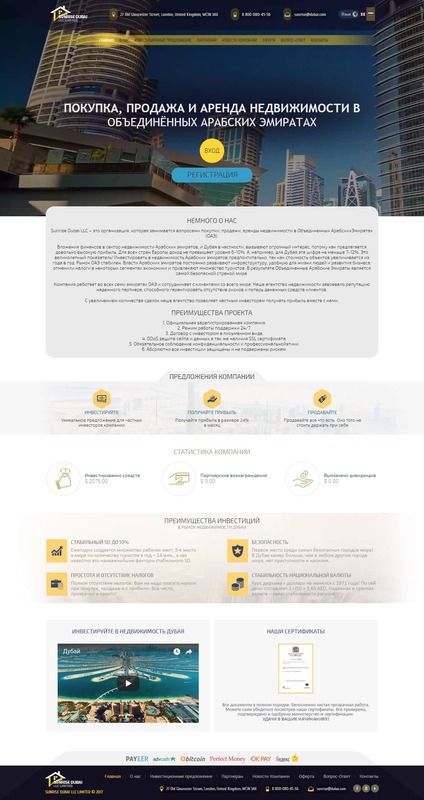 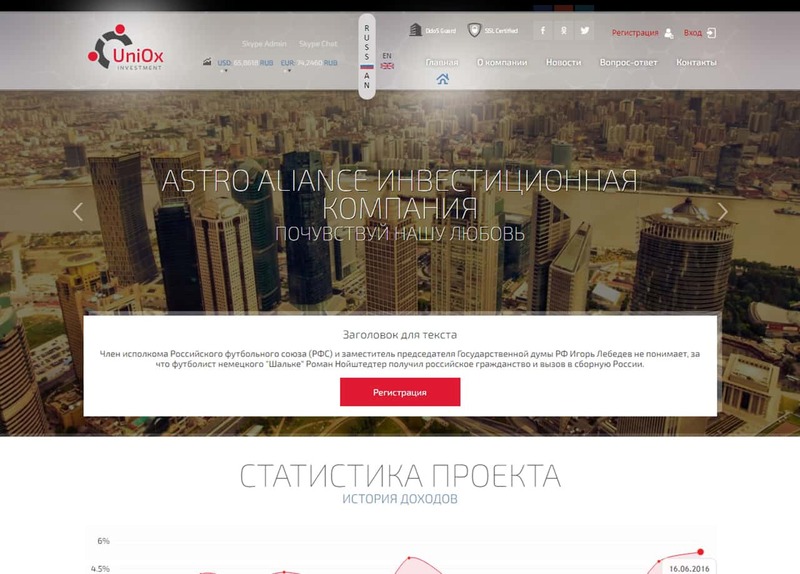 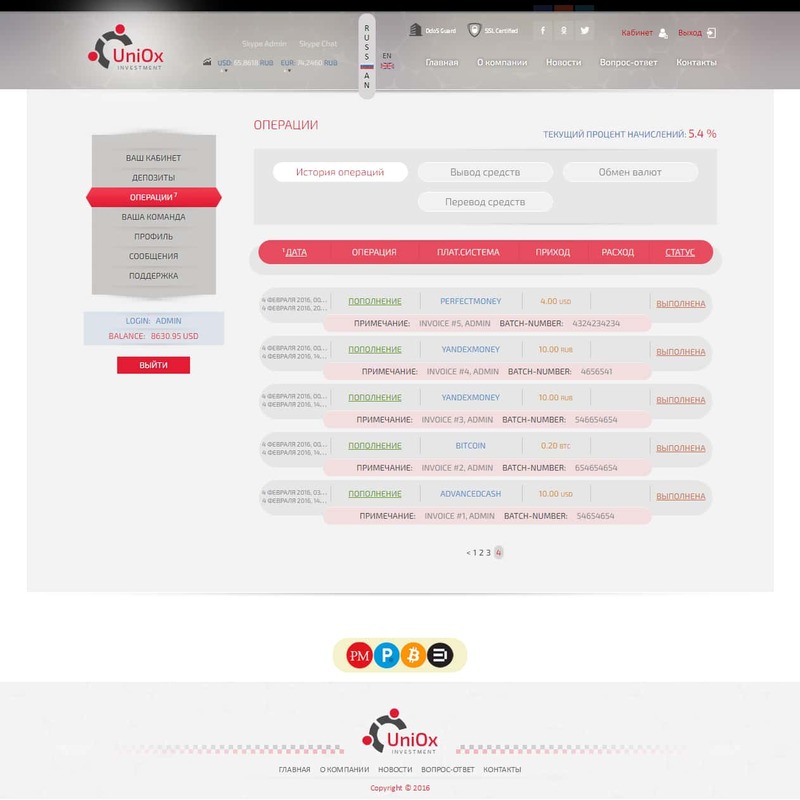 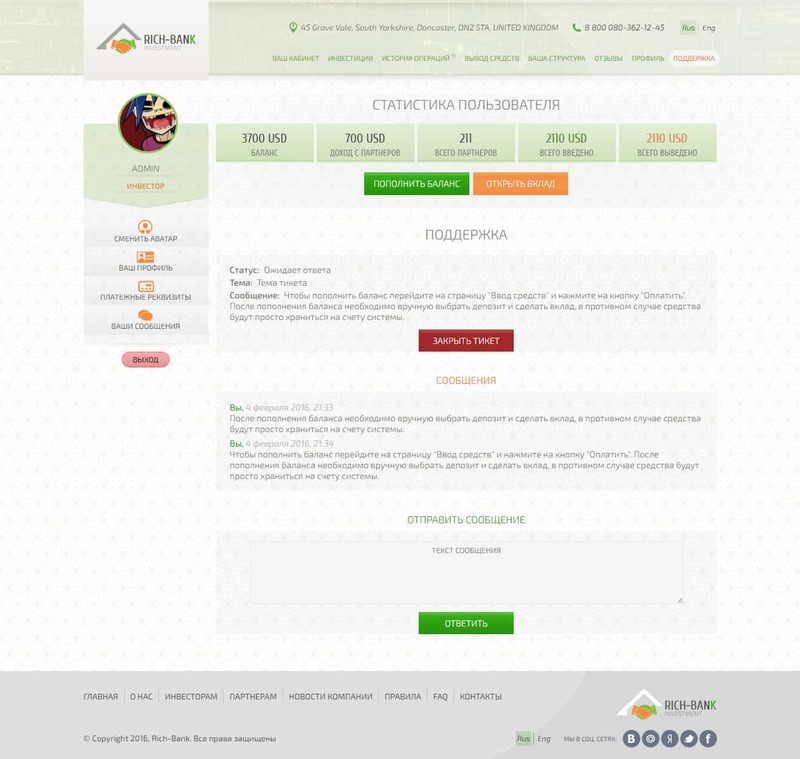 We offer a huge range of services in the field of creating hyip, site building, developing of unique investment projects. 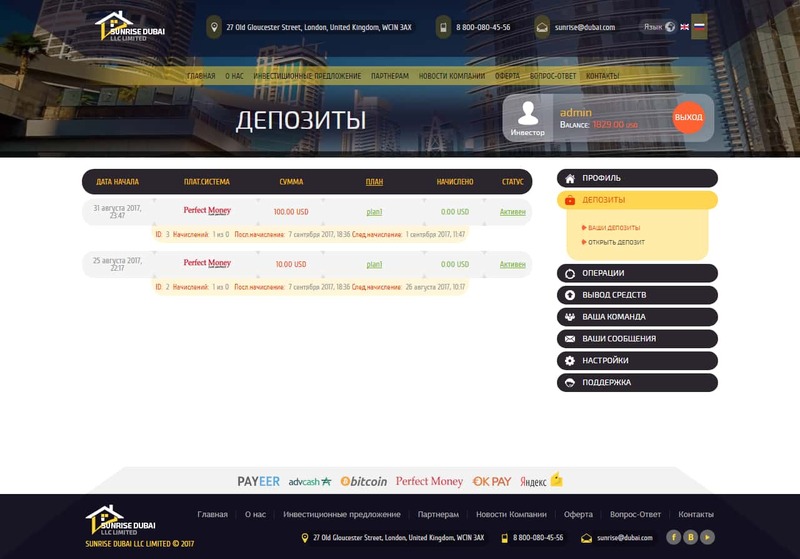 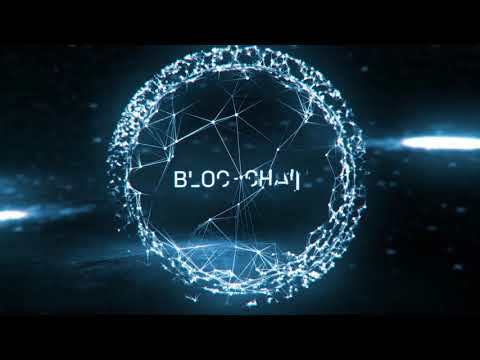 We make every effort to become a leading company in the field of creating and developing hyip projects on the most famous scripts, such as H-script and GoldCoders. 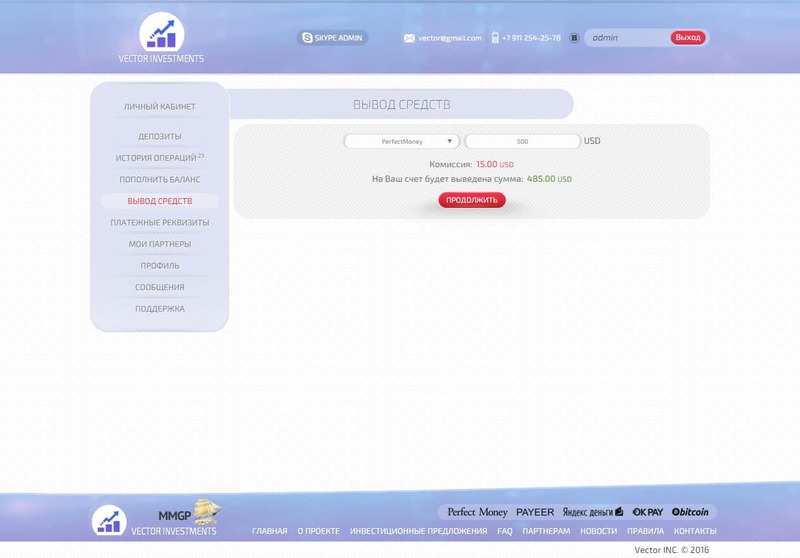 To buy HYIP project, or to order the service separately, please contact us by any method convenient for you. 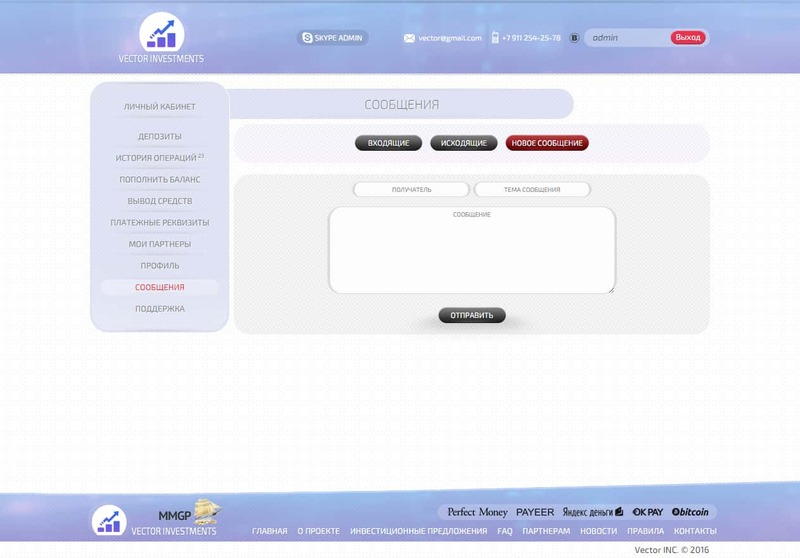 HYIP-HELPER is studio for creating and developing unique HYIP projects on a turn-key basis.